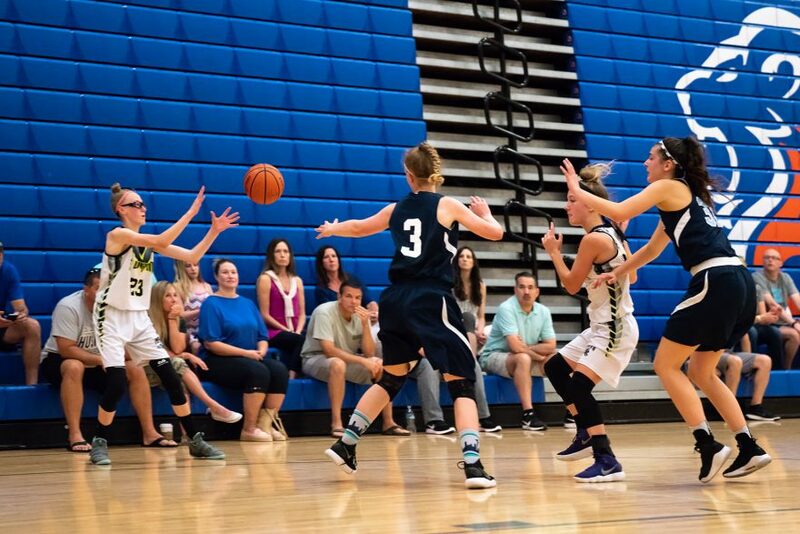 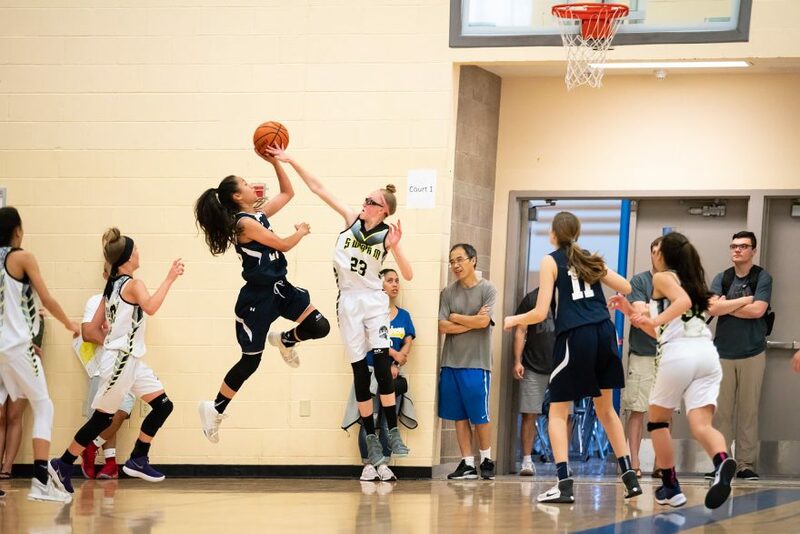 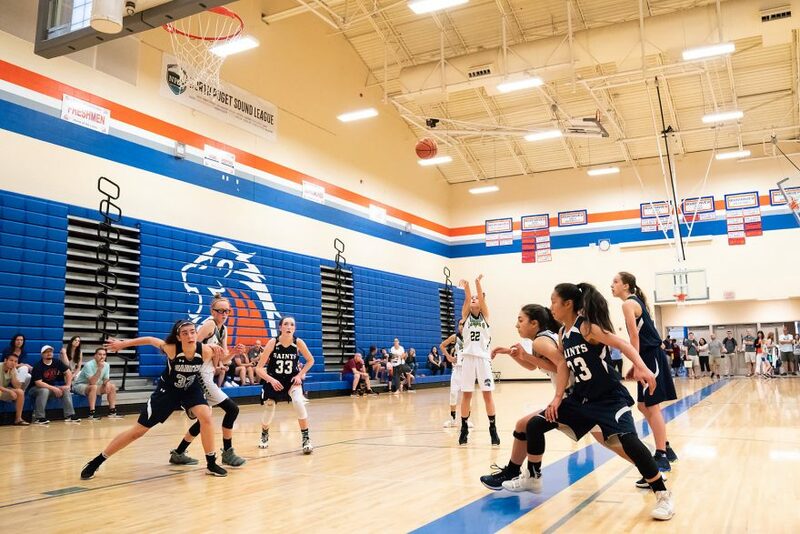 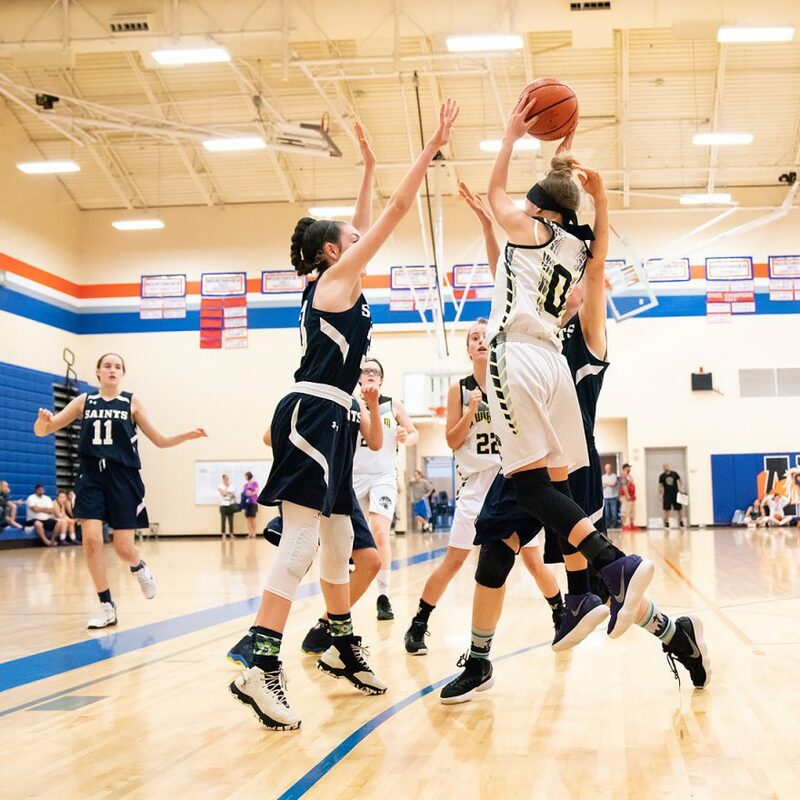 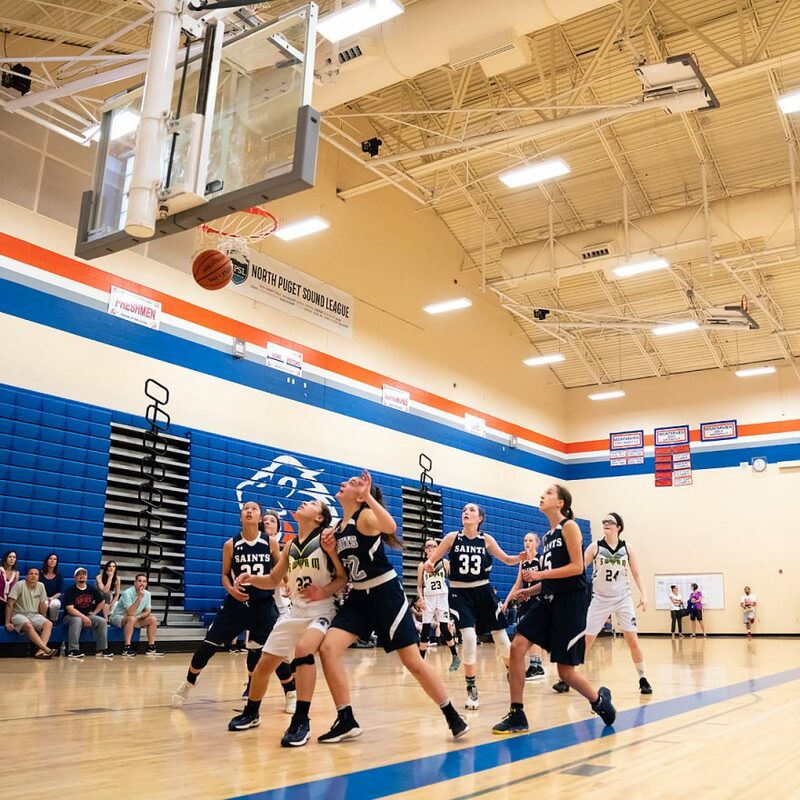 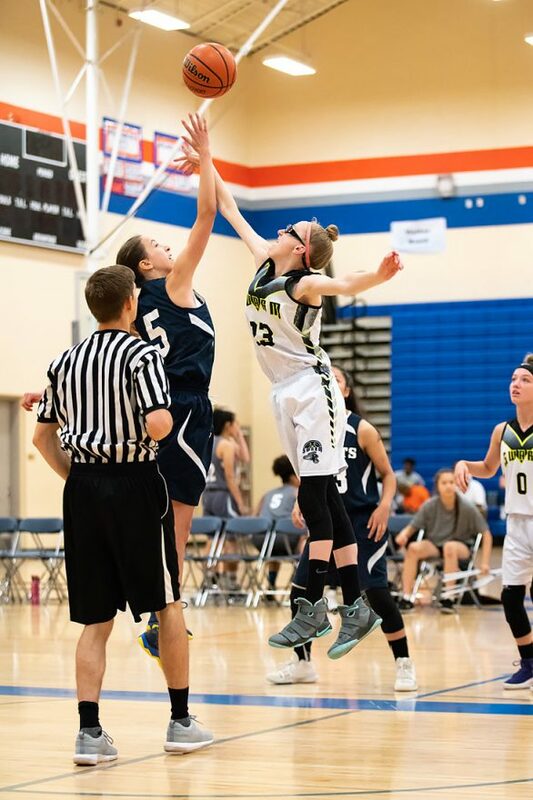 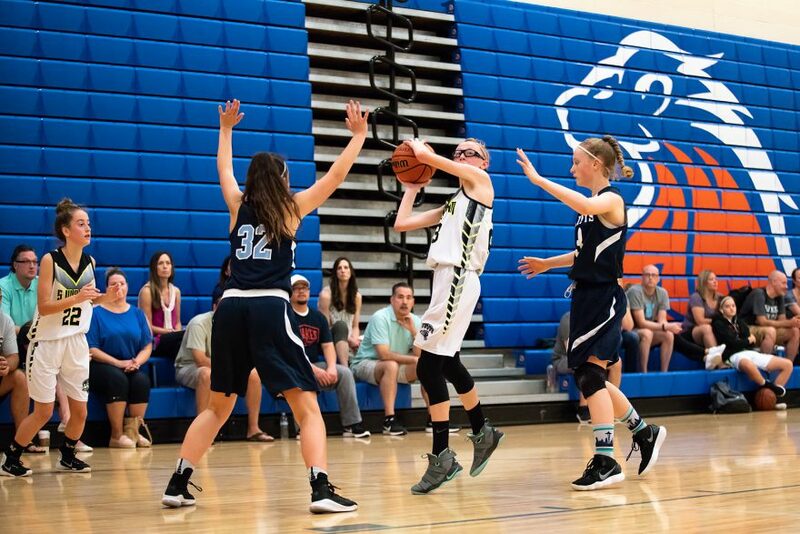 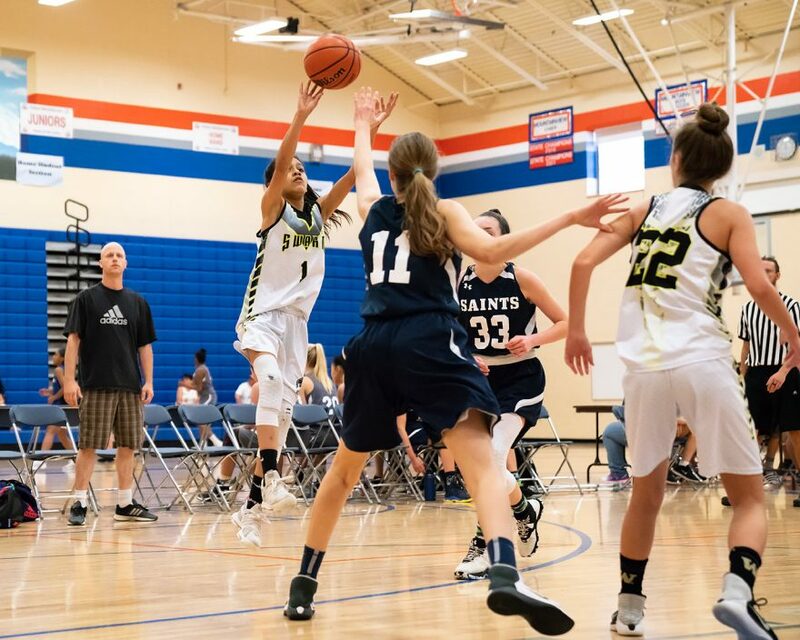 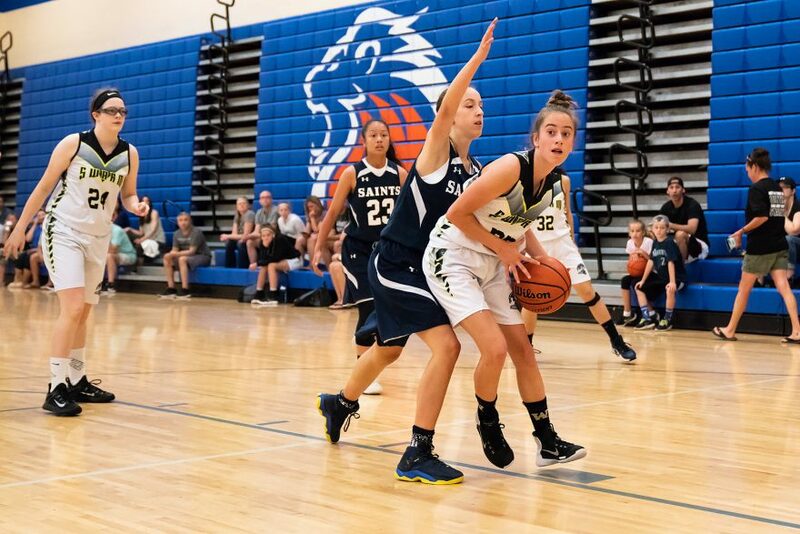 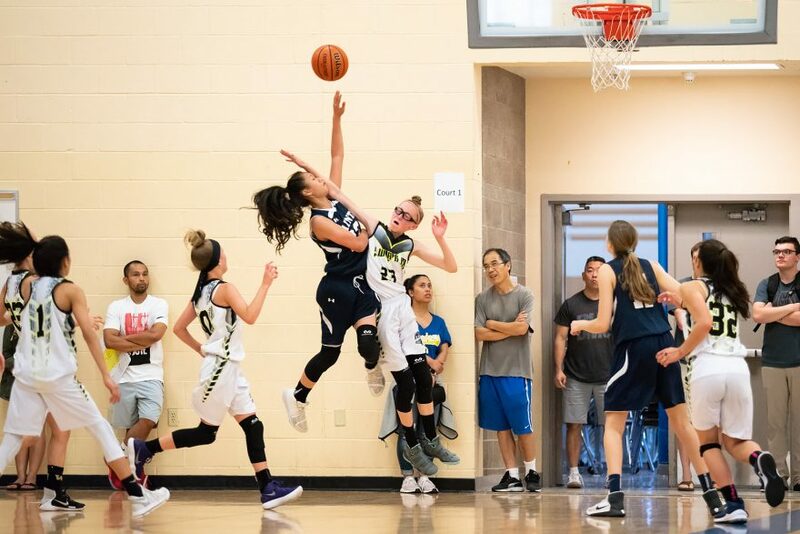 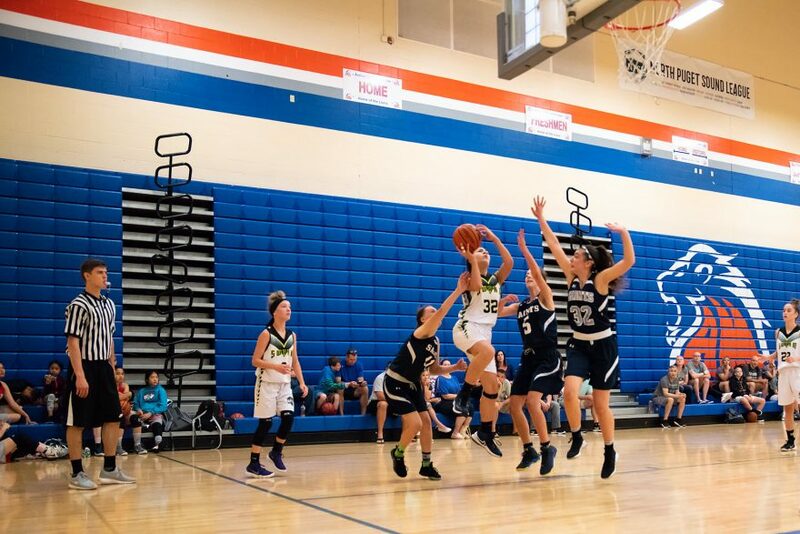 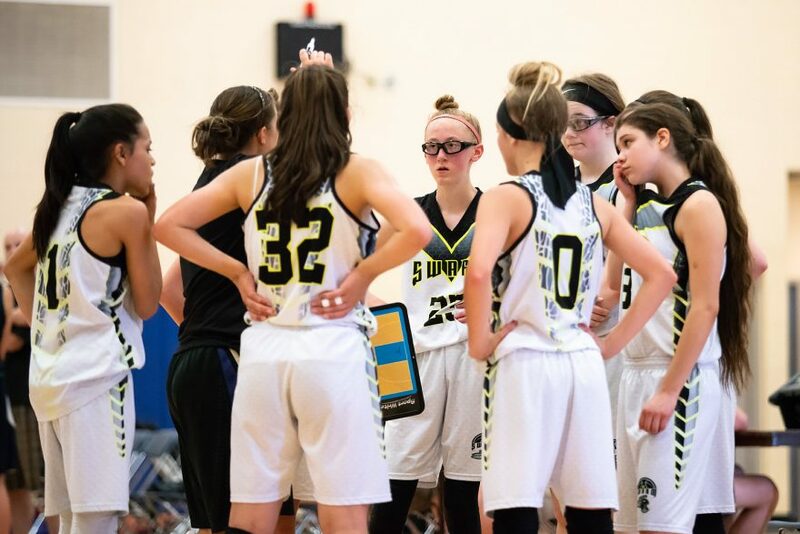 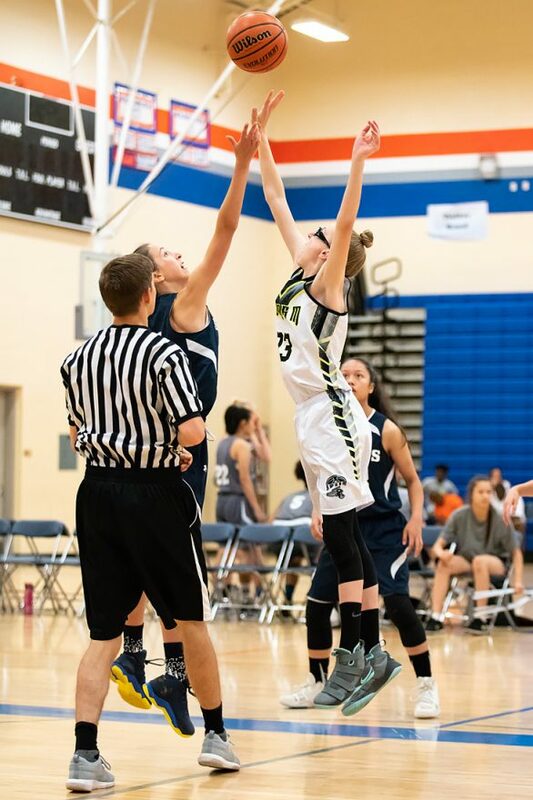 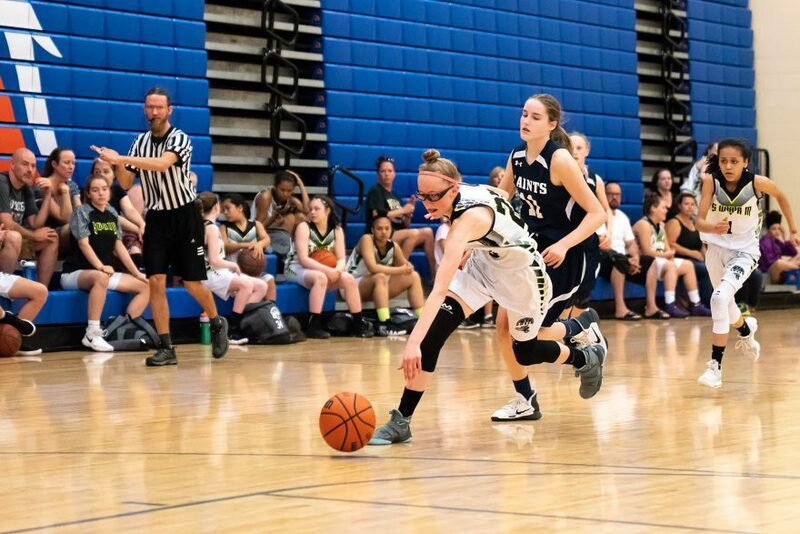 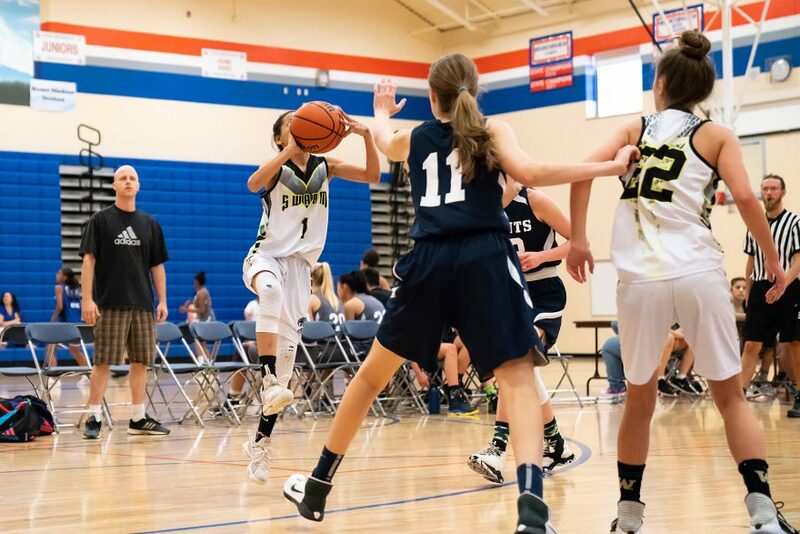 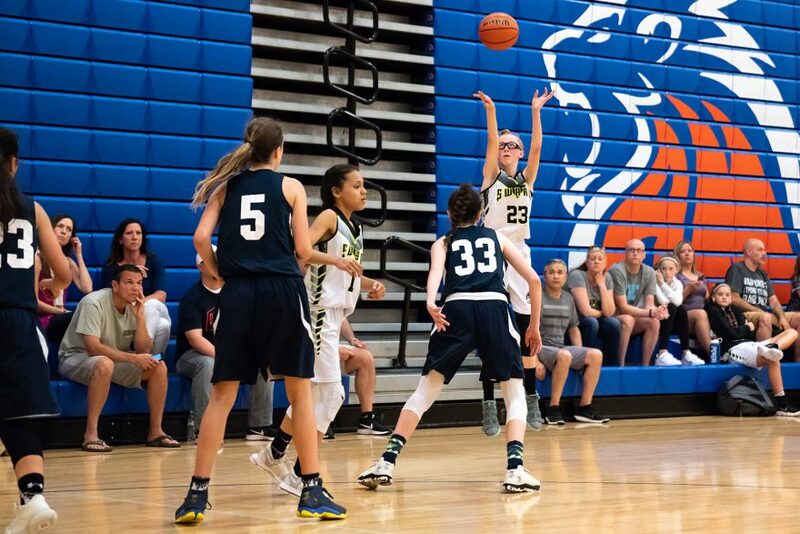 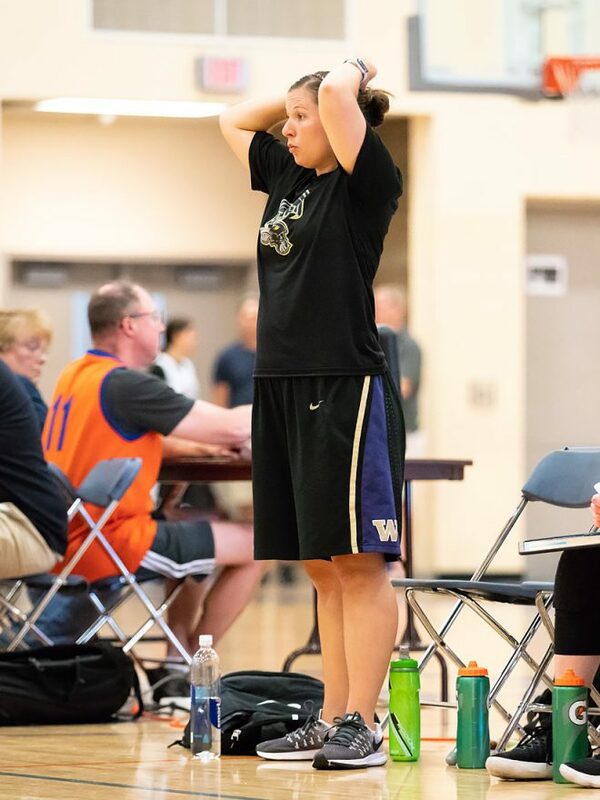 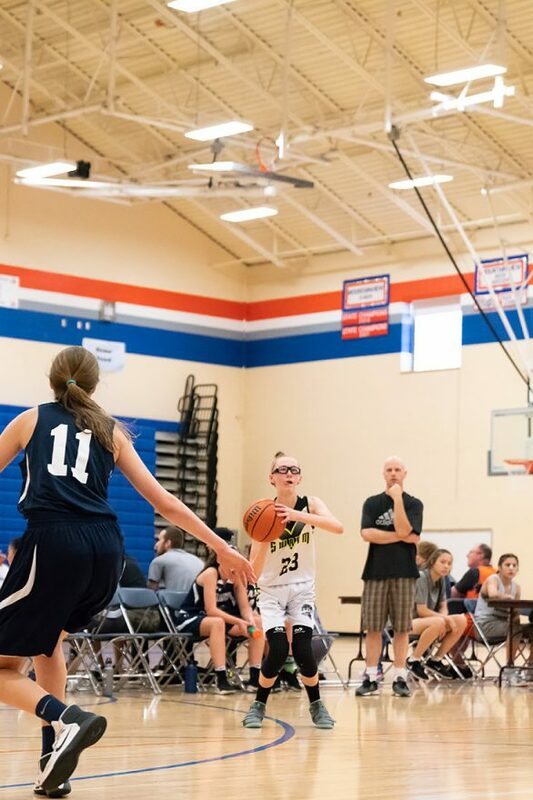 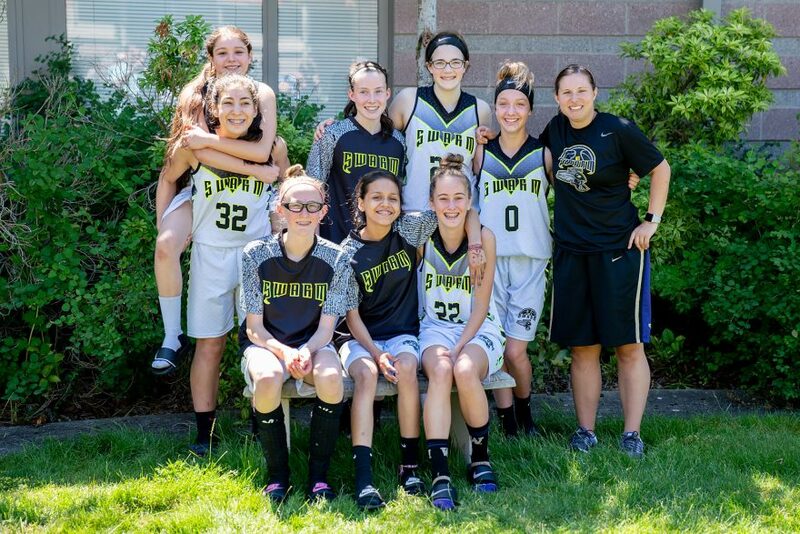 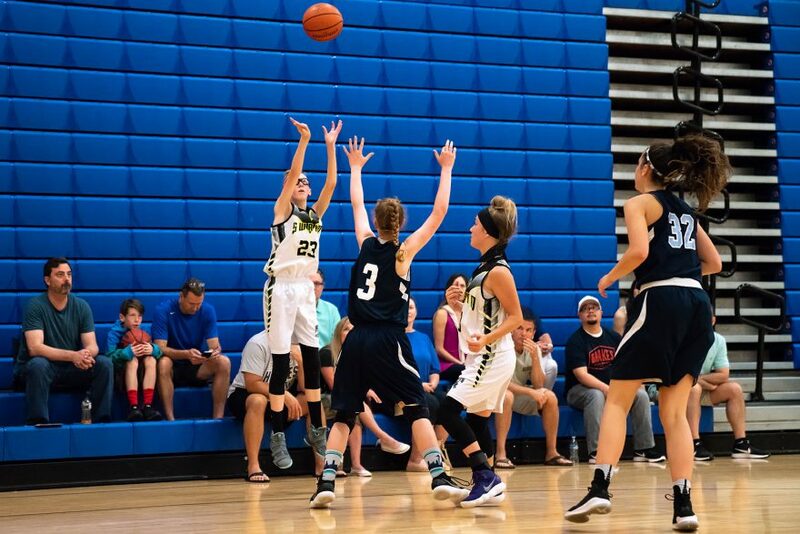 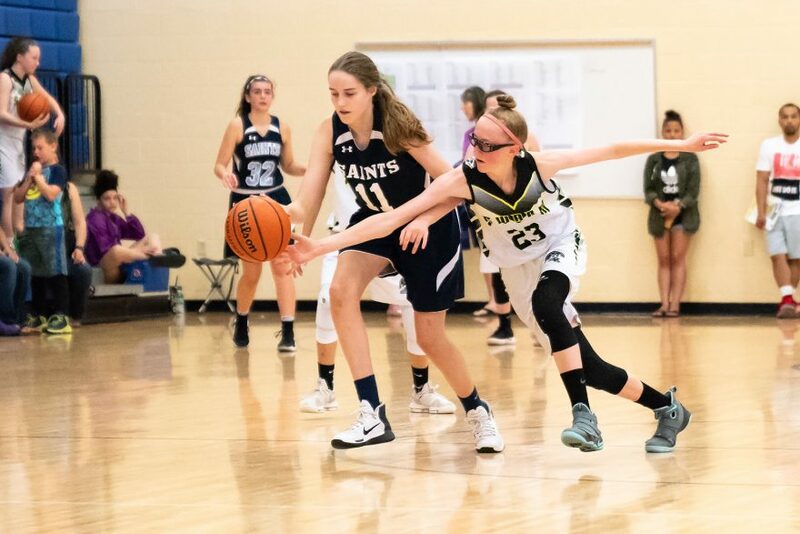 Late Sunday morning, the Saints tipped off against the Swarm in the third game of the Father’s Day tournament. 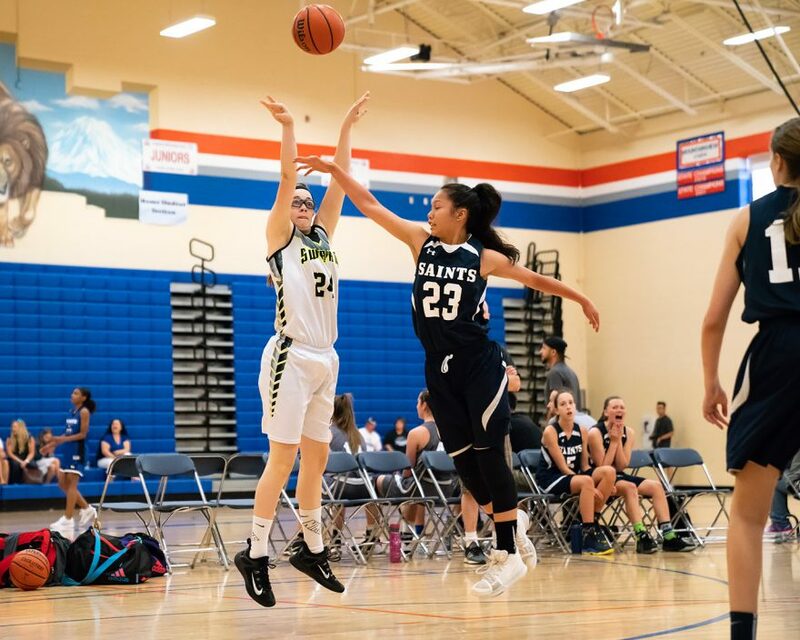 In a close first half, the Saints took an early 6-3 lead, with the Swarm’s points all coming on free throws. 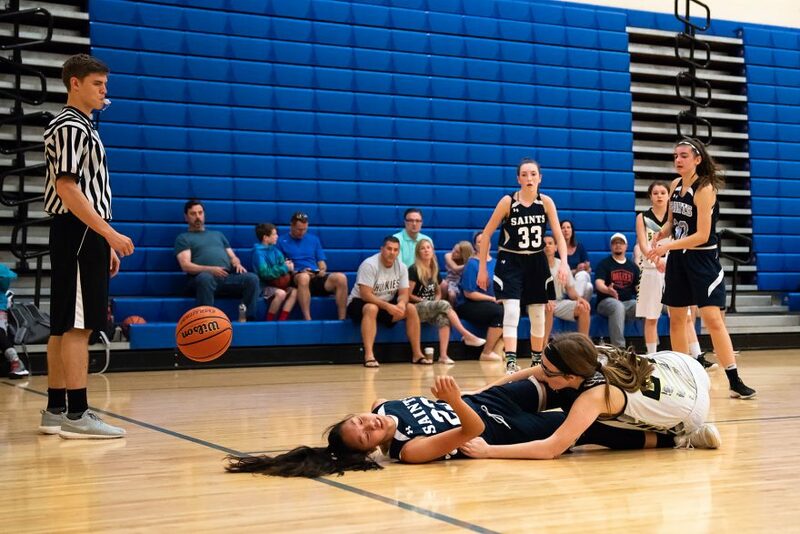 After calling these fouls in the opening minutes, however, the referees apparently decided that they’d done their duty for the day, and what ensued was an increasingly brutal, physical game: it became equally common for possessions to end with bodies on the floor as otherwise. 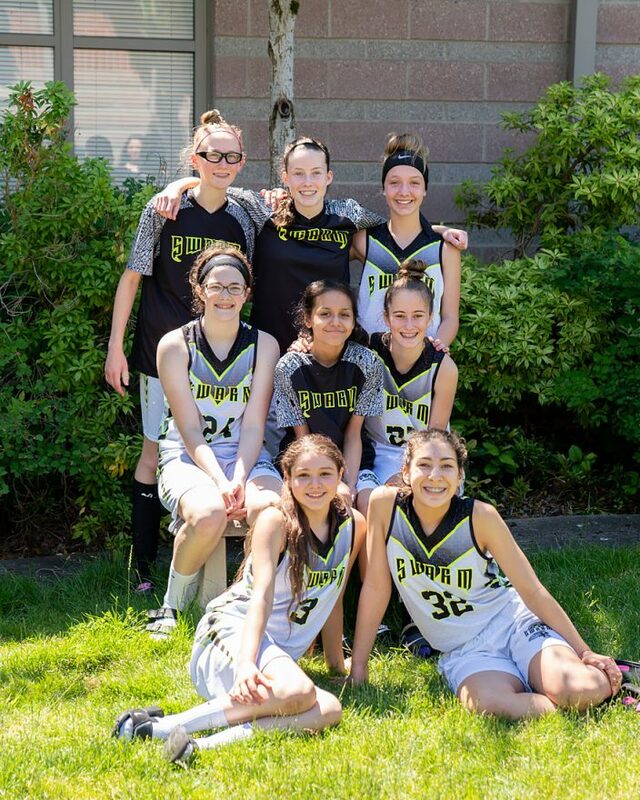 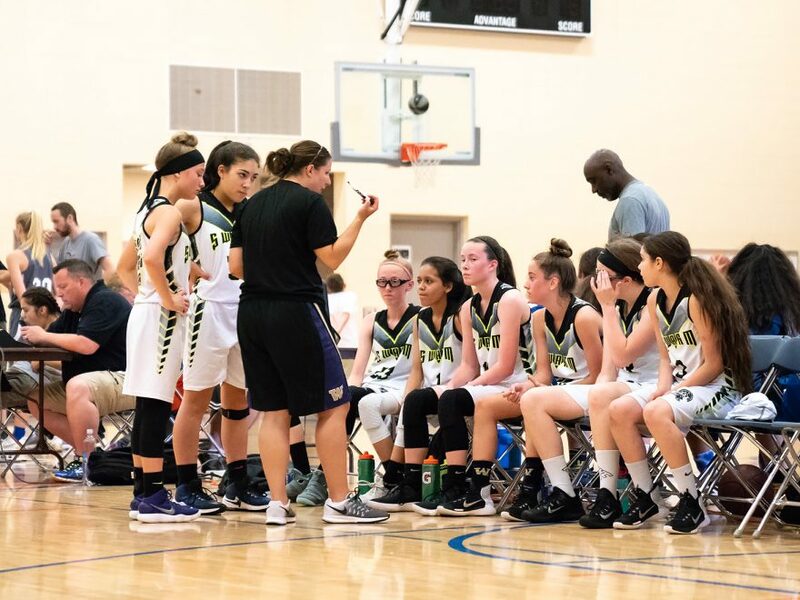 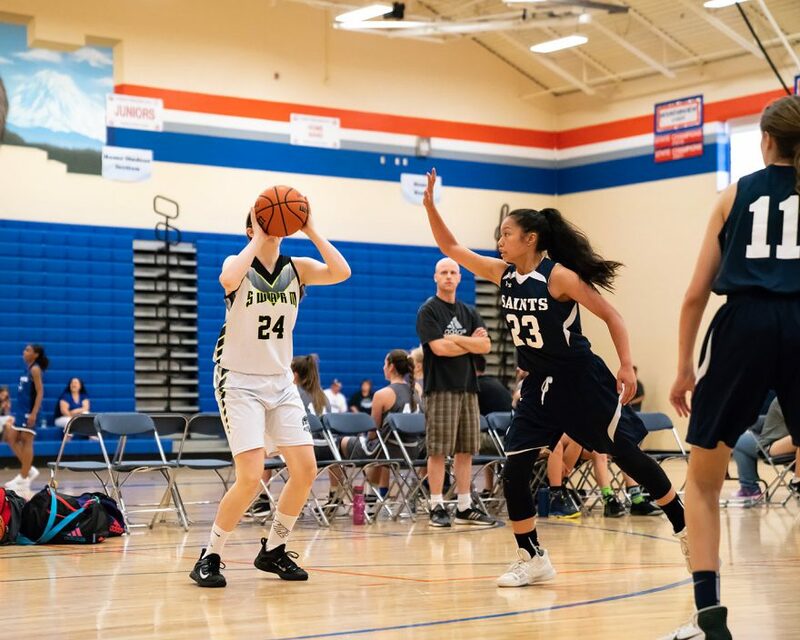 Just before the halfway point of the first period, the Swarm came storming back, scoring four unanswered points to secure their first lead of the game at 7-6, which was extended to 8-6 on a rare free-throw, and then 11-6 after two more minutes of play. The lead didn’t last long, however, after the Saints took a timeout and regrouped. 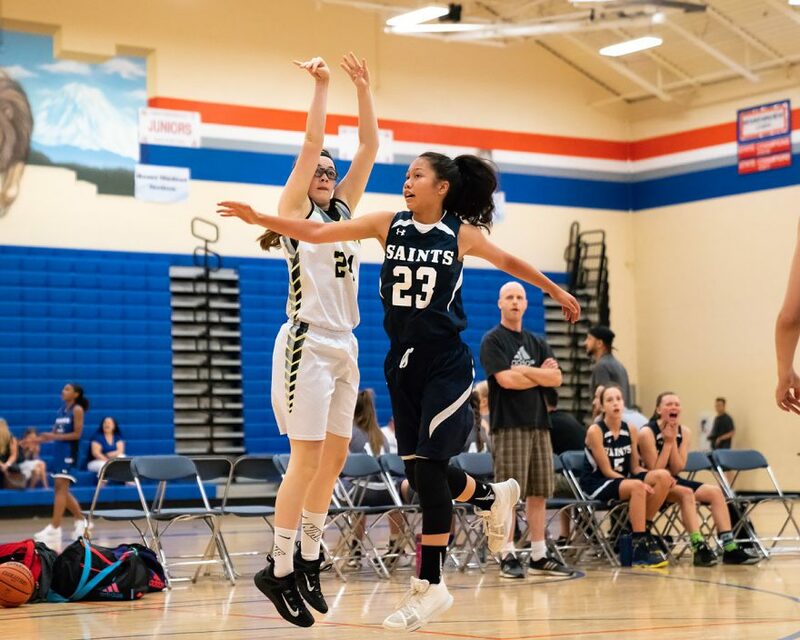 A layup by the Saint’s #23 nudged them out of their scoring slump, and with seven minutes remaining in the half, they retook the lead 12-11, and another shot gave them a three point lead moments later. 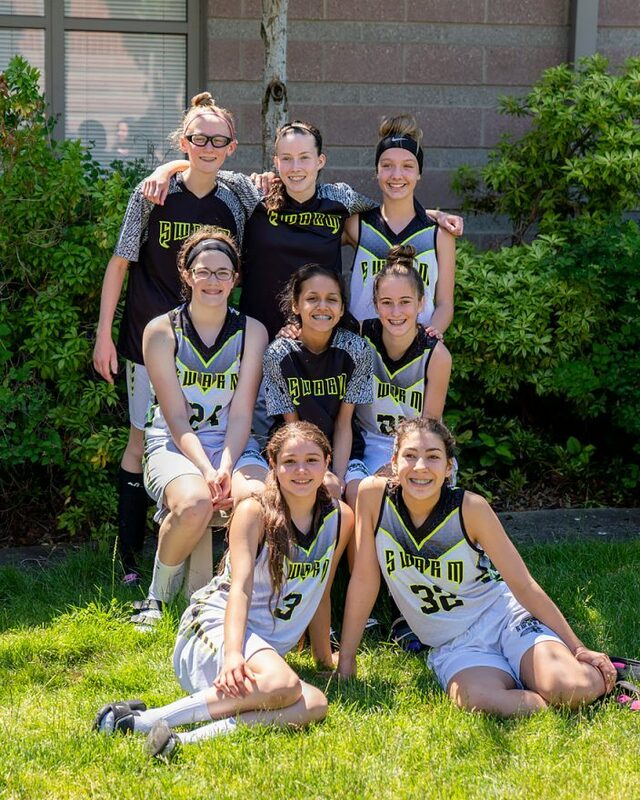 But the Swarm’s deep shooters came to the team’s rescue, with #32 hitting a weak-side three to tie the game, and then #23 hitting a strong-side to take a 17-14 lead with just over three minutes before halftime. 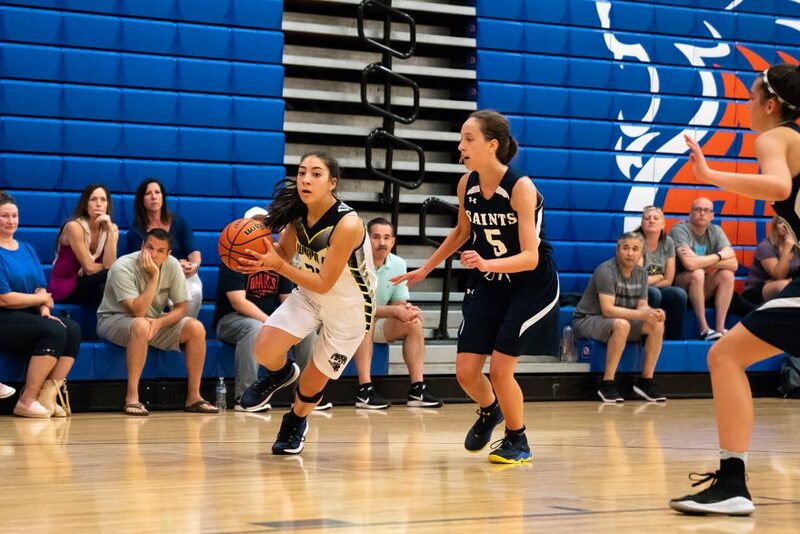 As the period came to a close, though, the Saints tied the game at 18-18, and then quickly made two layups to gain a four point advantage going into the break. 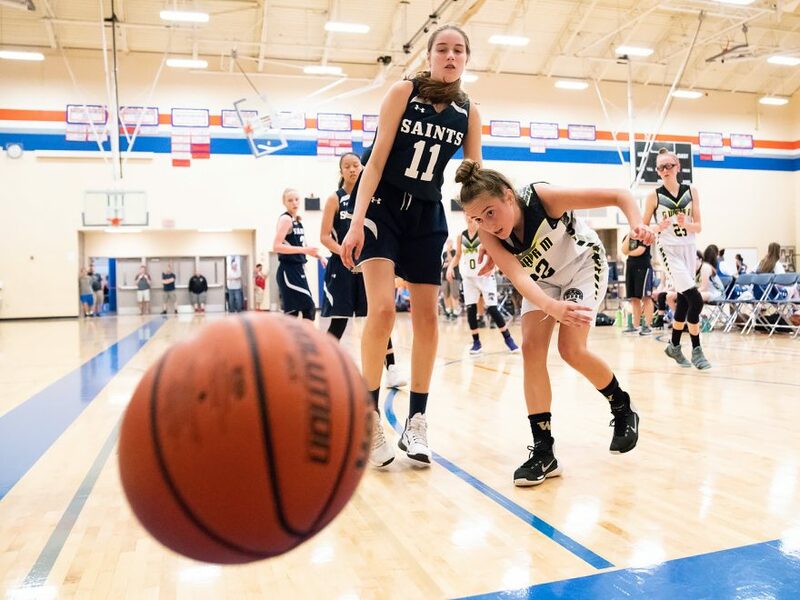 Throughout the second half, the Saints were able to maintain their modest lead (with my back to the scoreboard, it was hard to track the details). 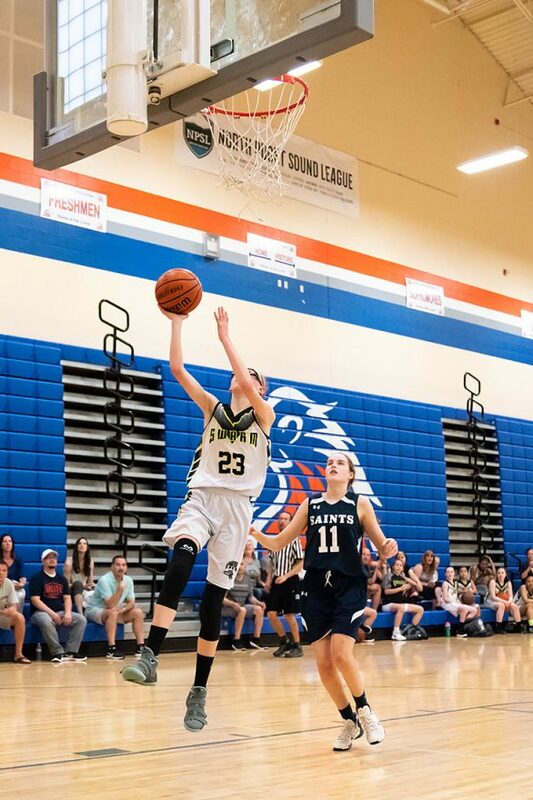 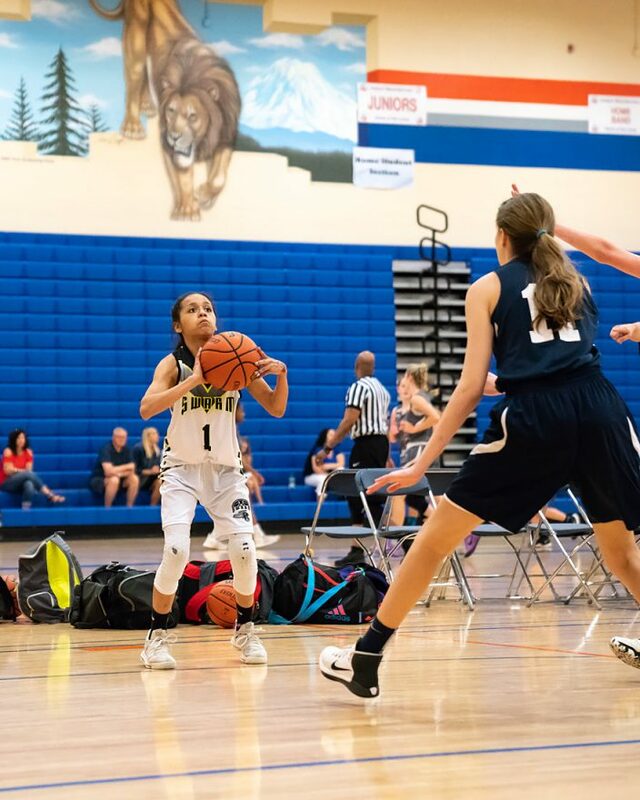 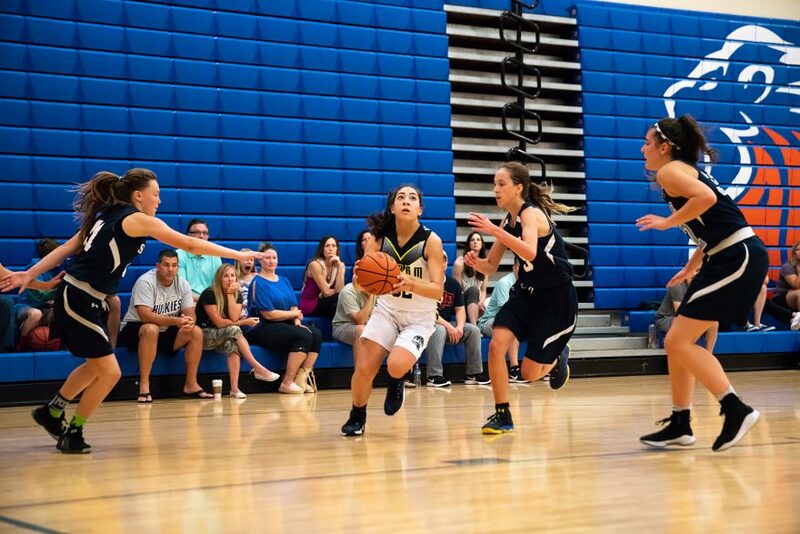 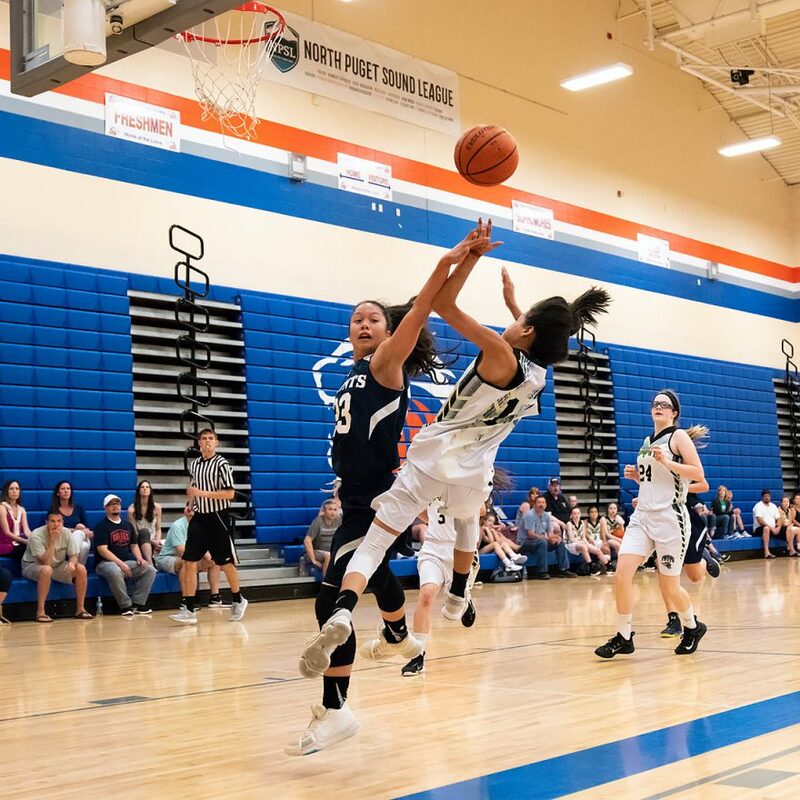 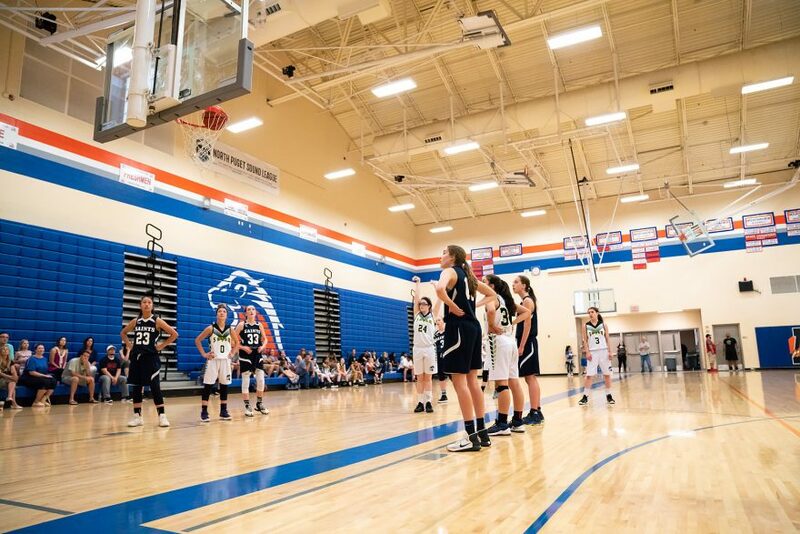 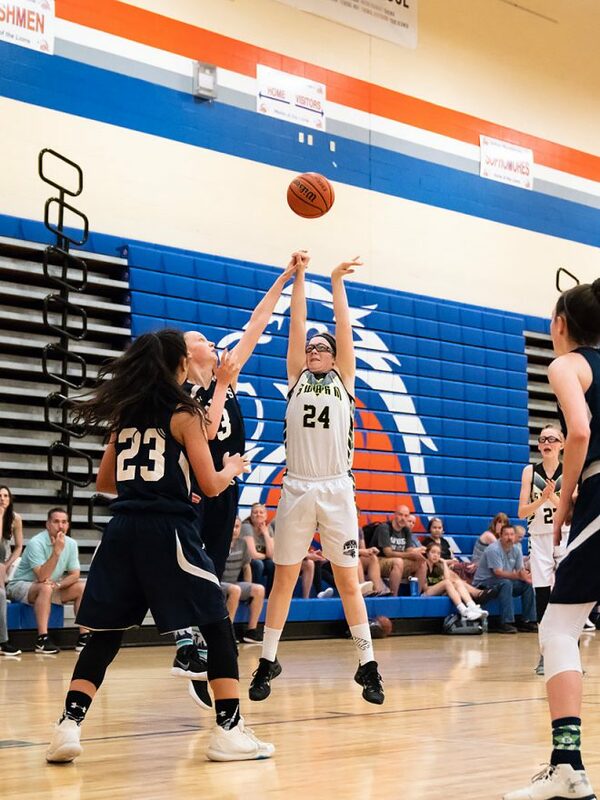 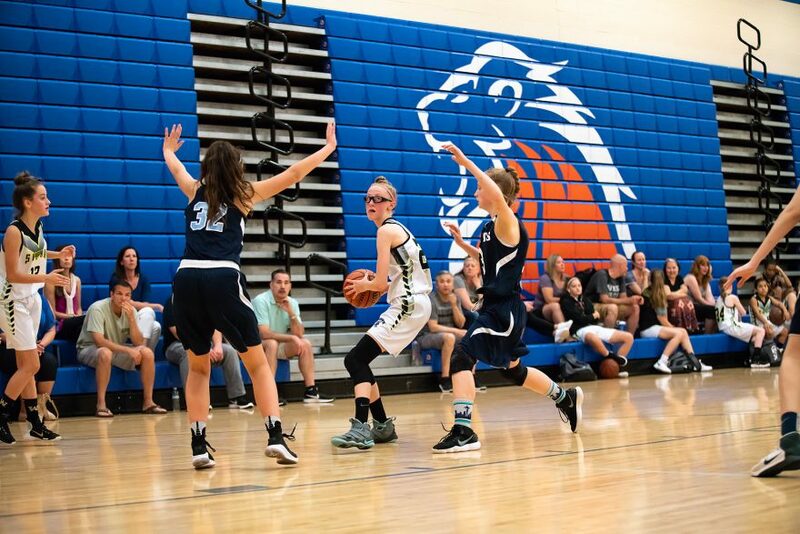 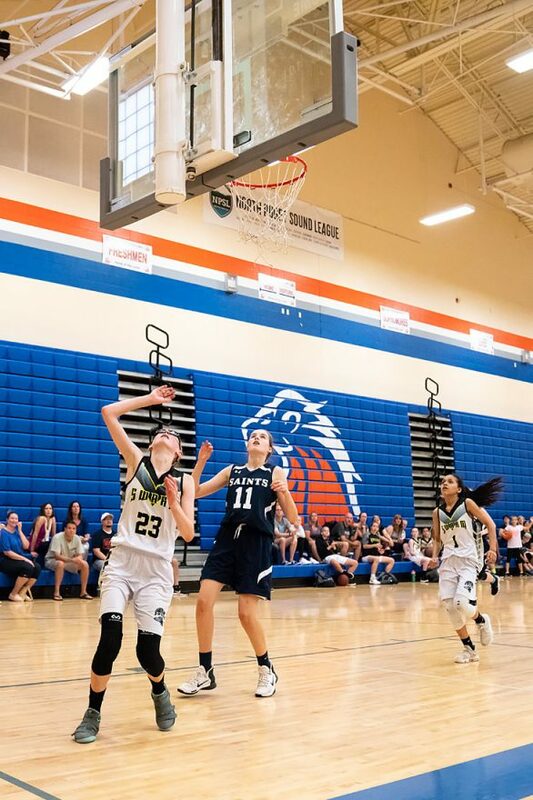 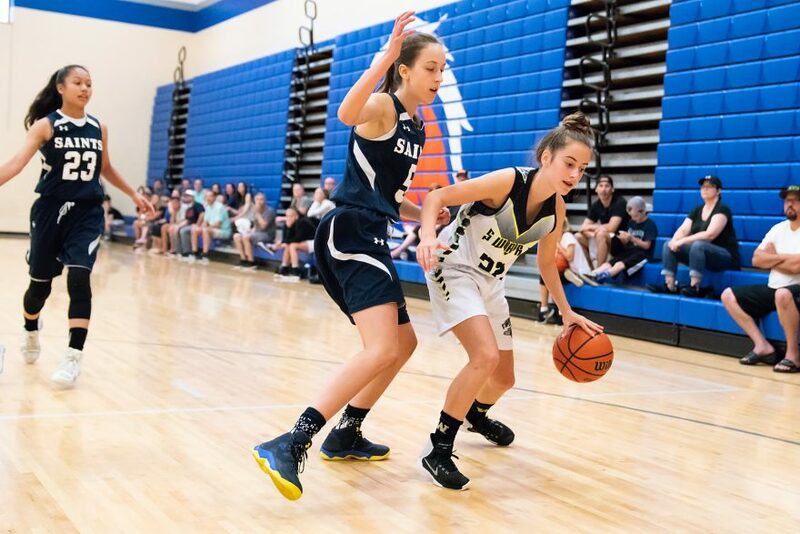 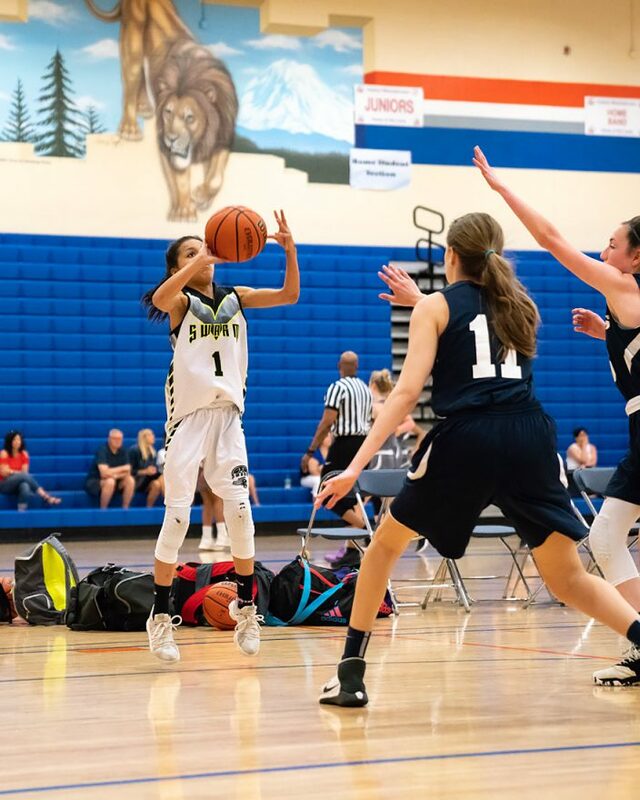 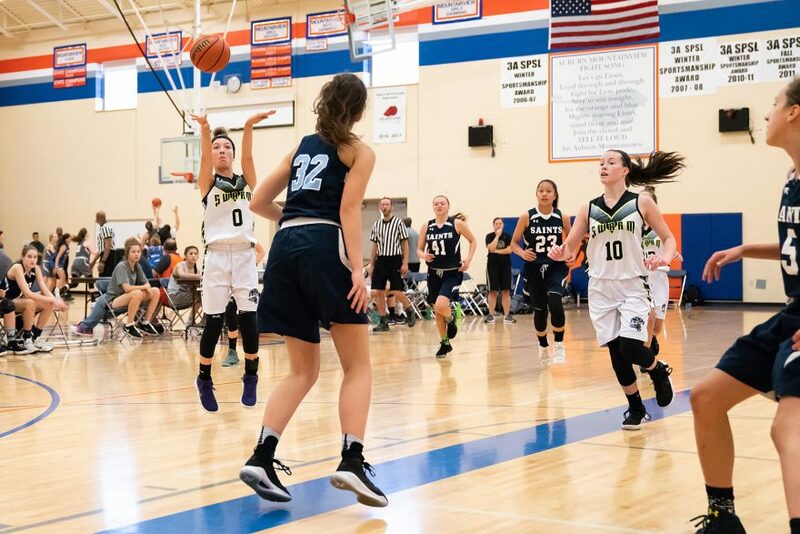 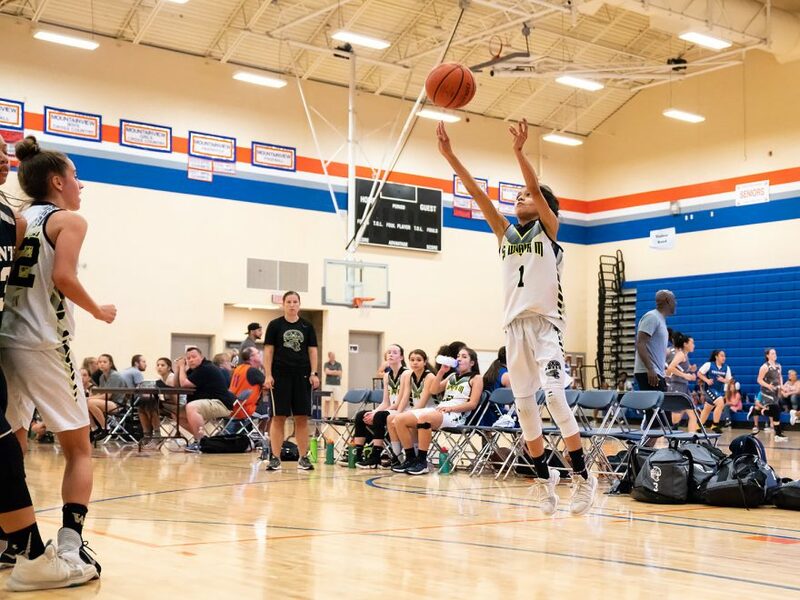 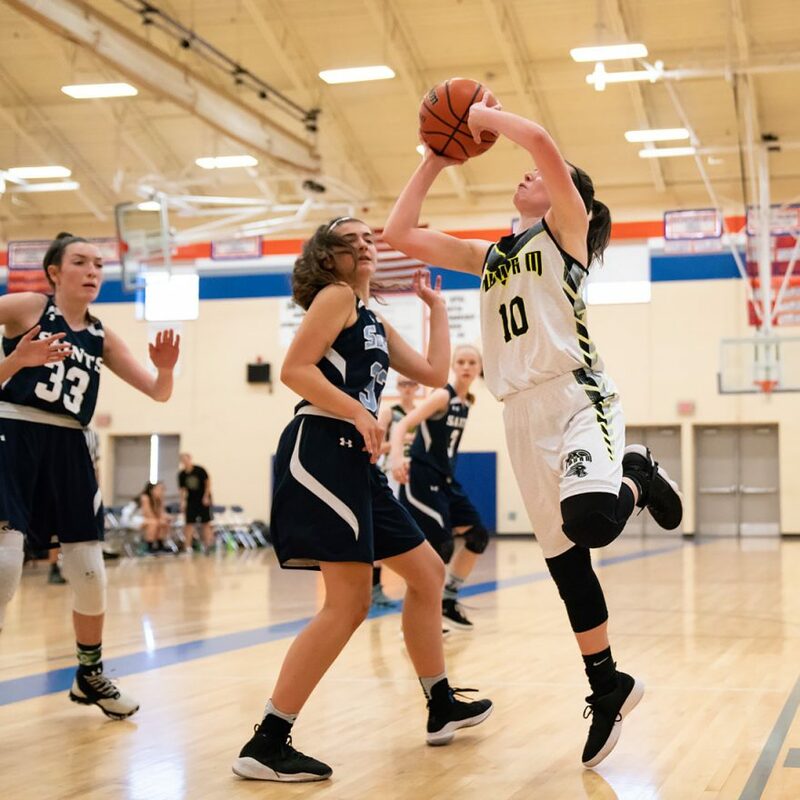 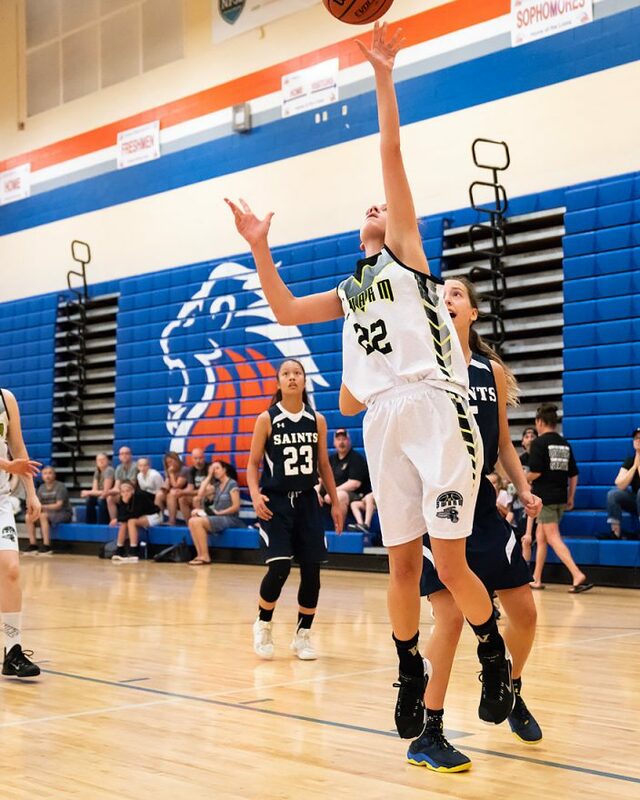 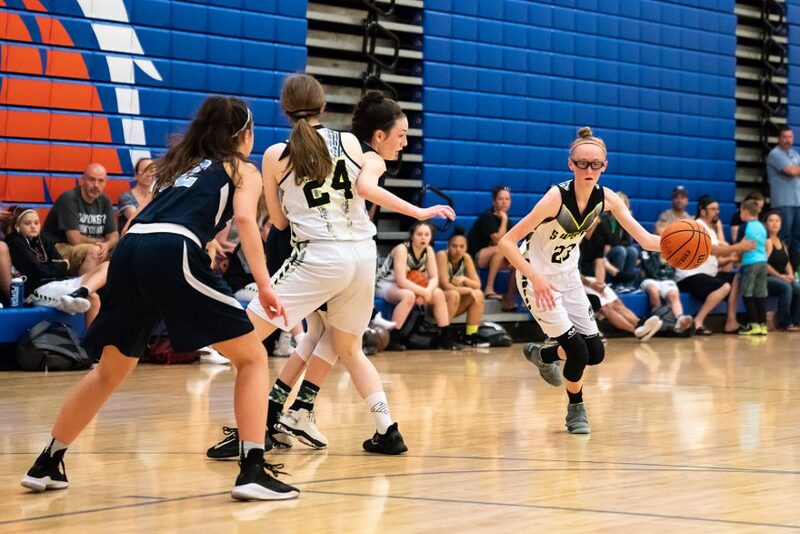 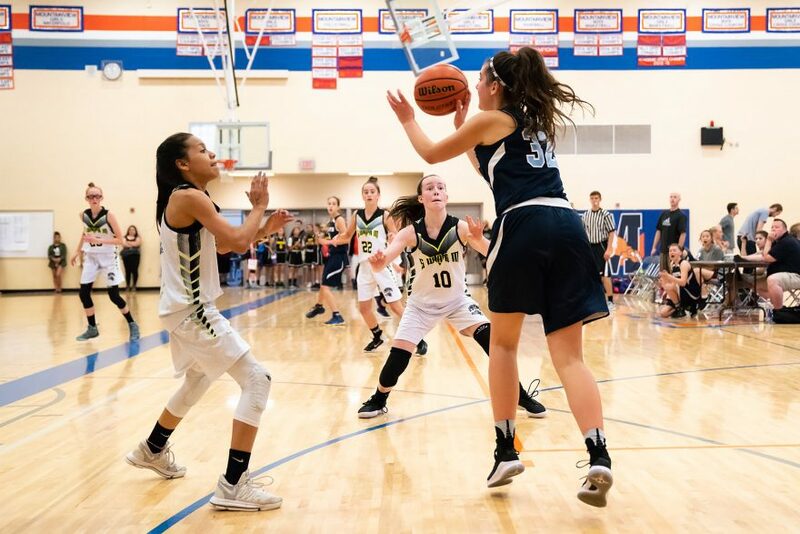 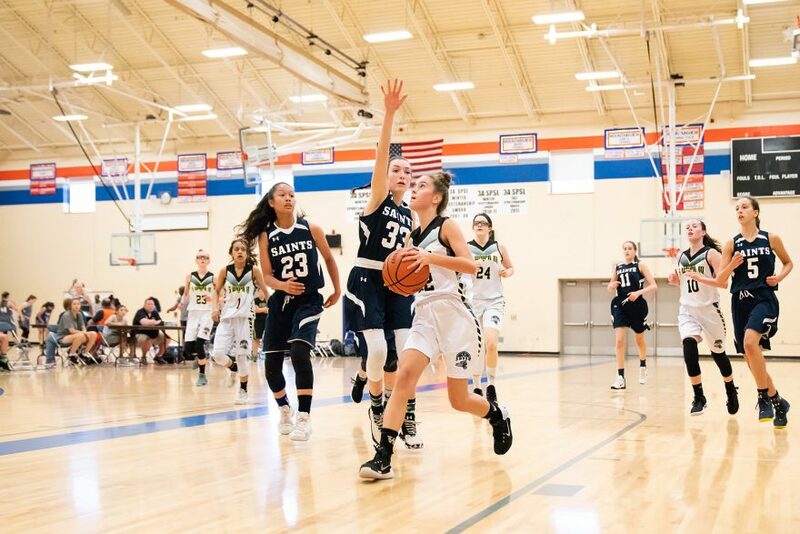 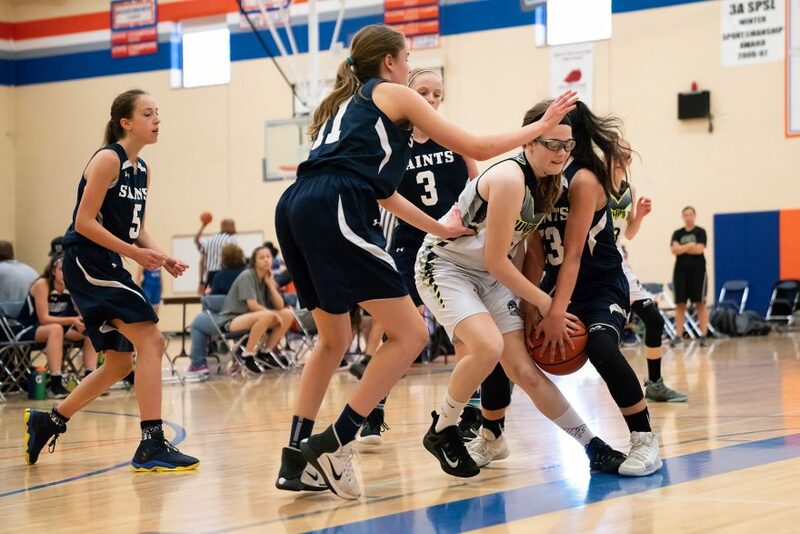 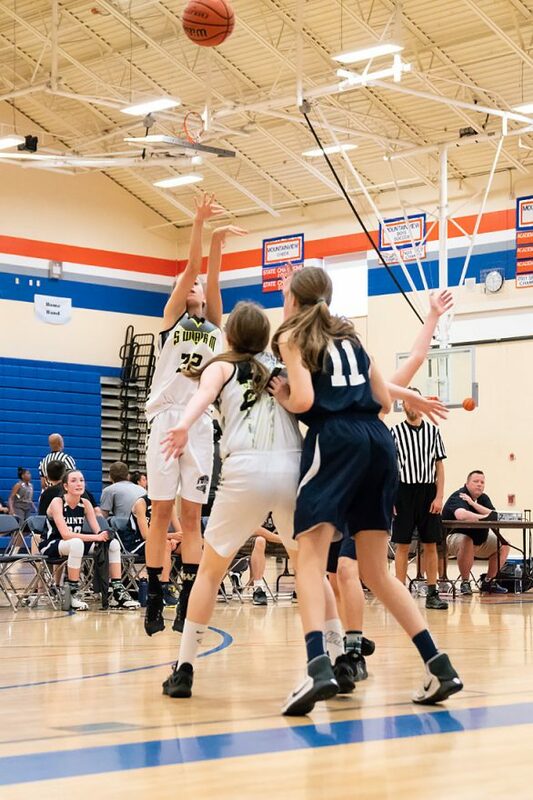 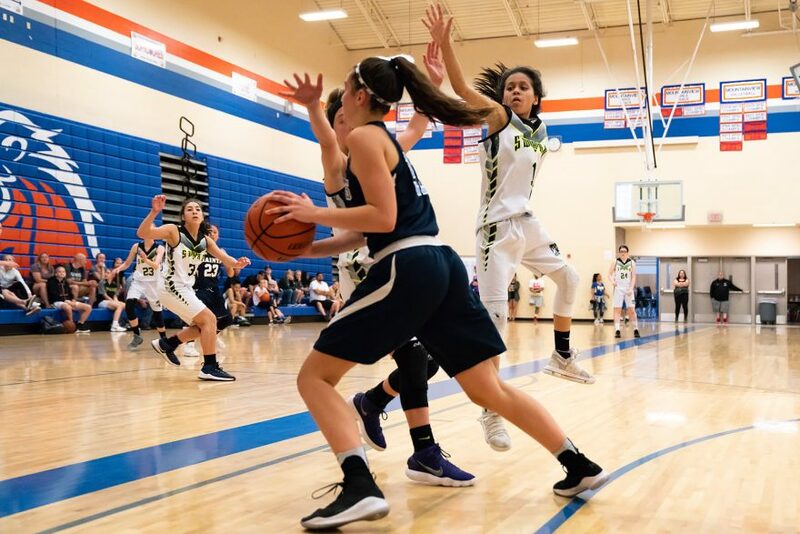 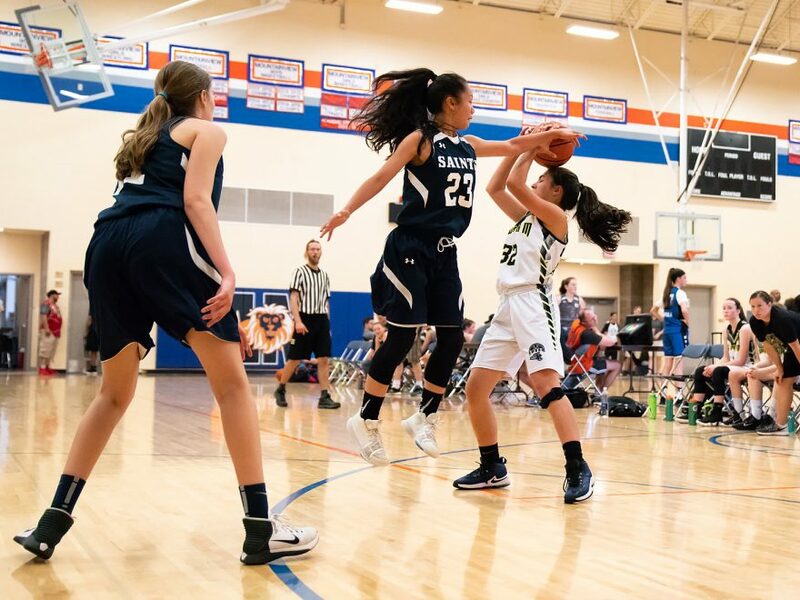 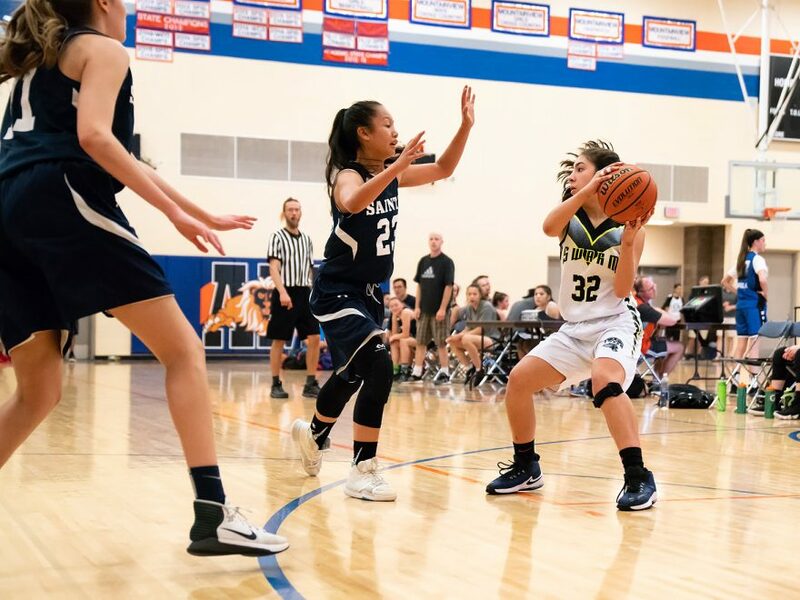 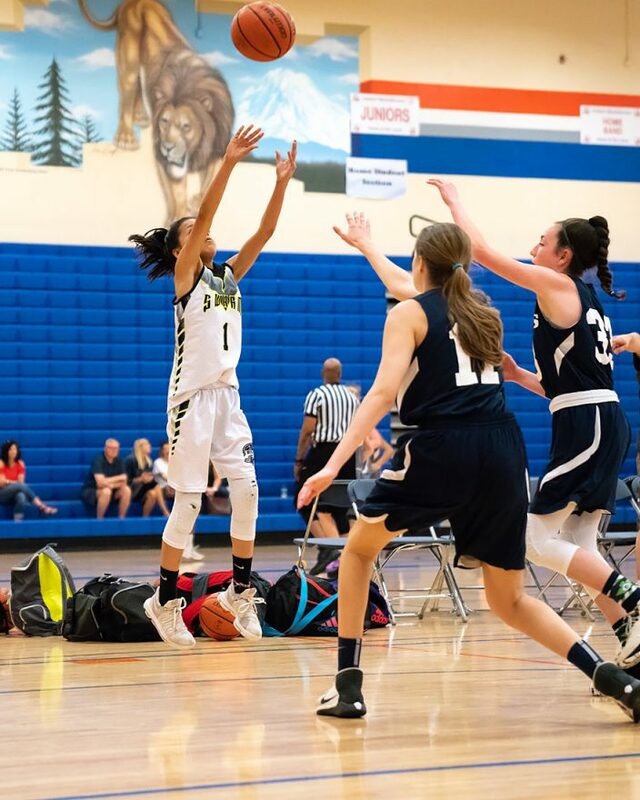 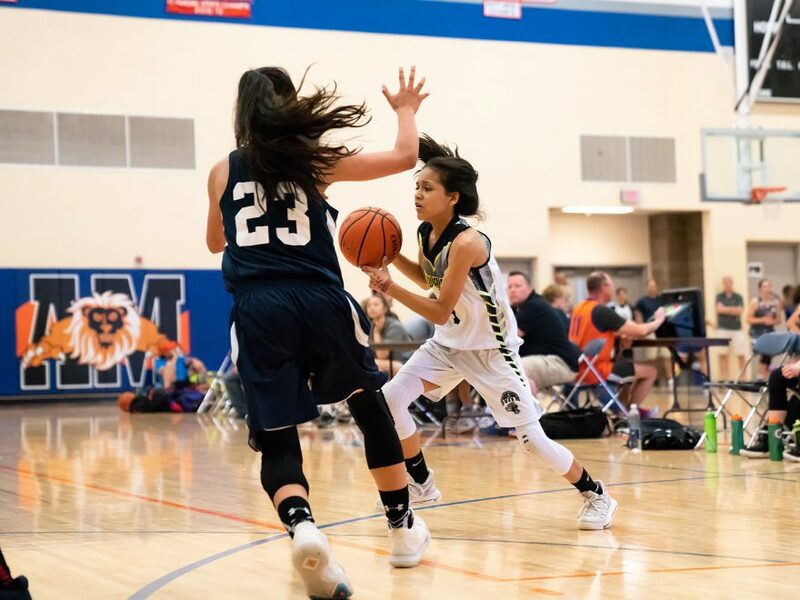 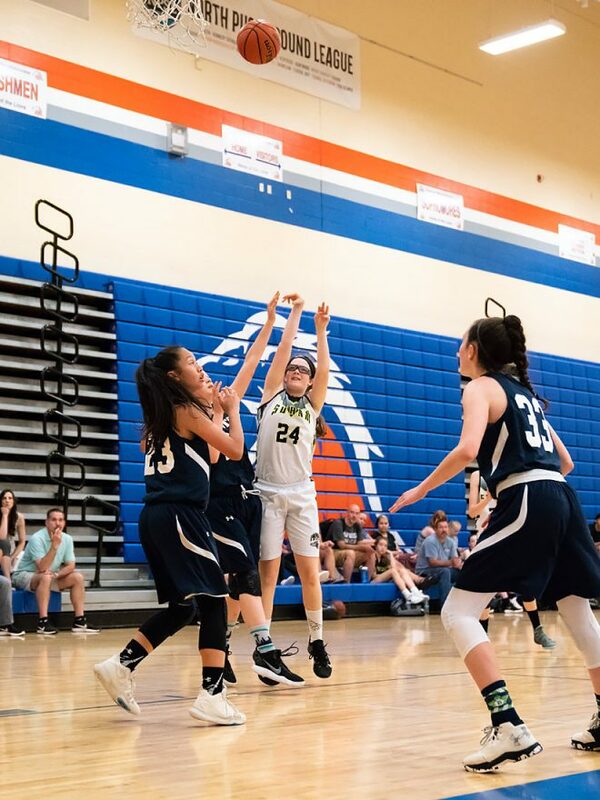 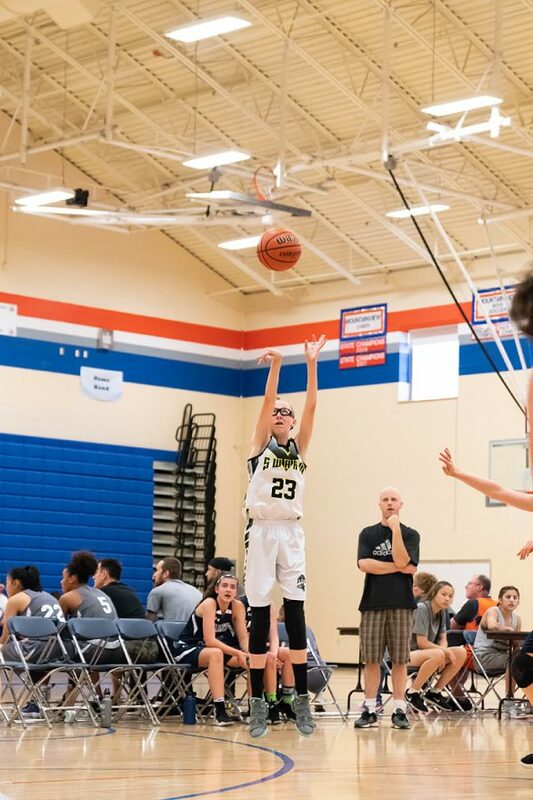 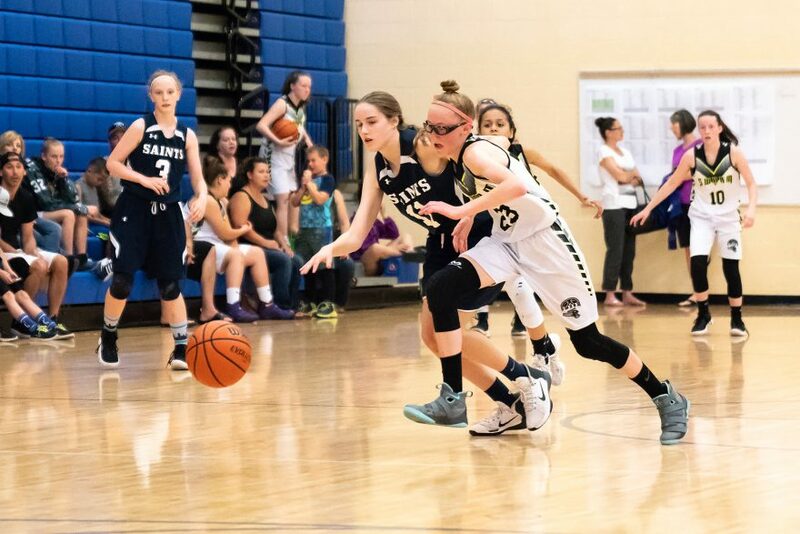 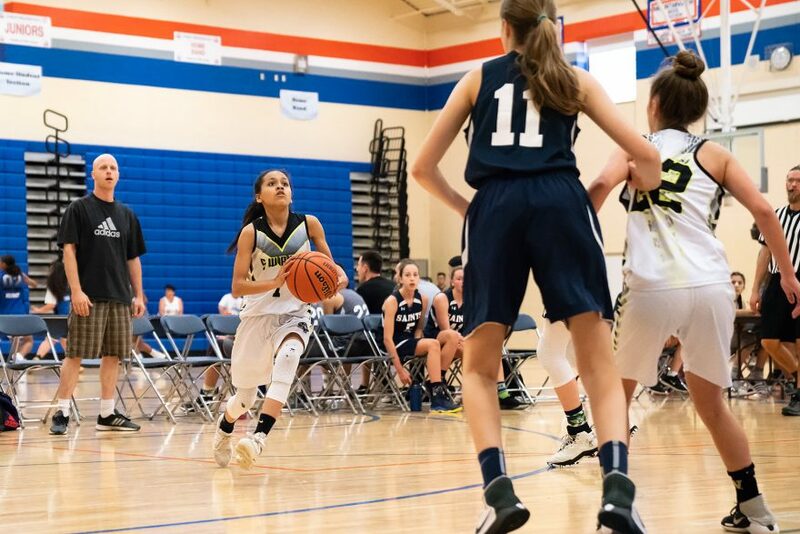 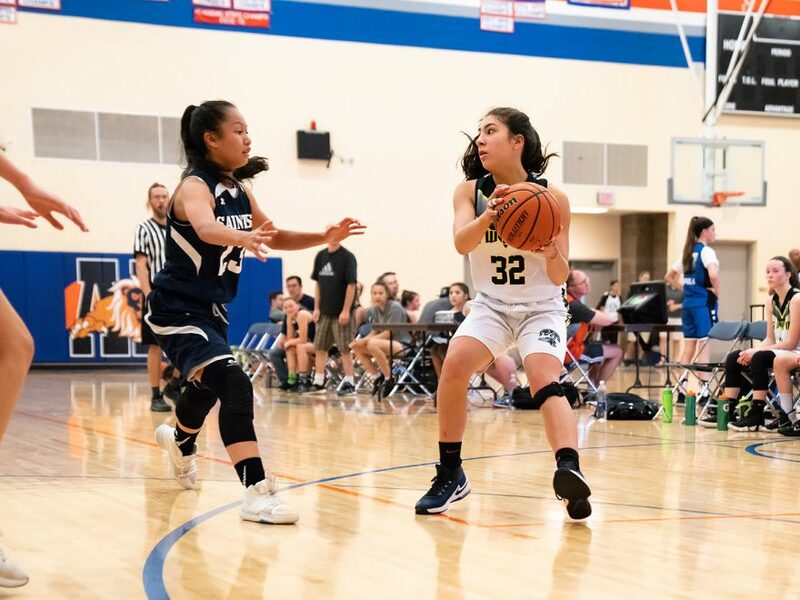 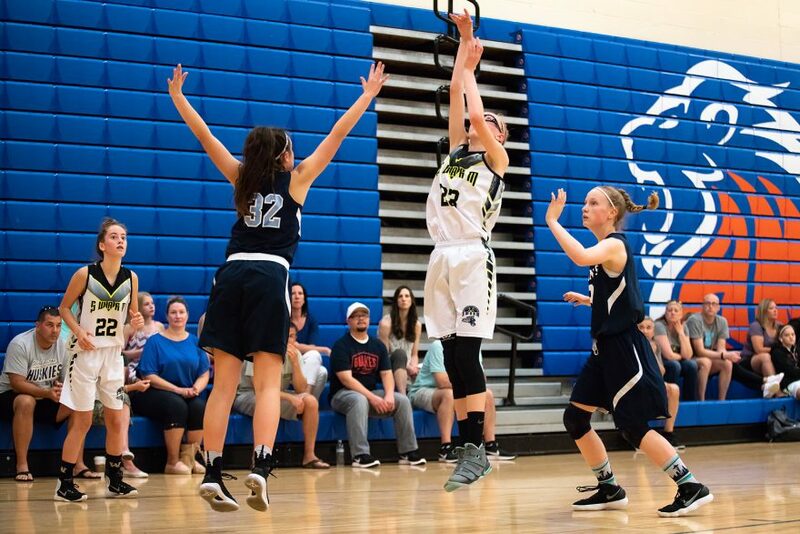 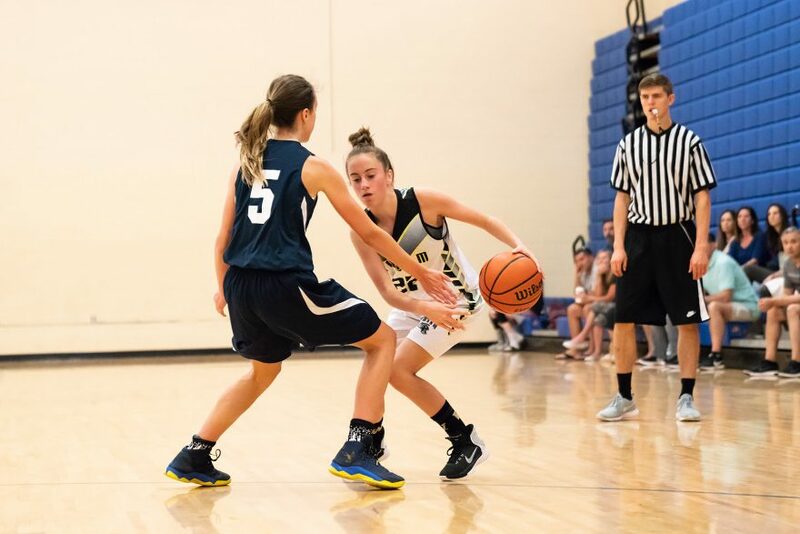 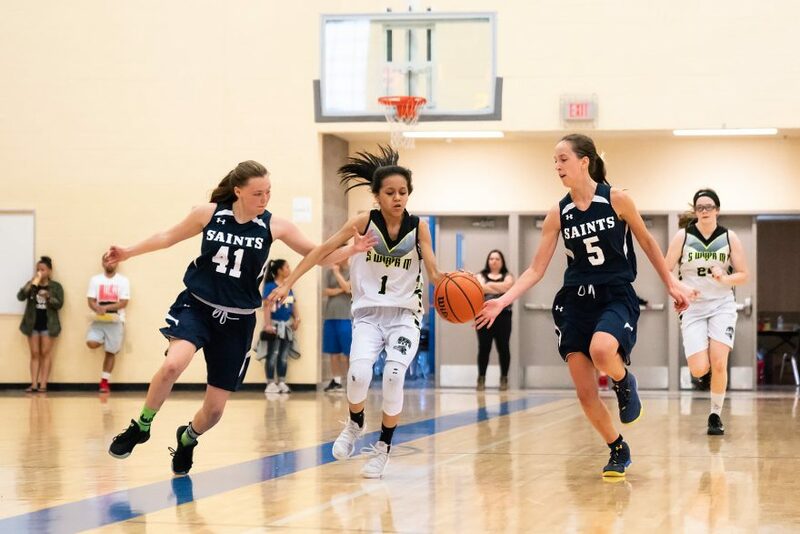 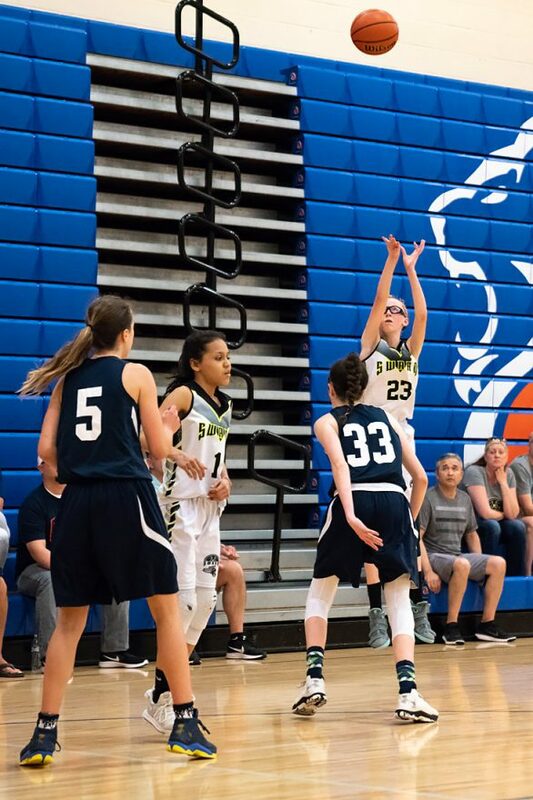 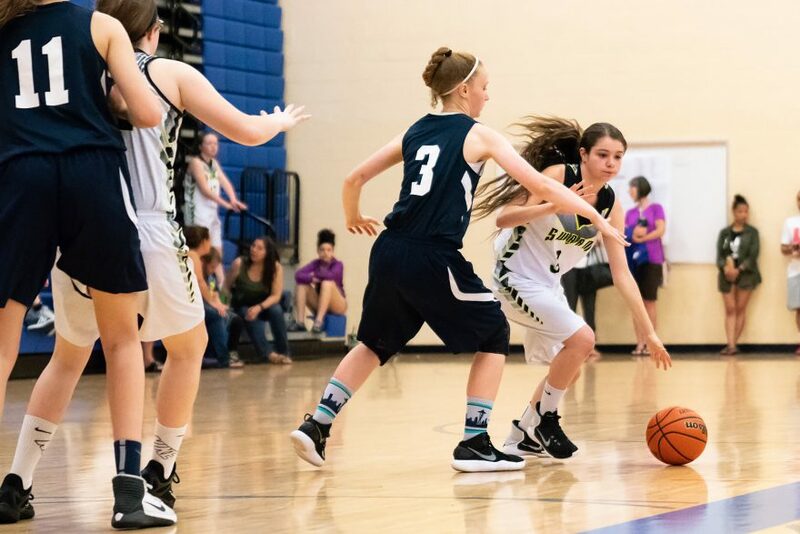 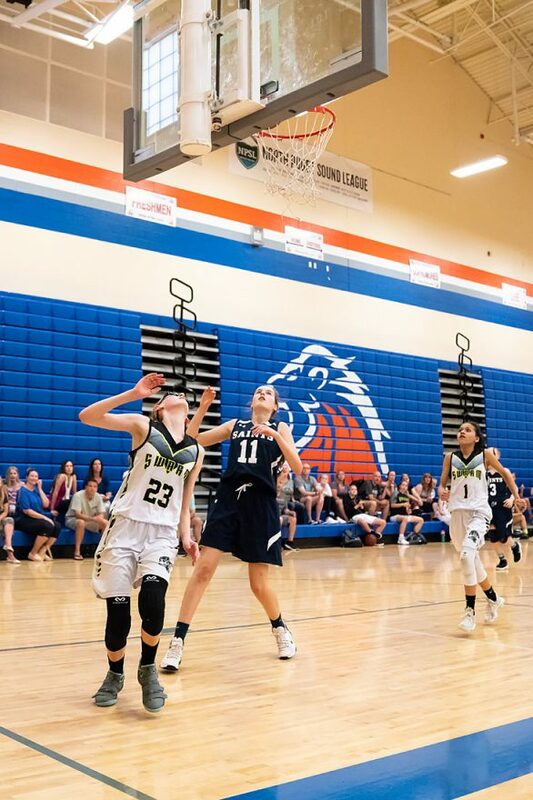 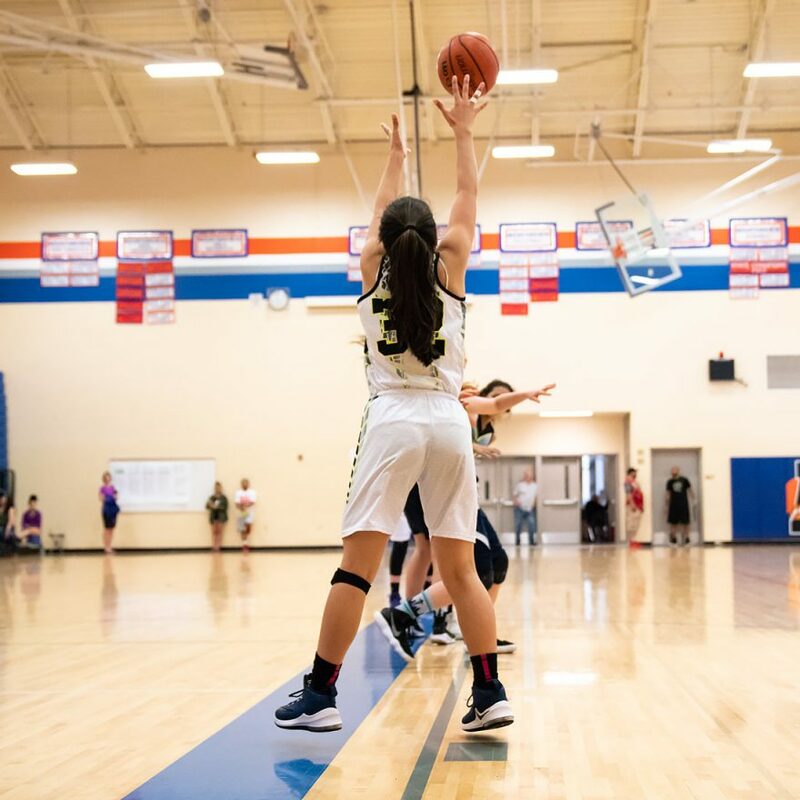 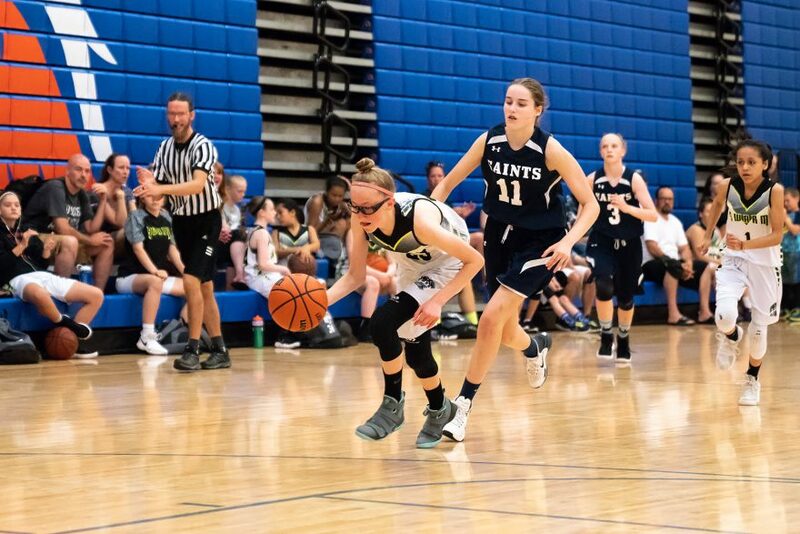 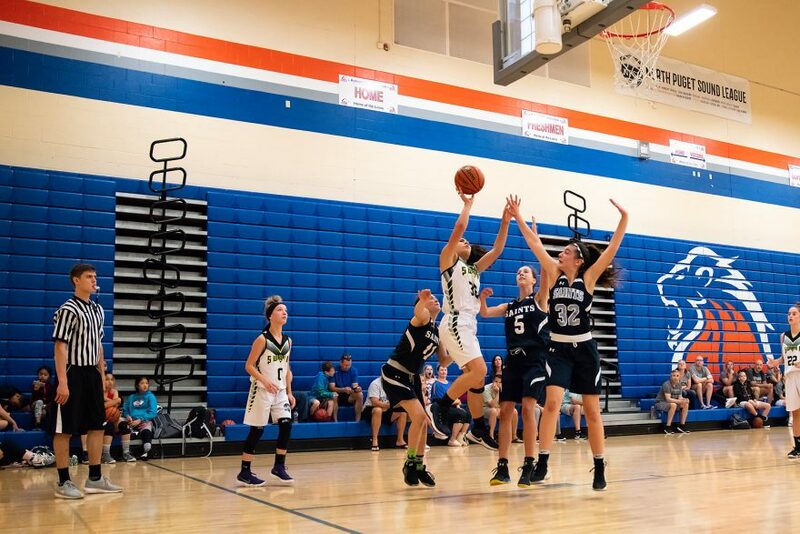 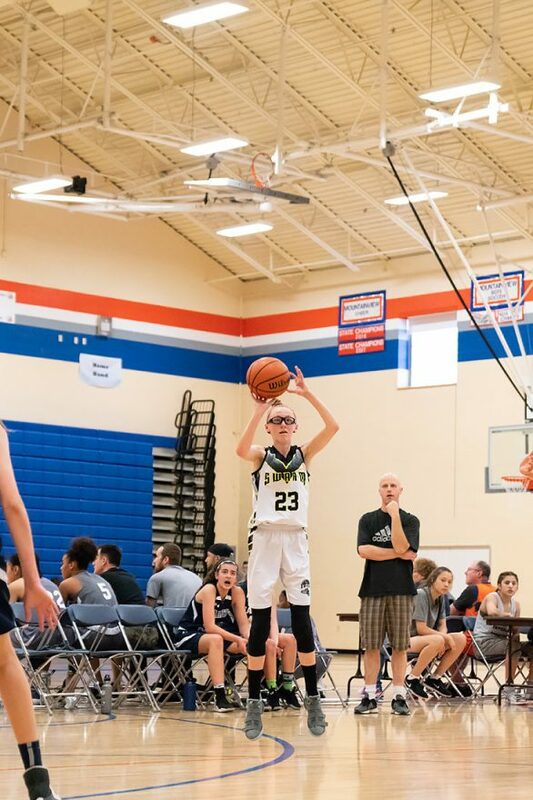 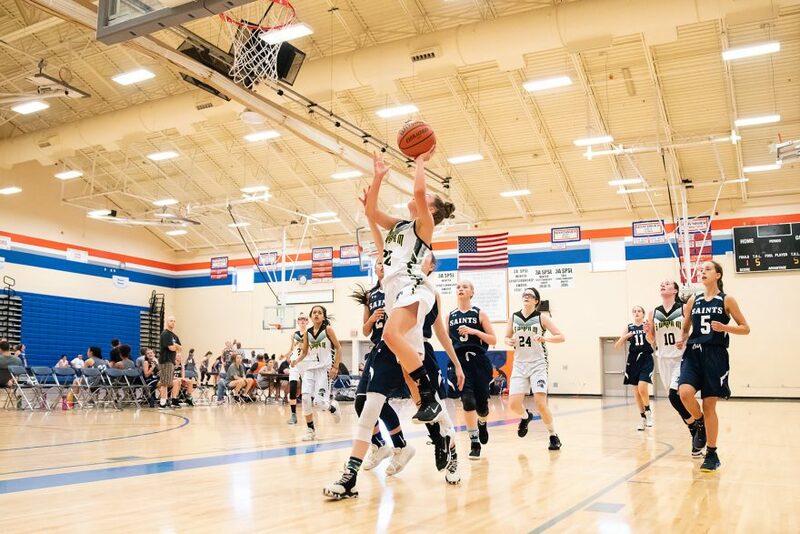 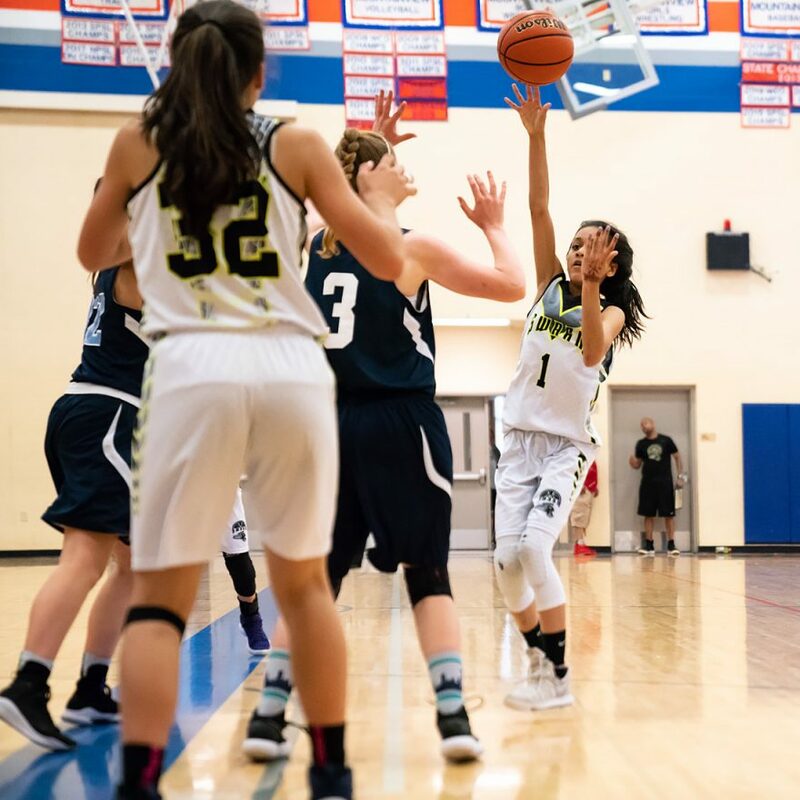 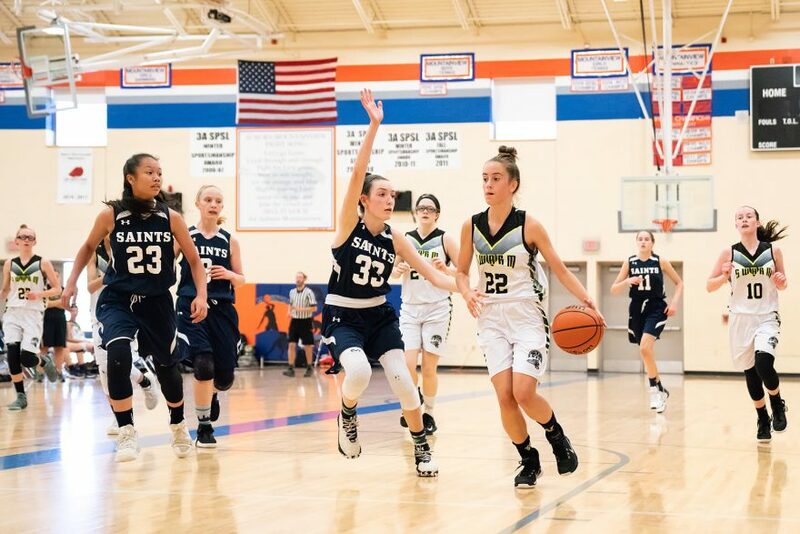 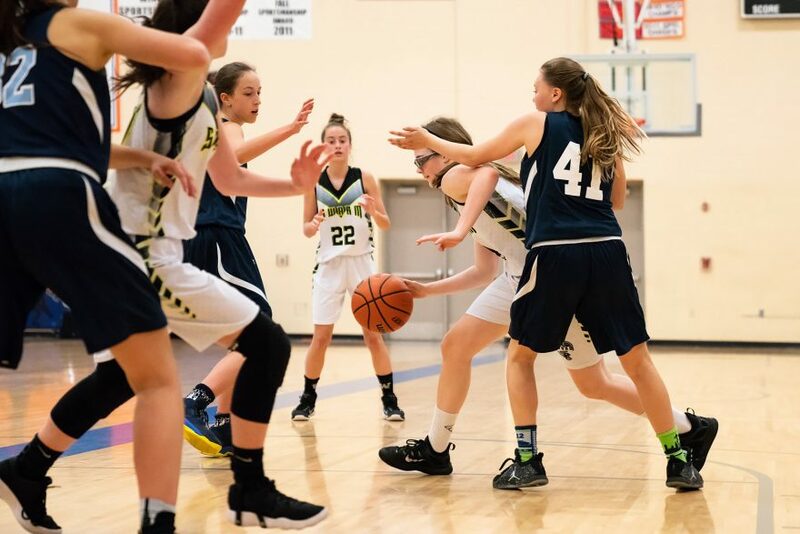 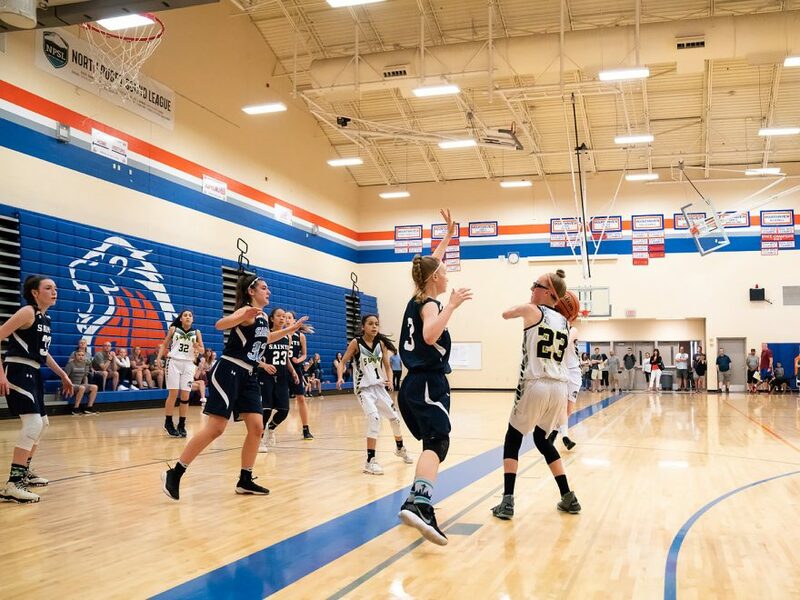 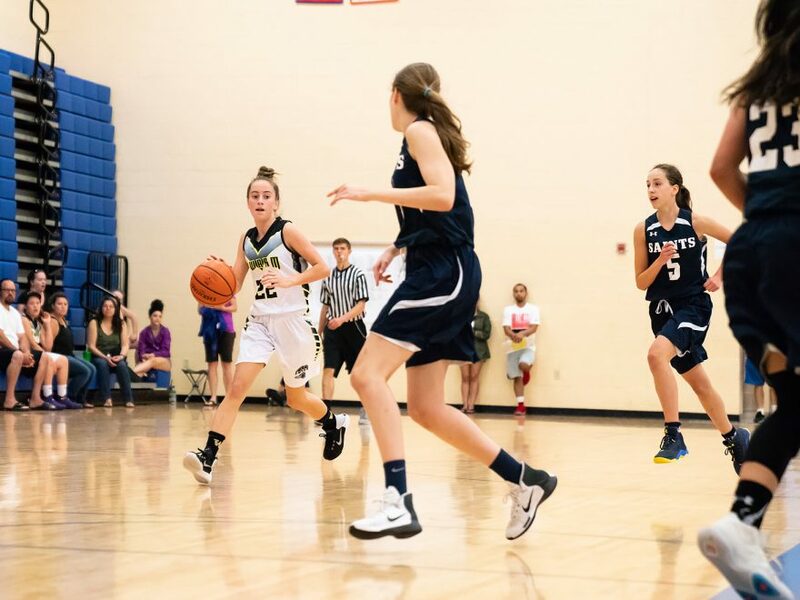 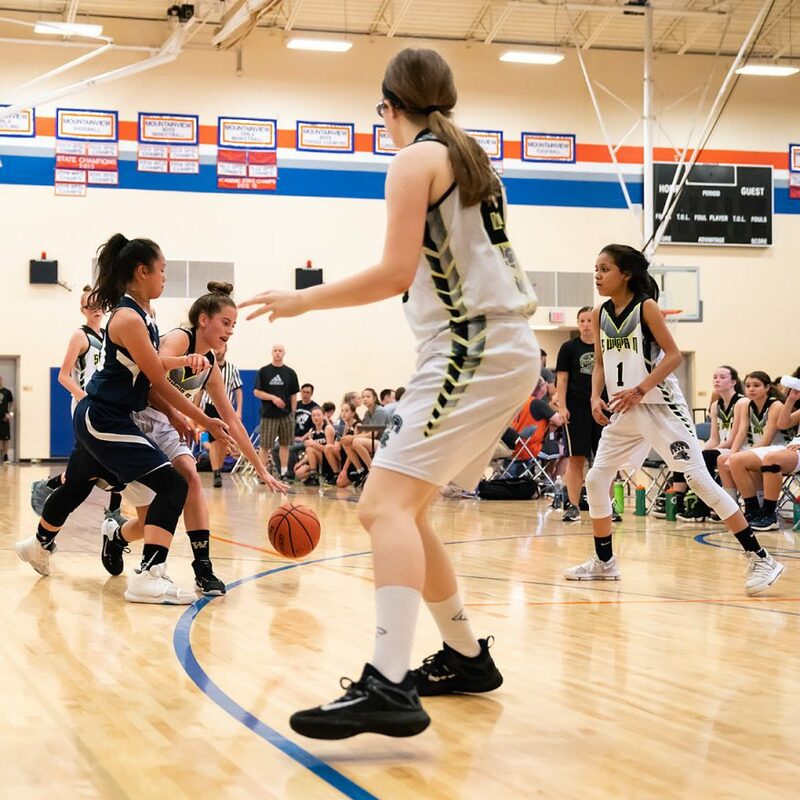 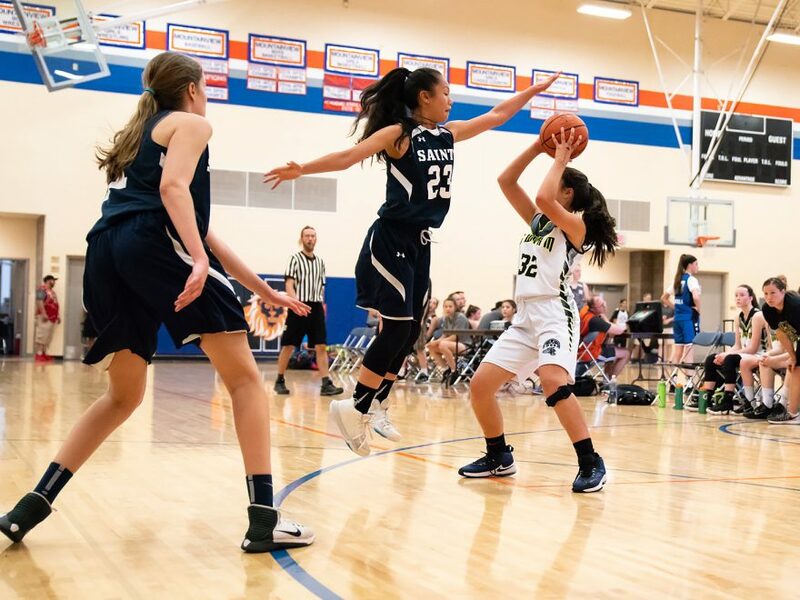 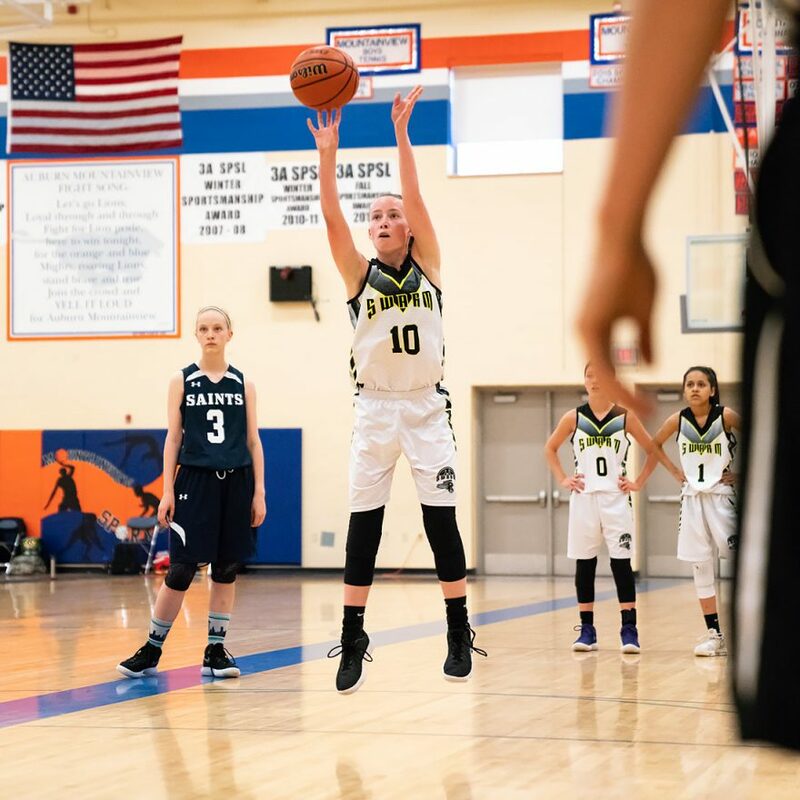 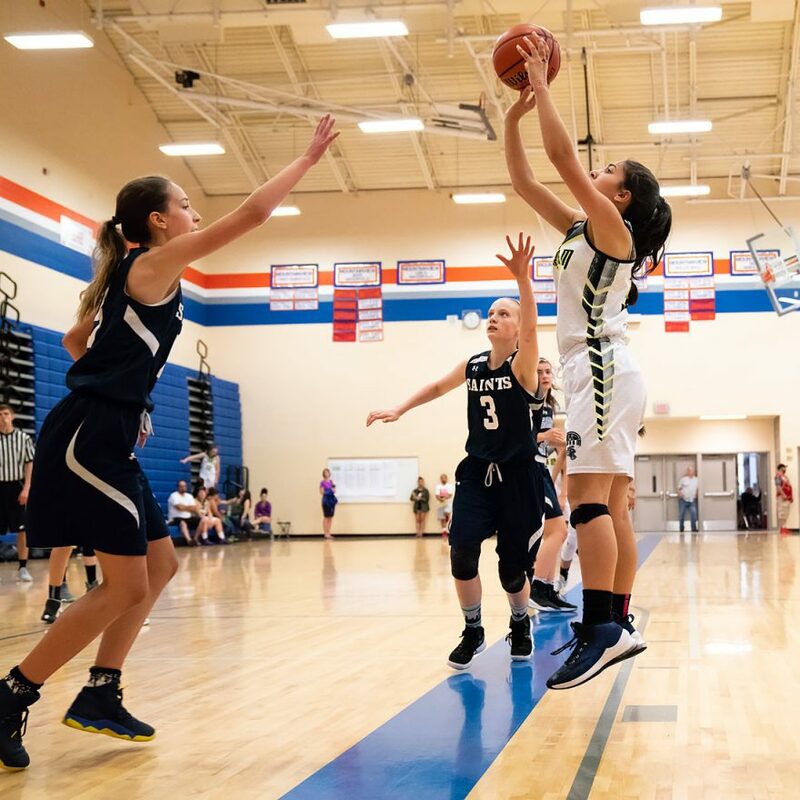 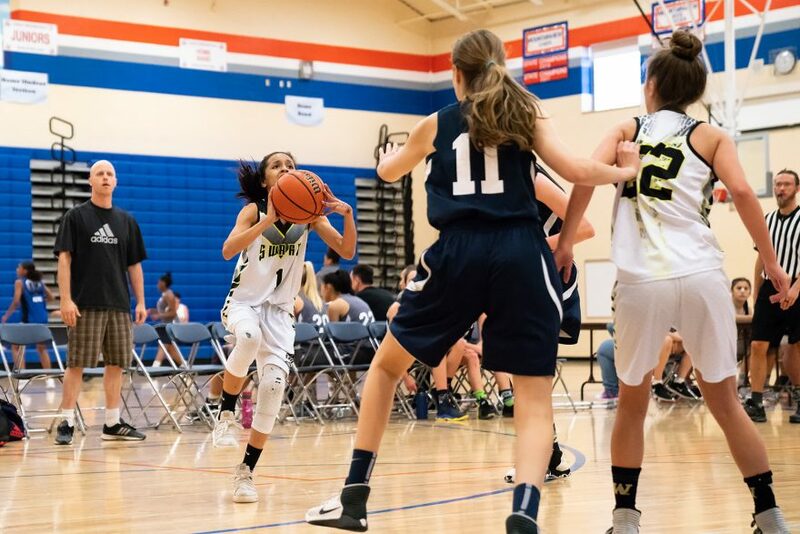 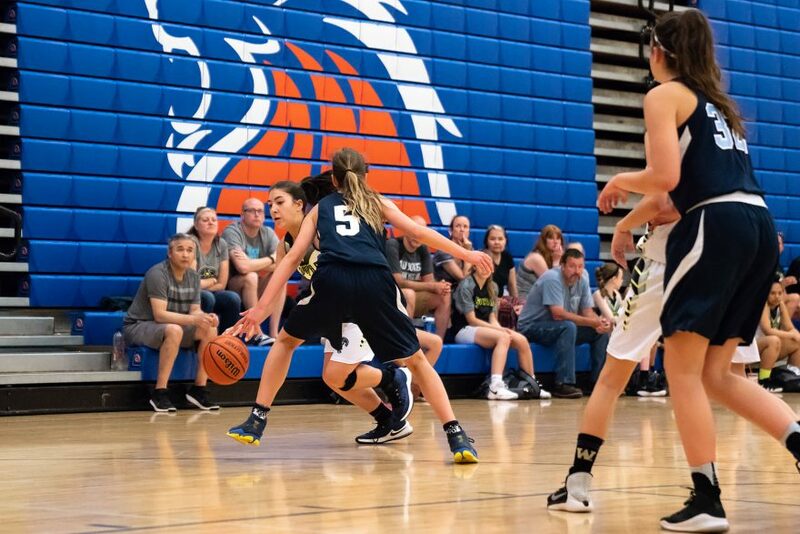 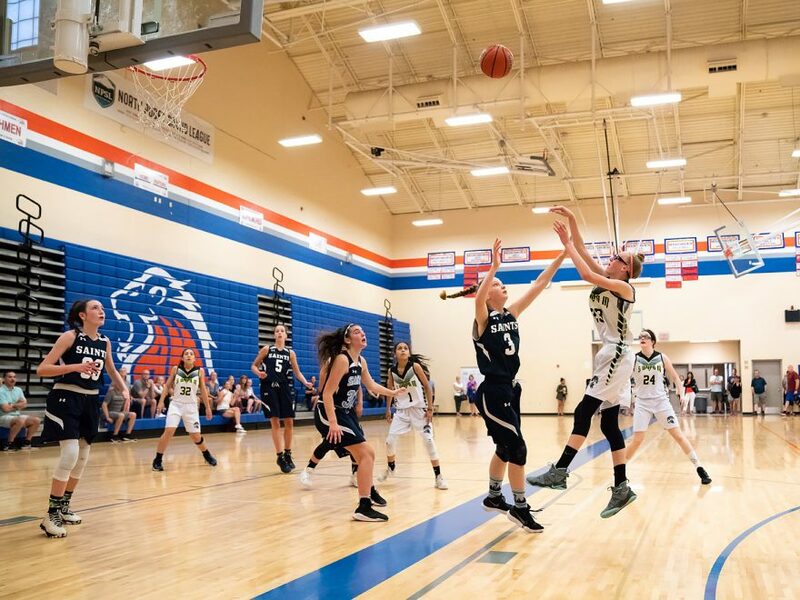 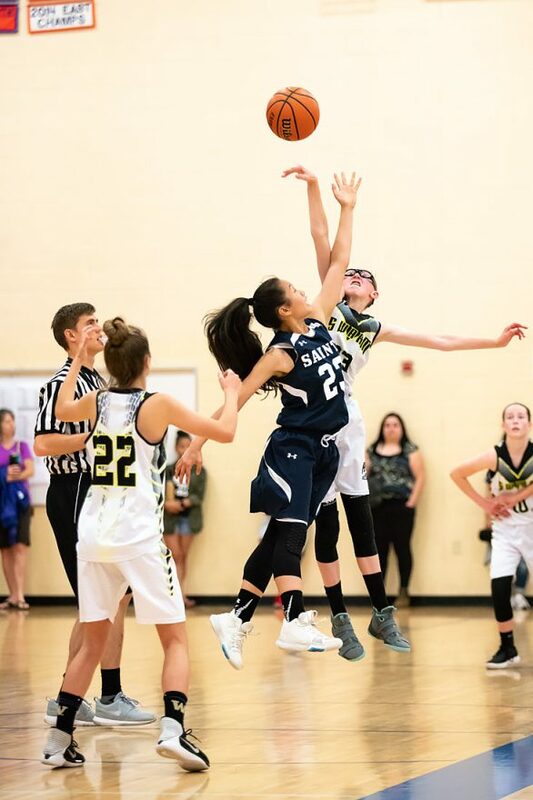 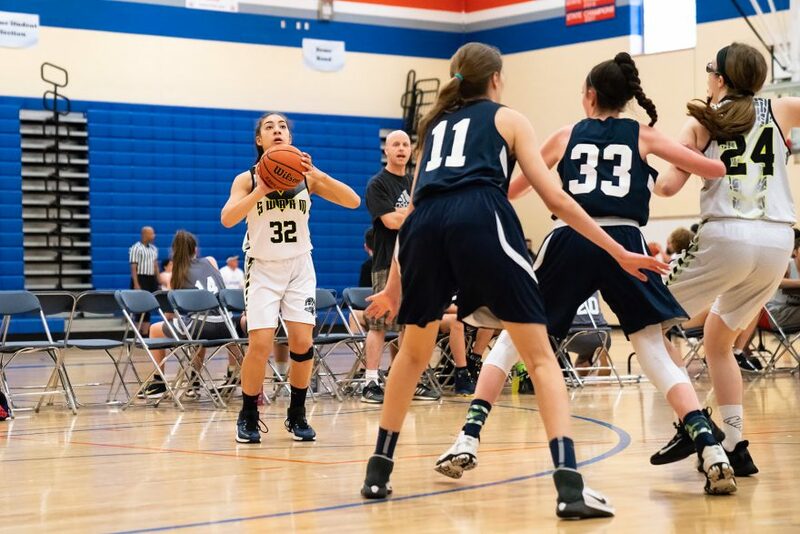 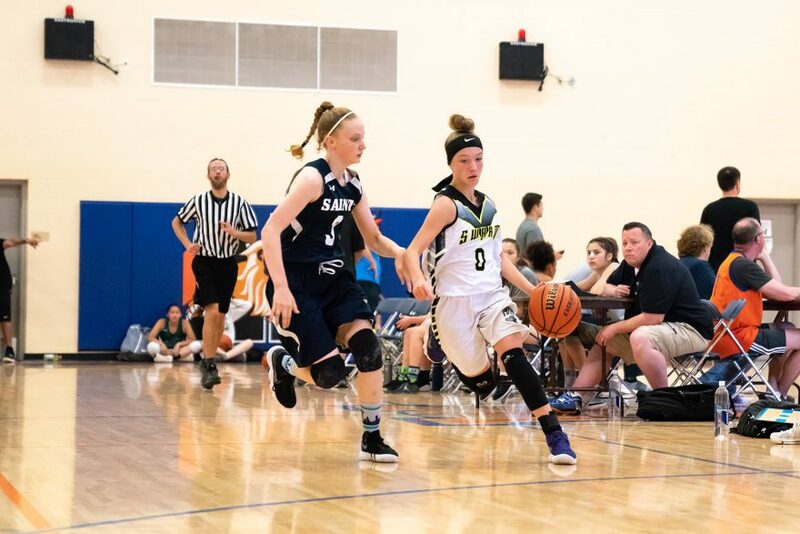 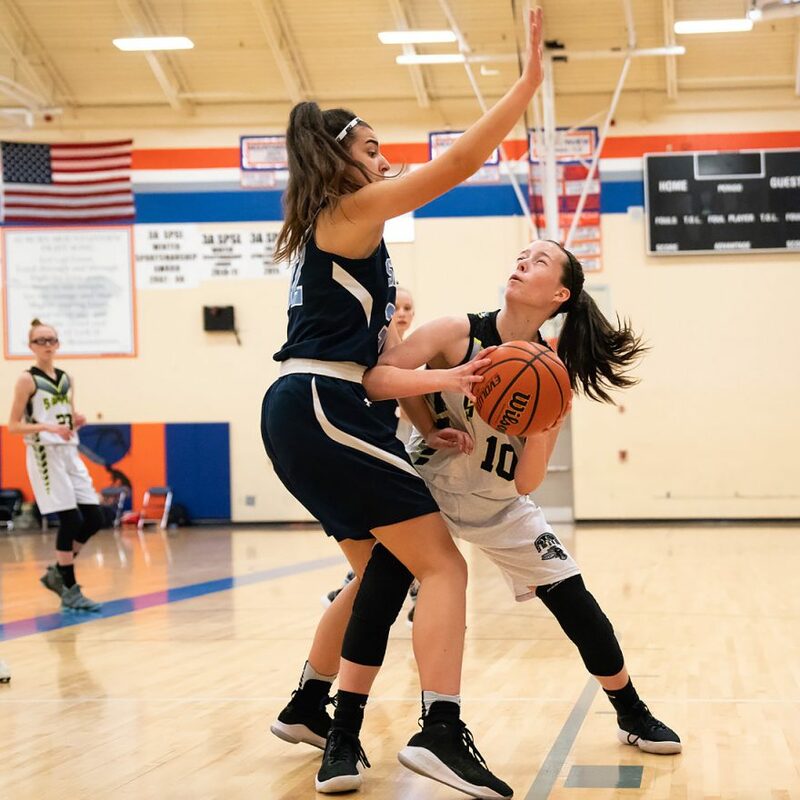 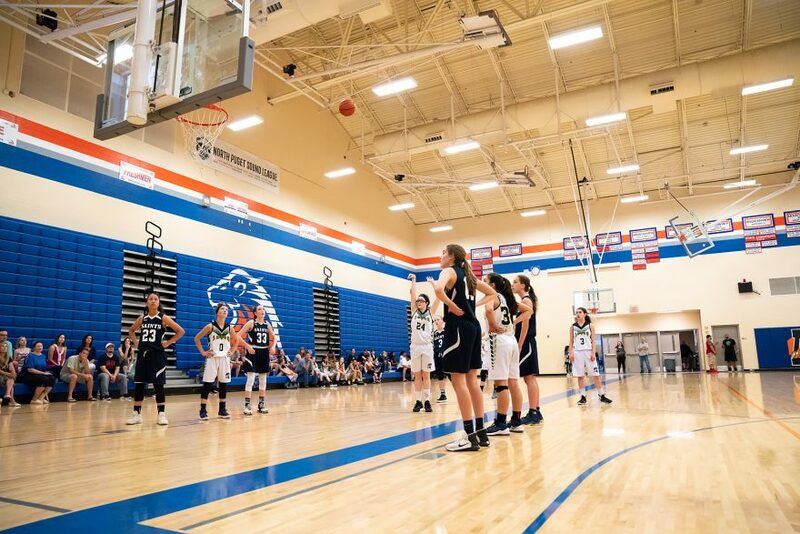 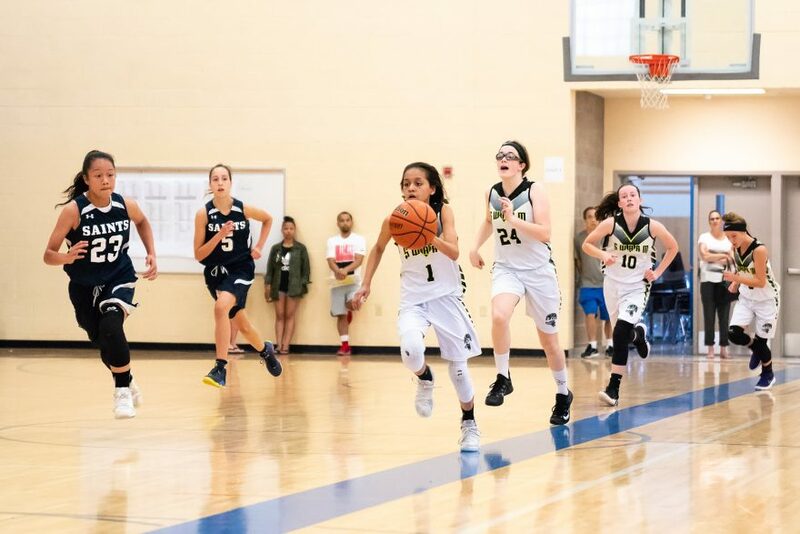 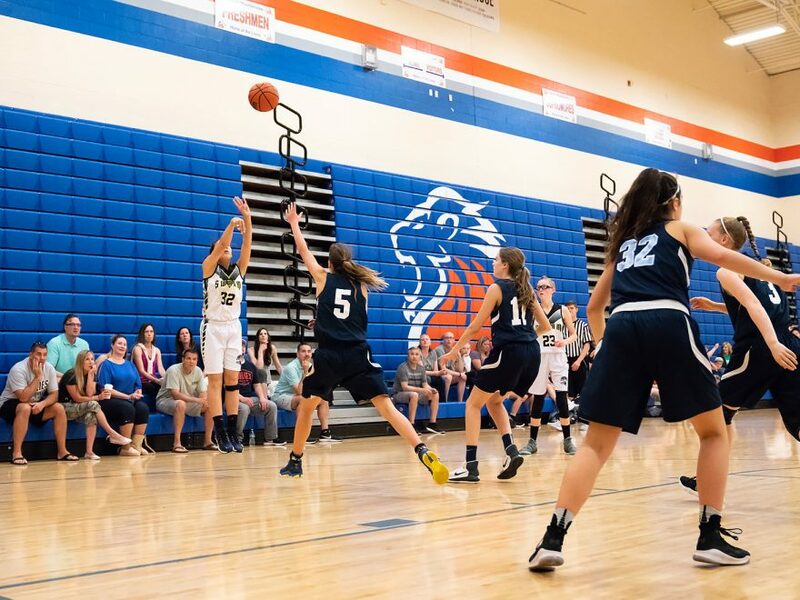 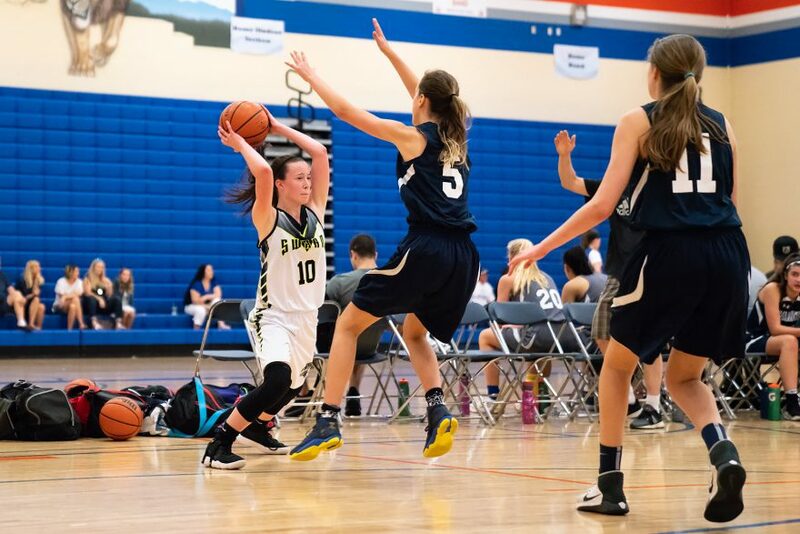 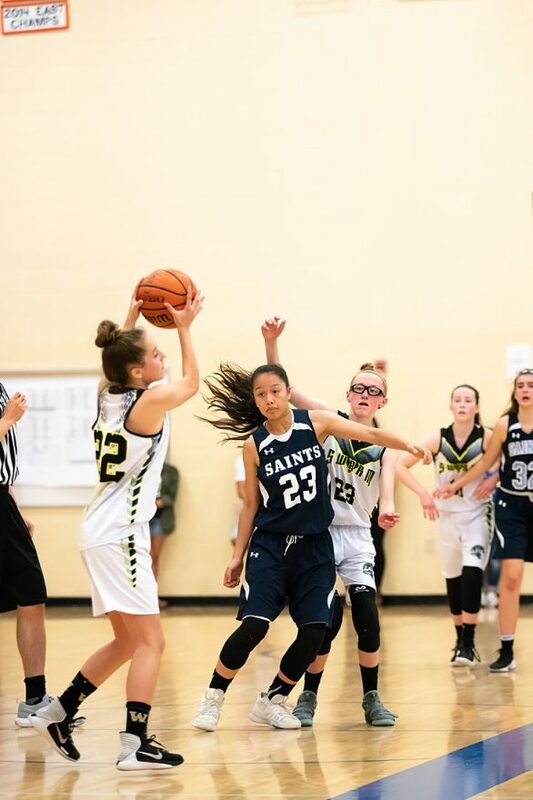 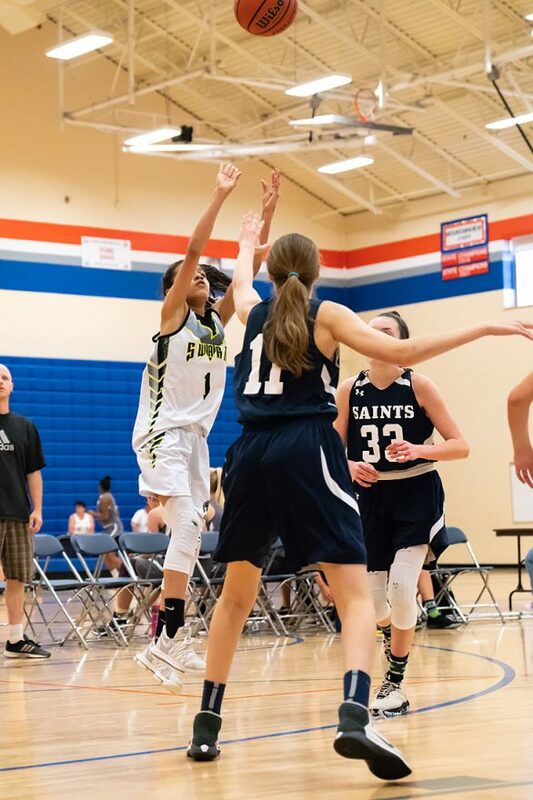 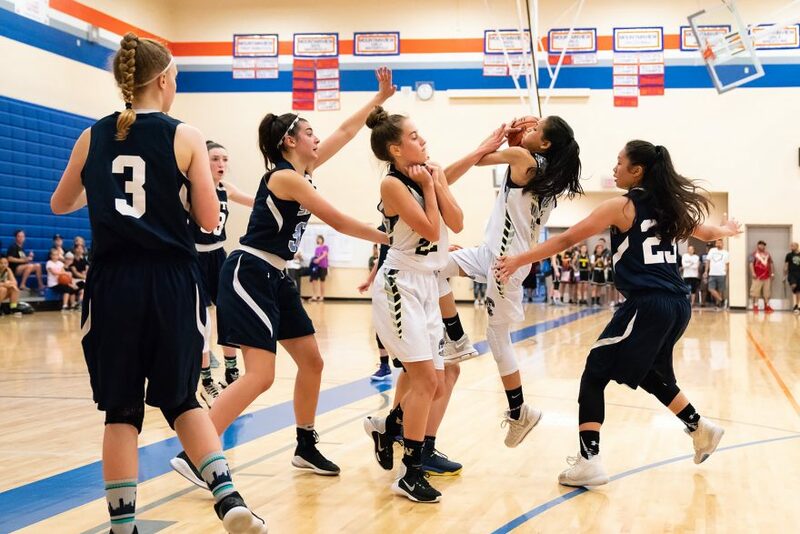 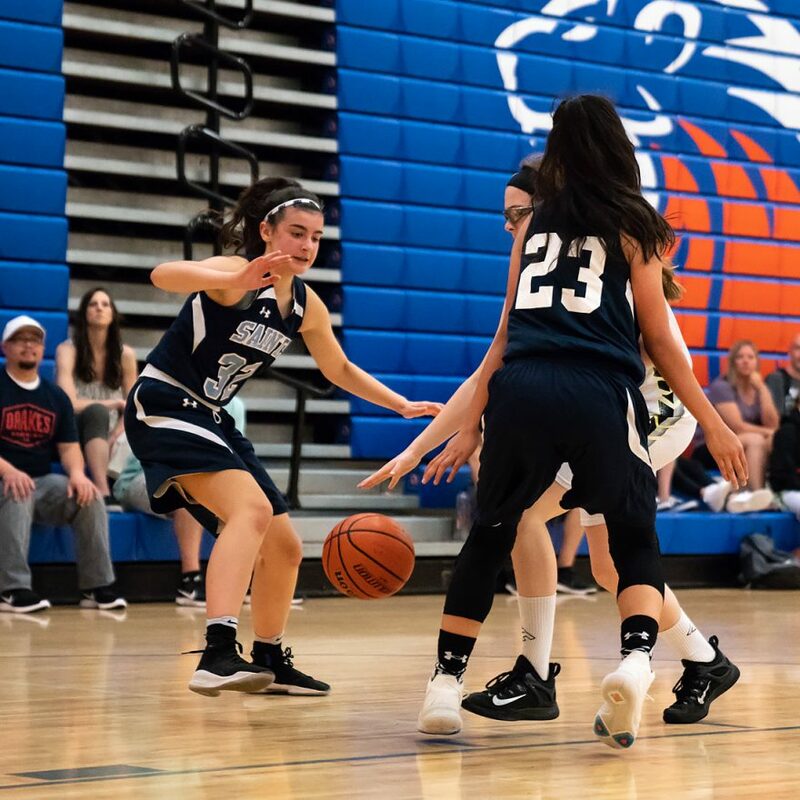 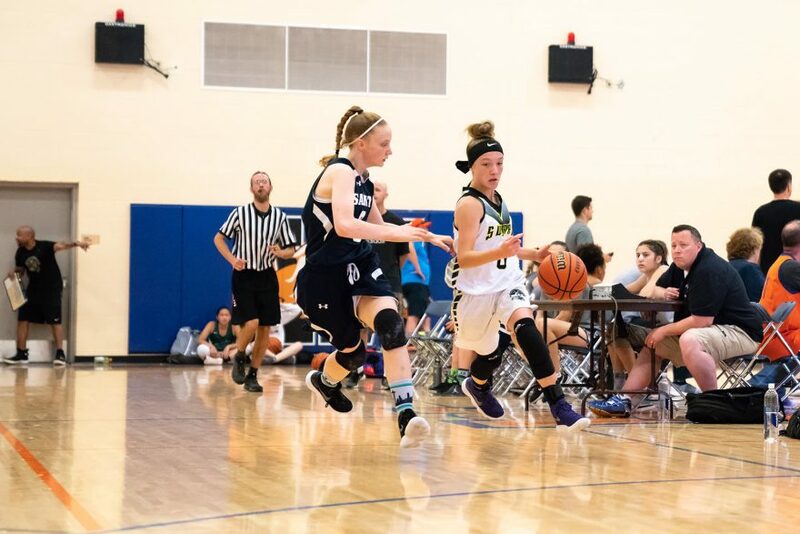 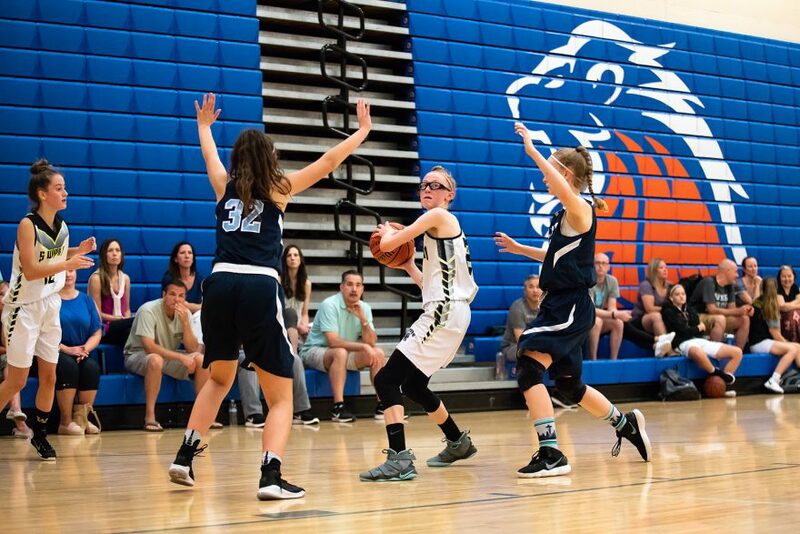 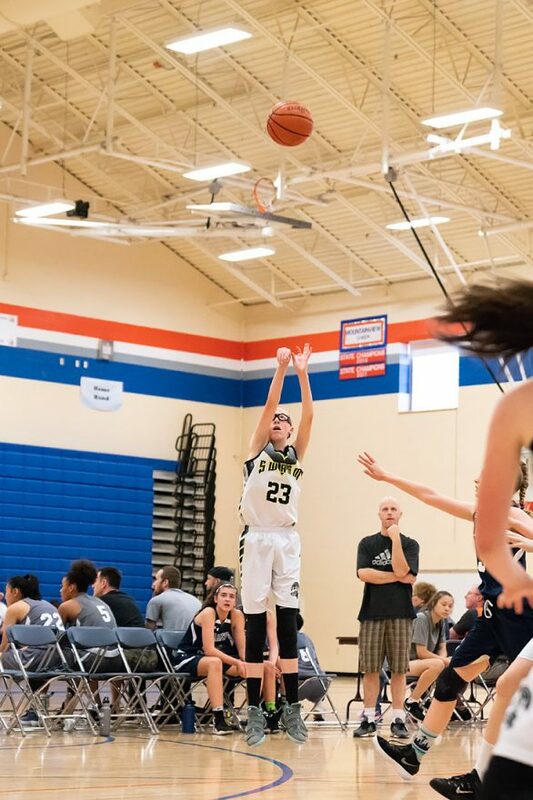 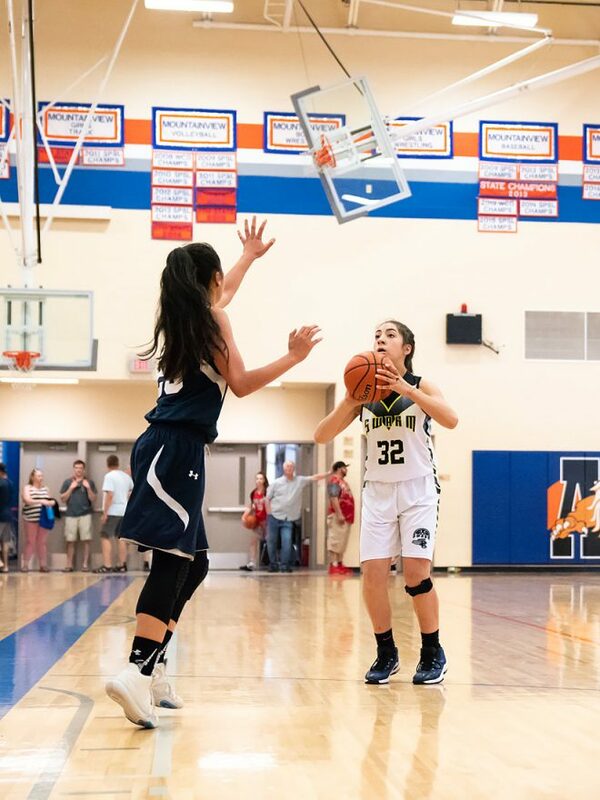 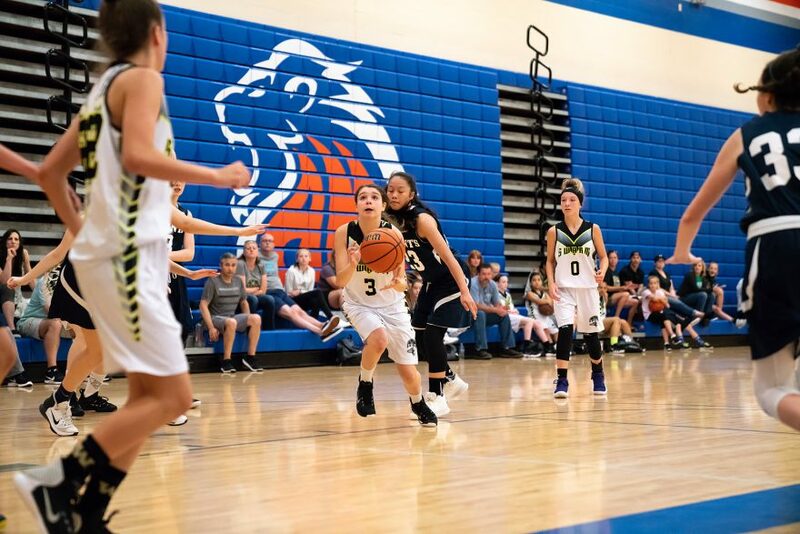 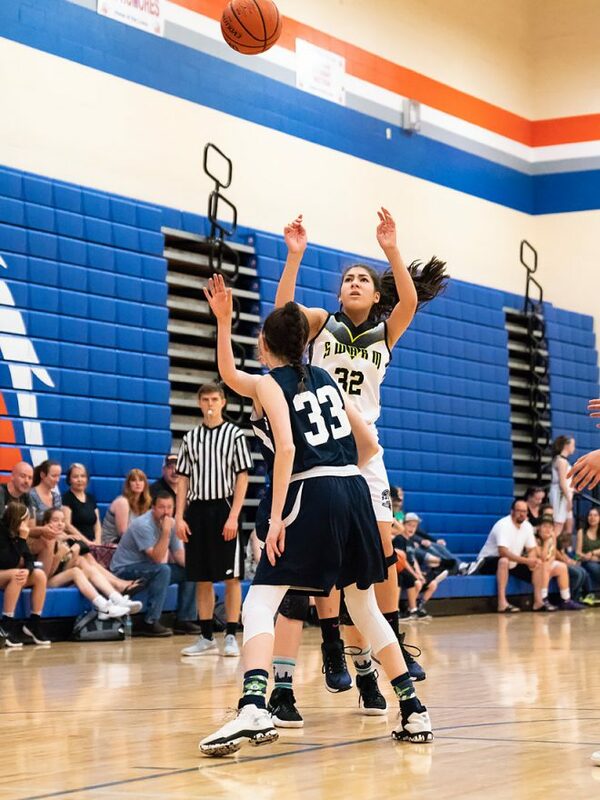 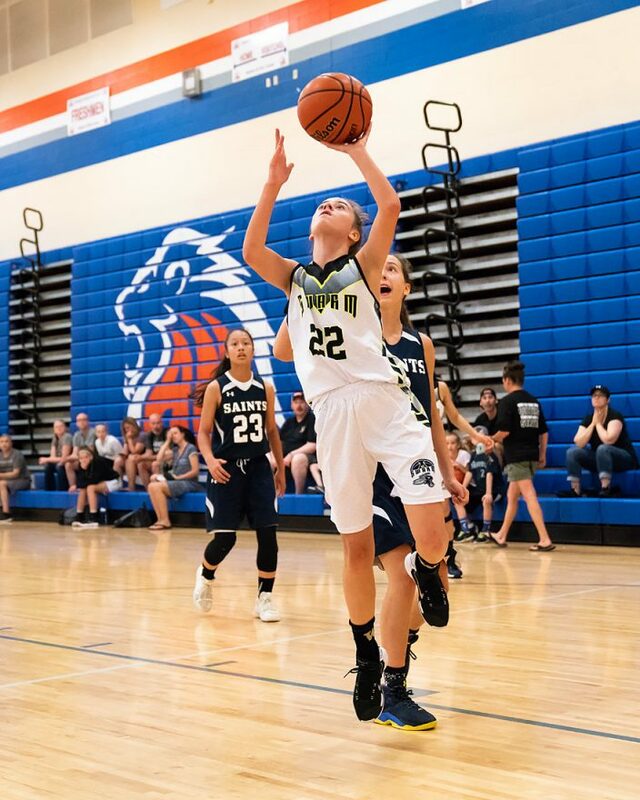 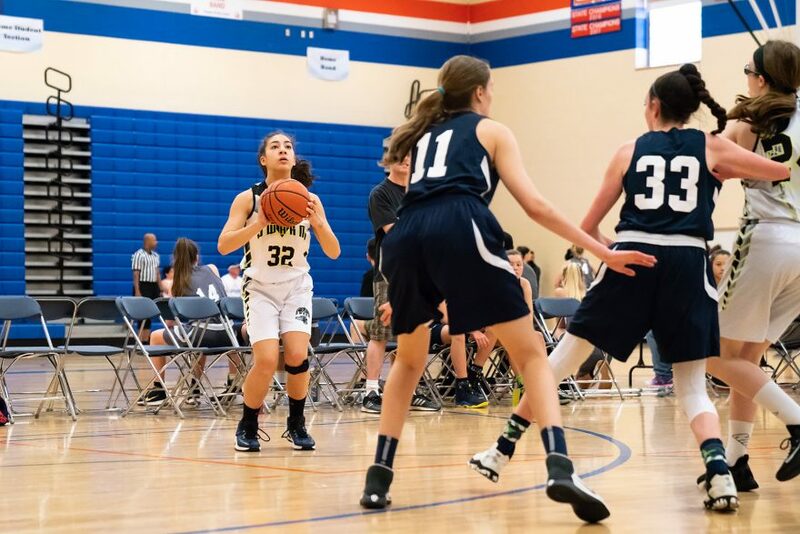 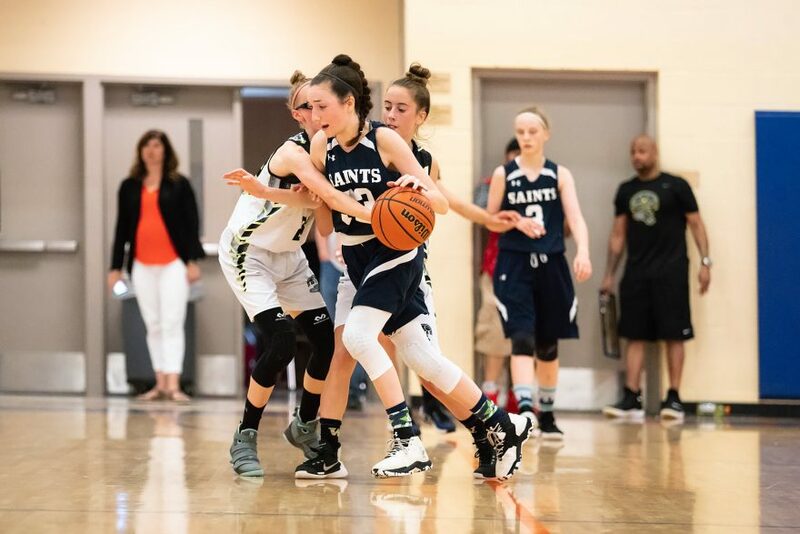 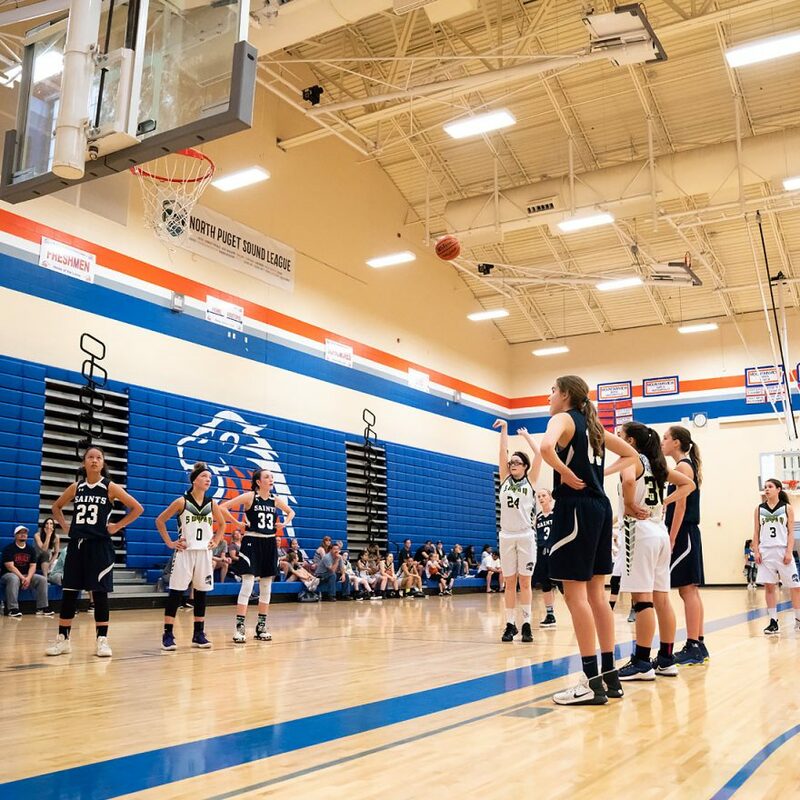 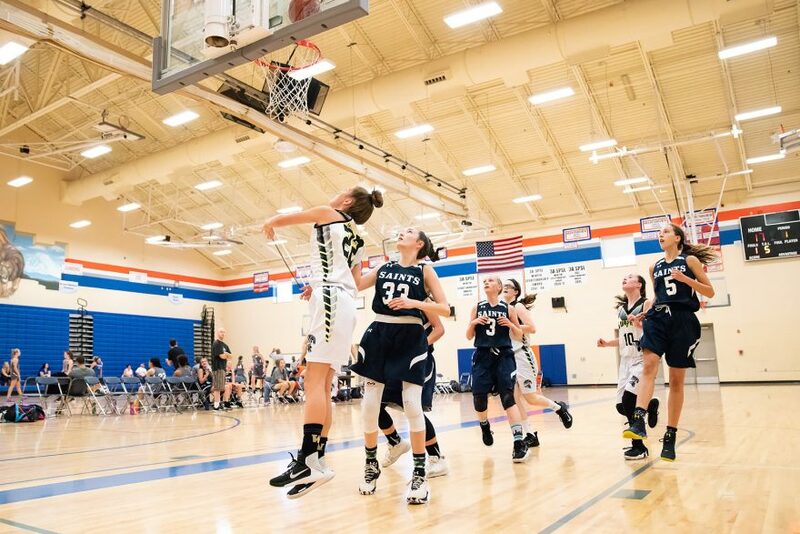 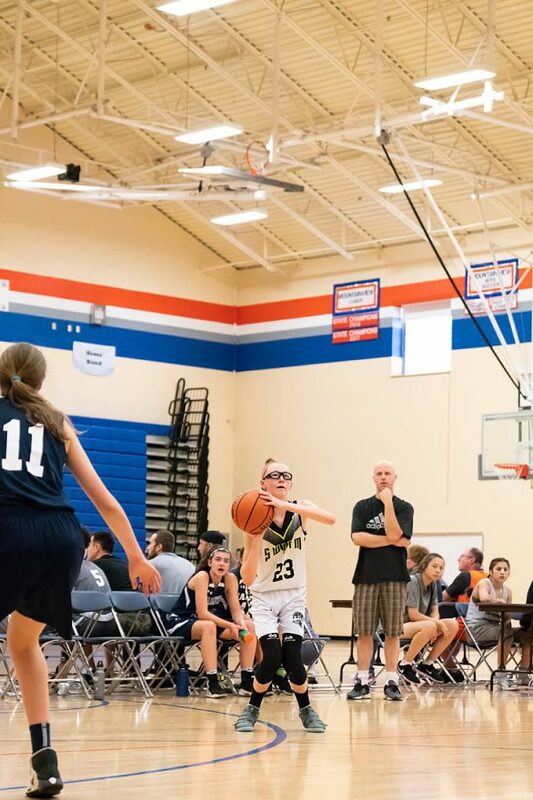 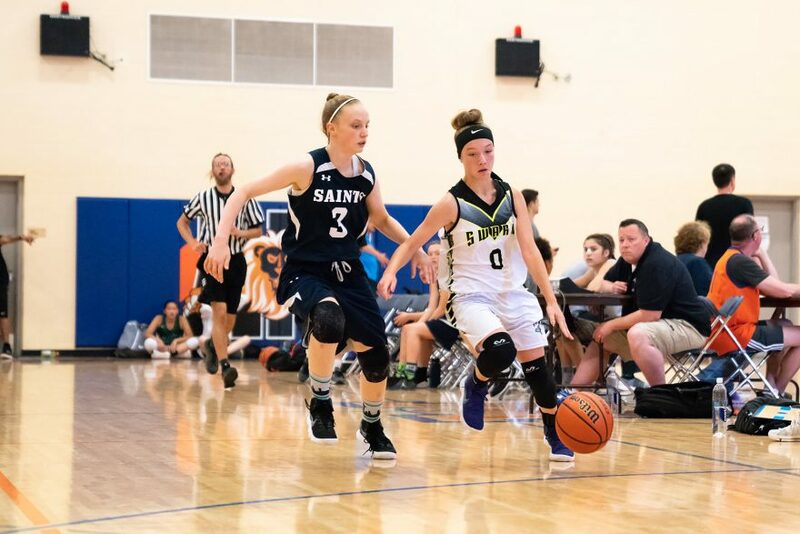 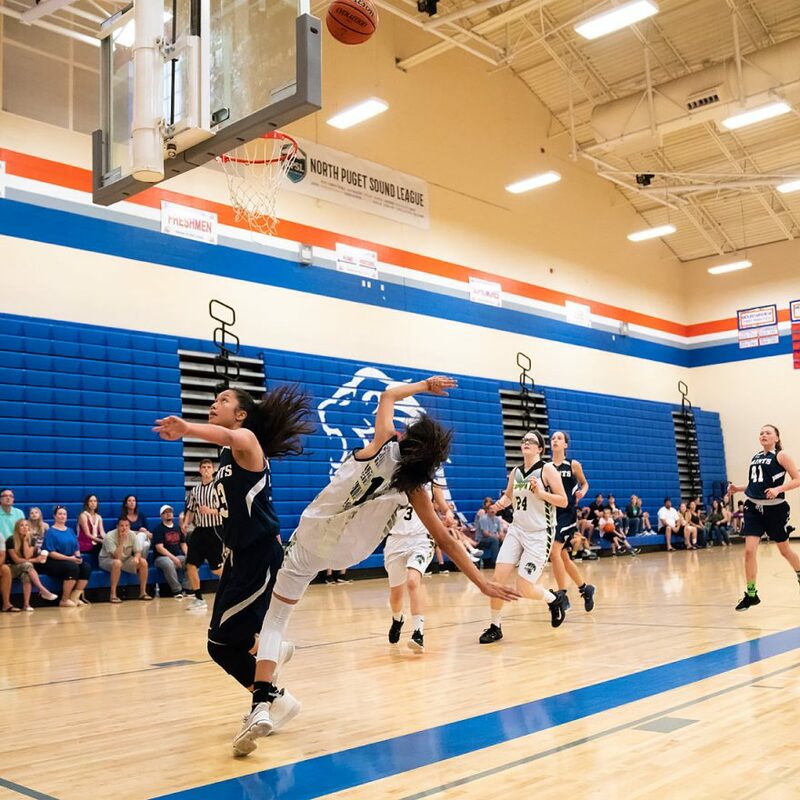 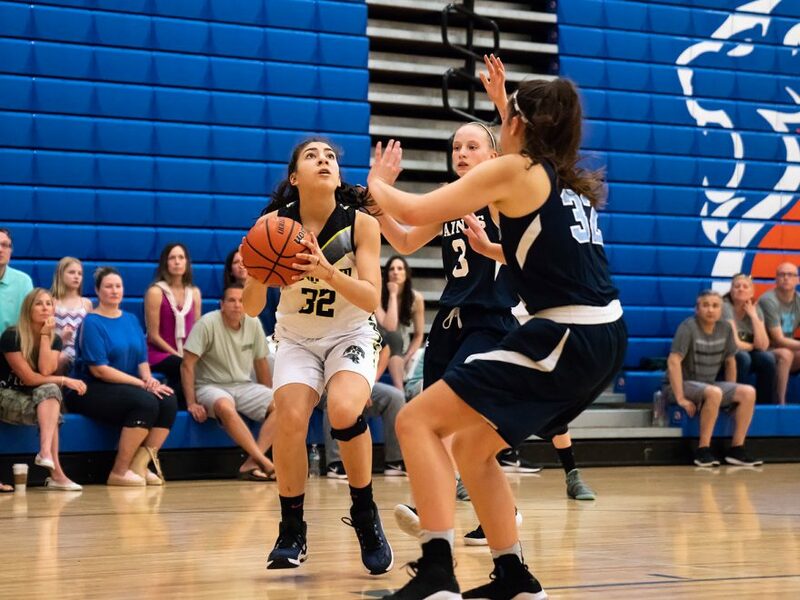 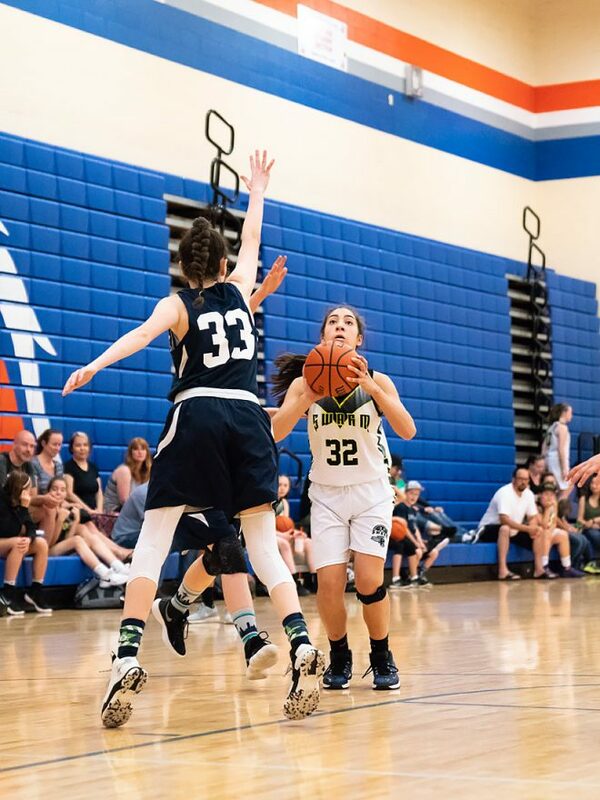 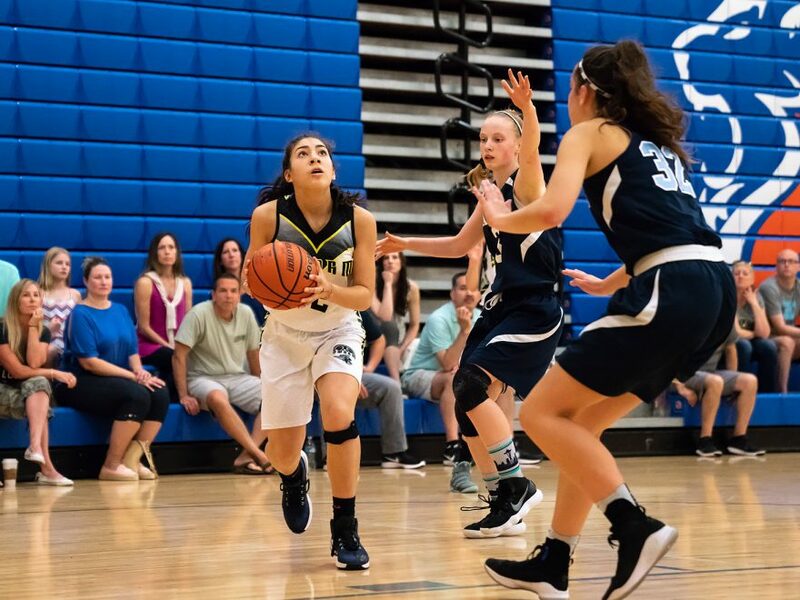 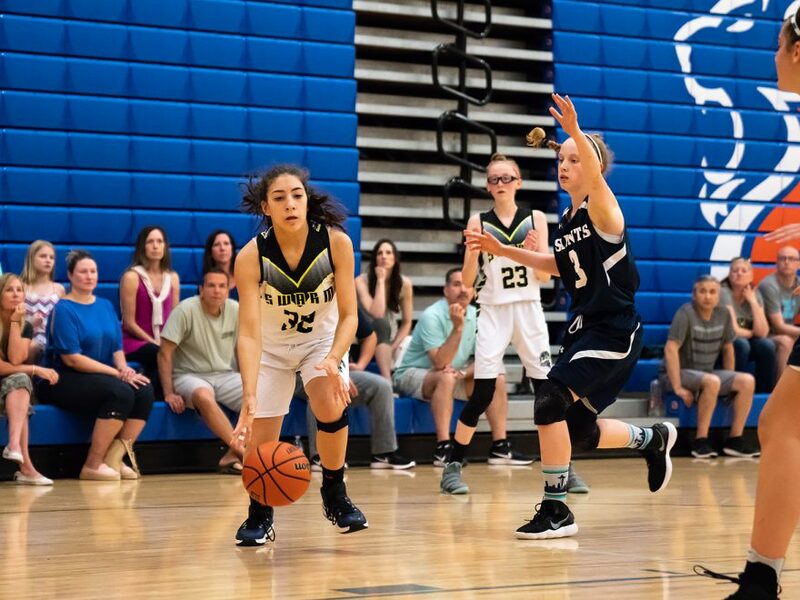 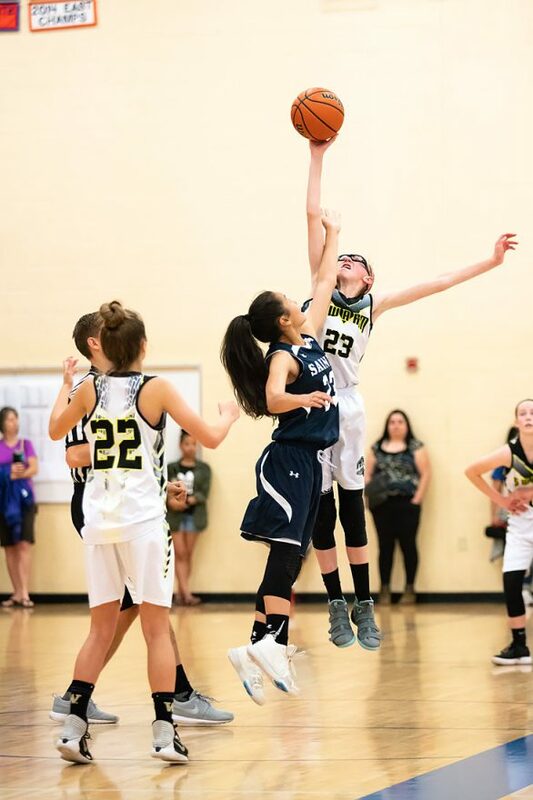 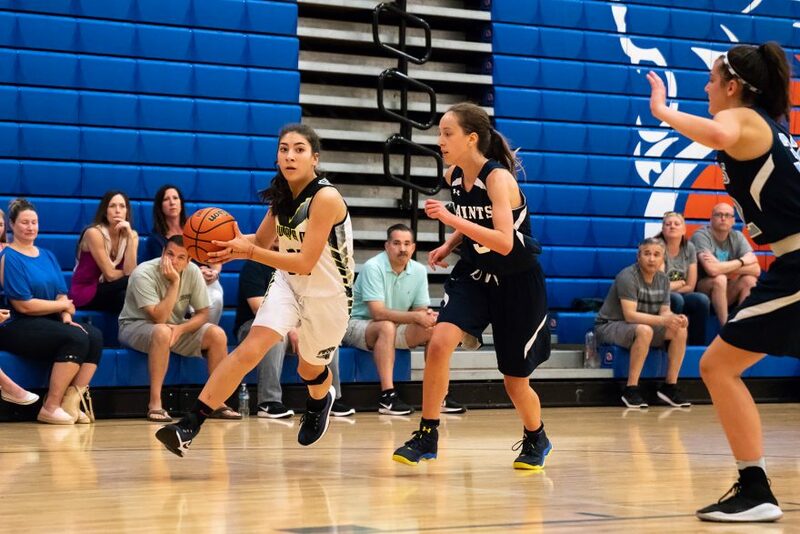 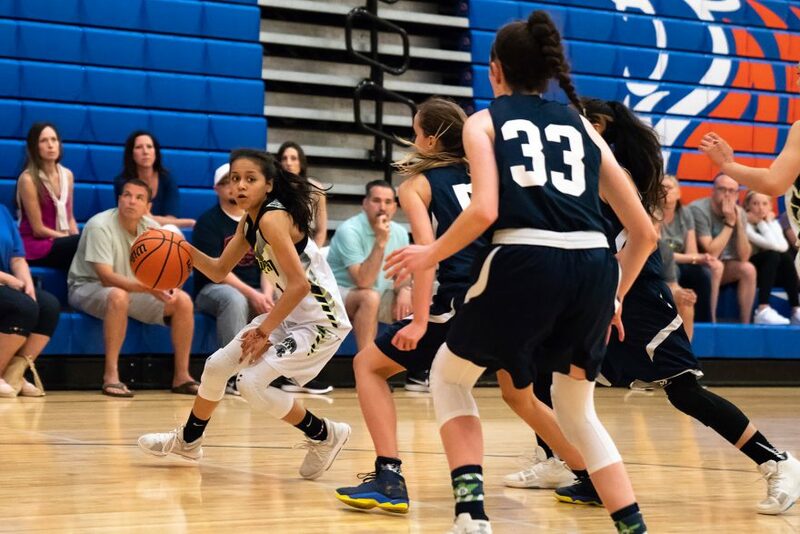 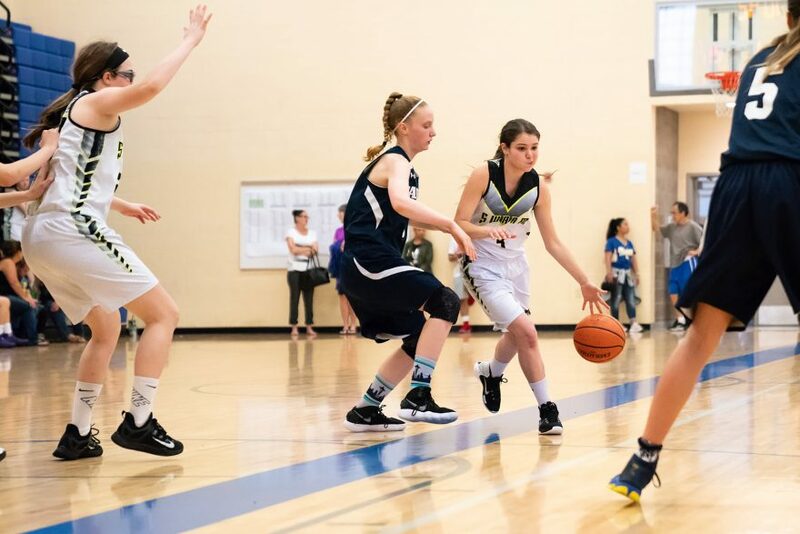 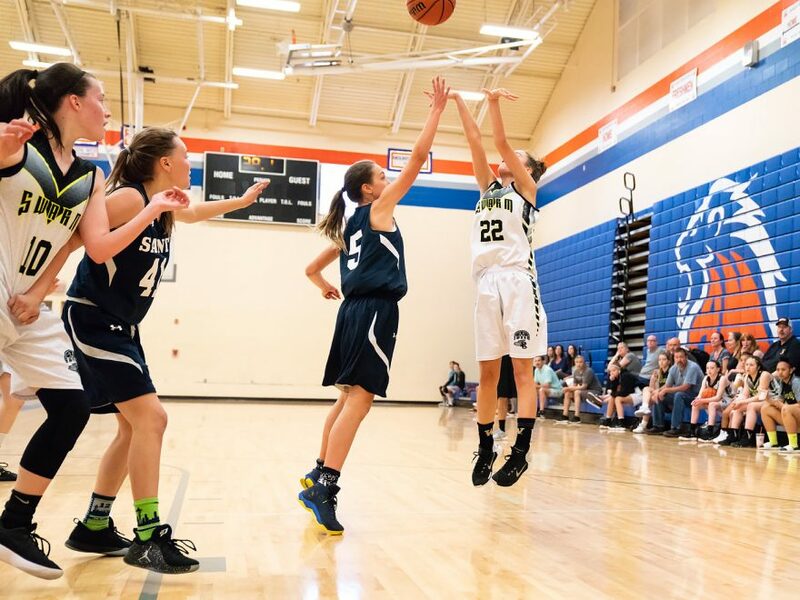 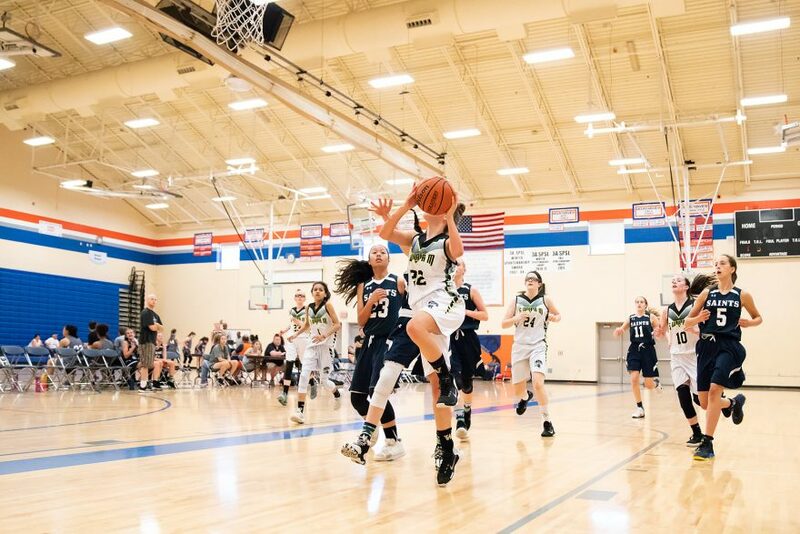 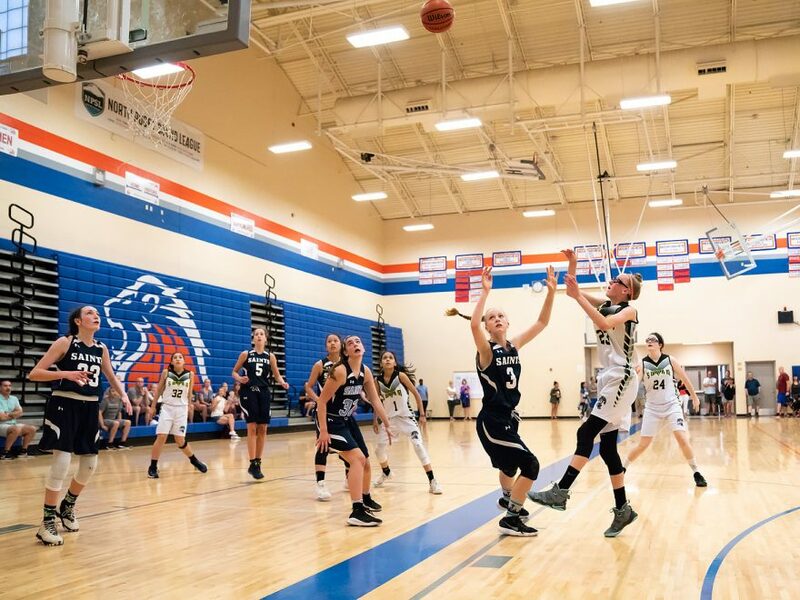 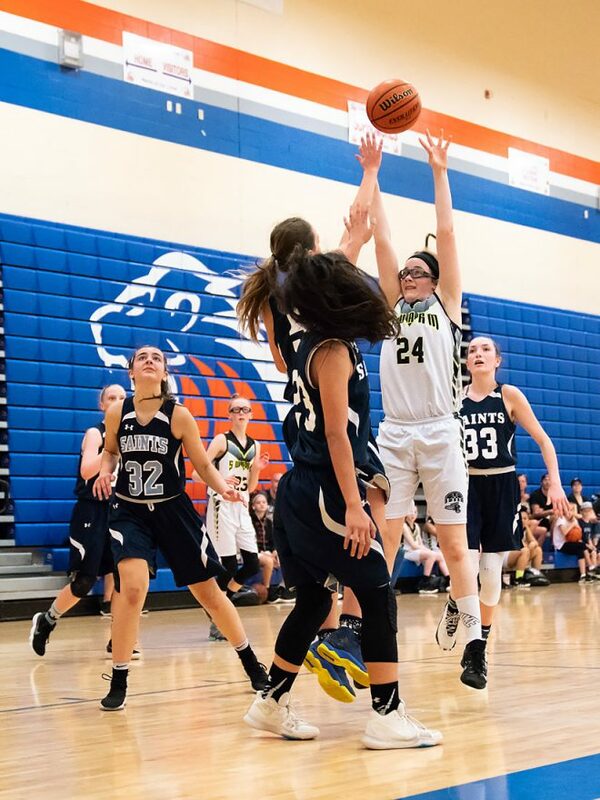 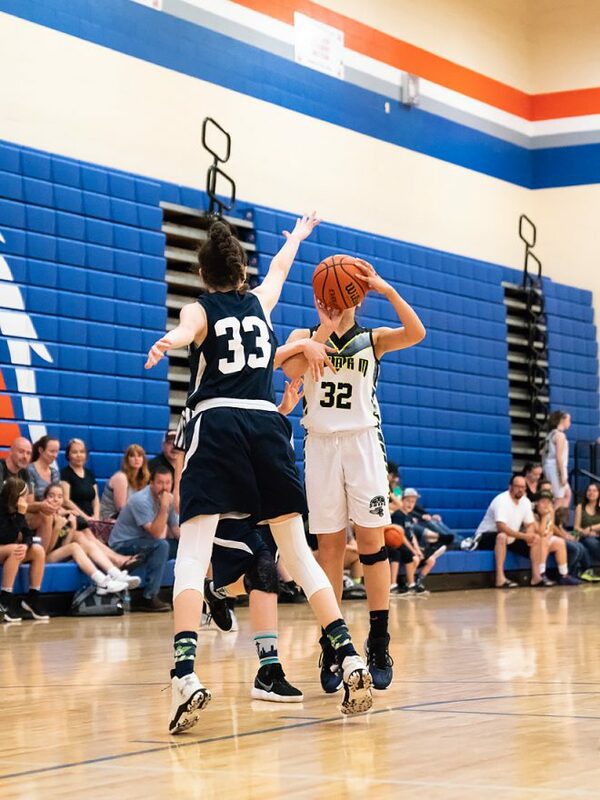 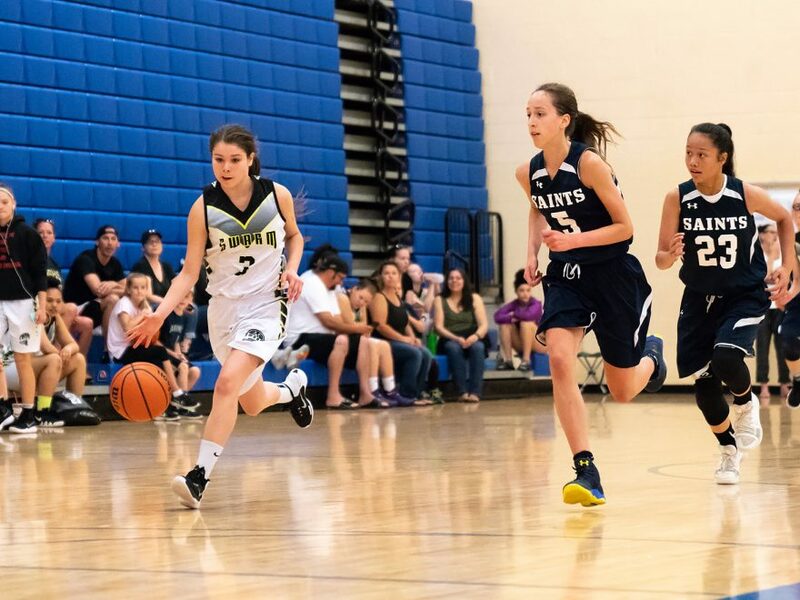 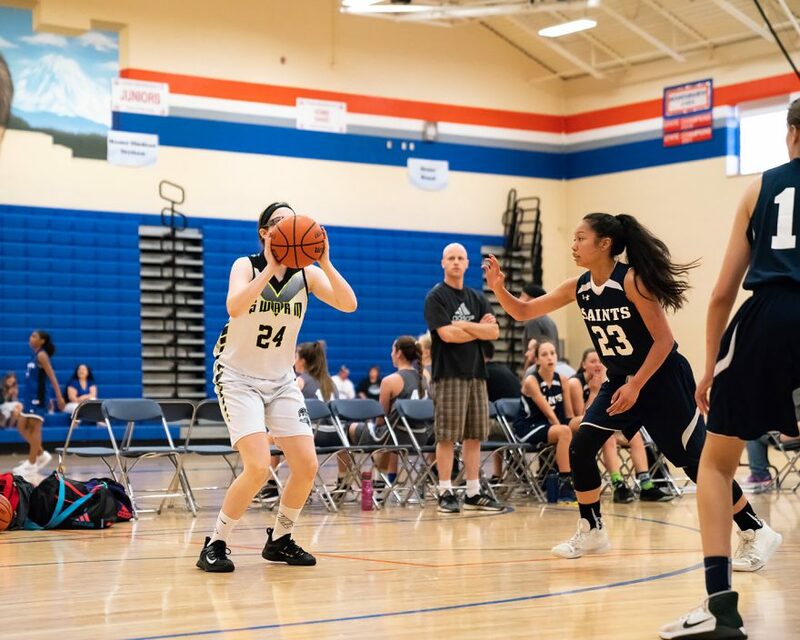 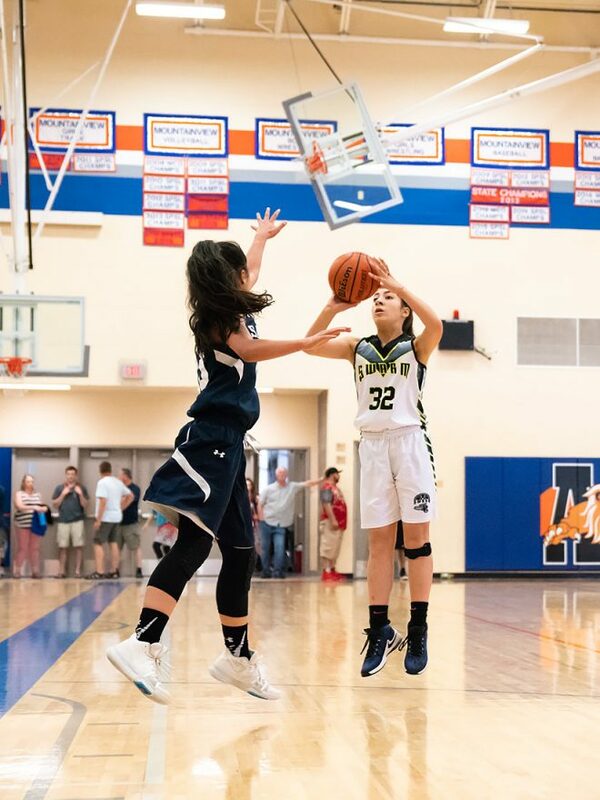 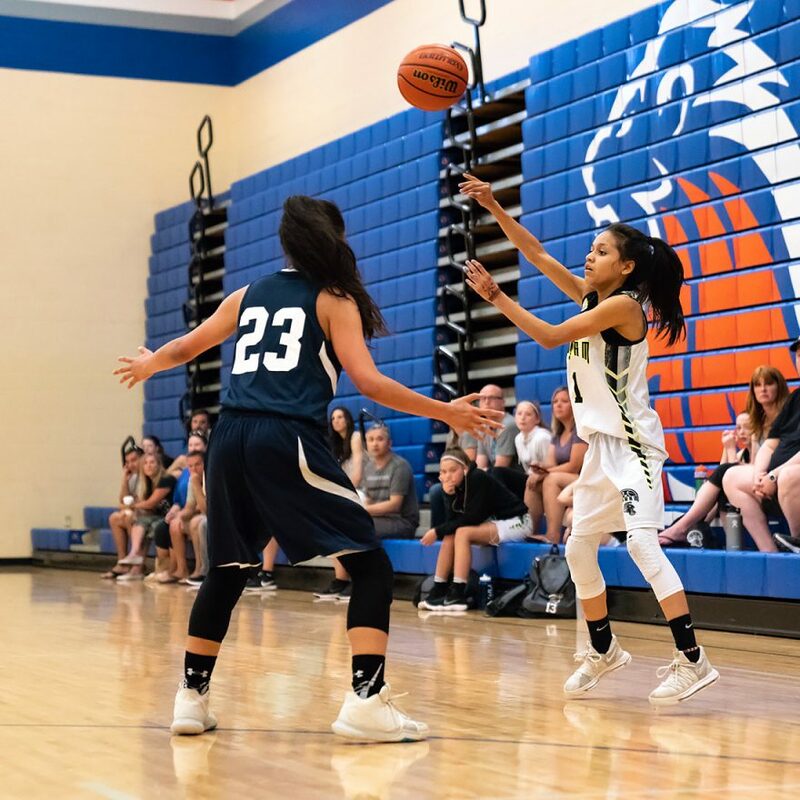 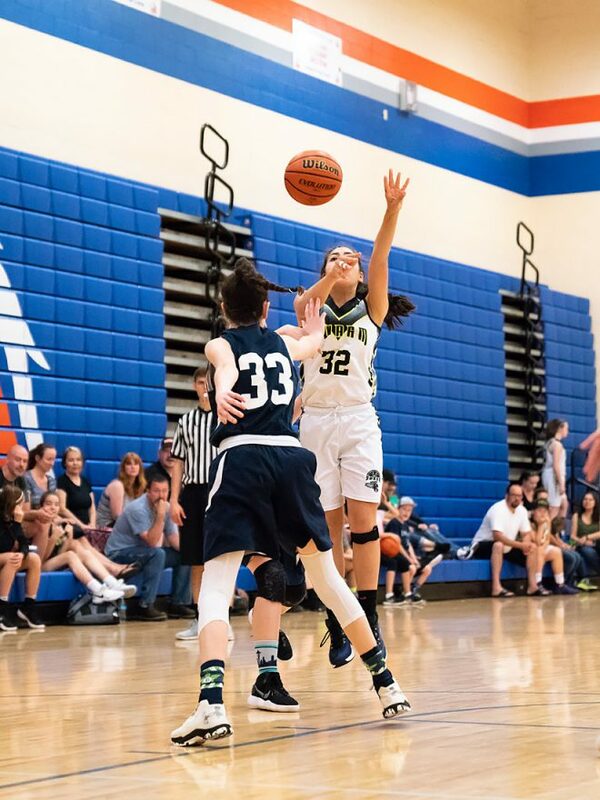 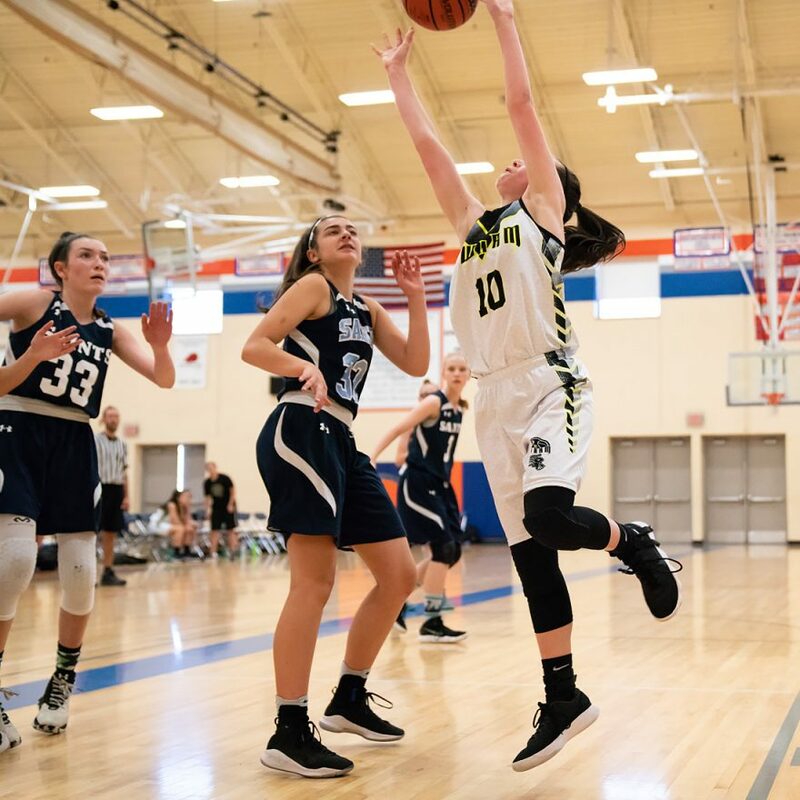 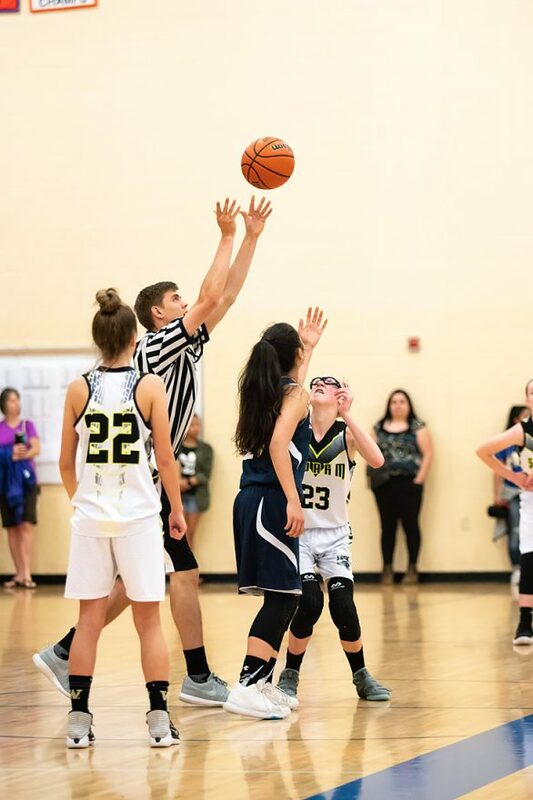 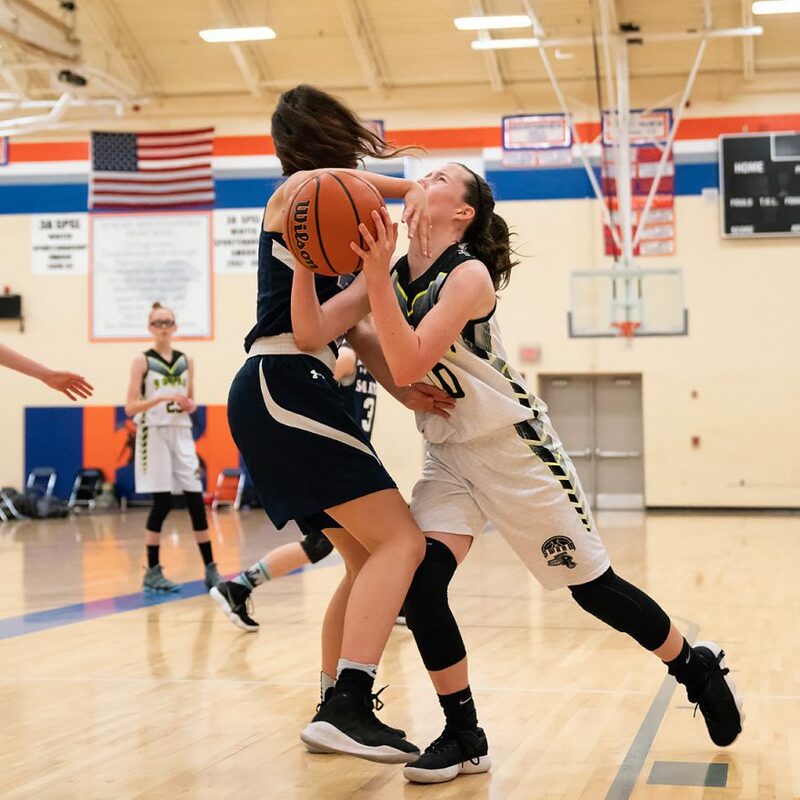 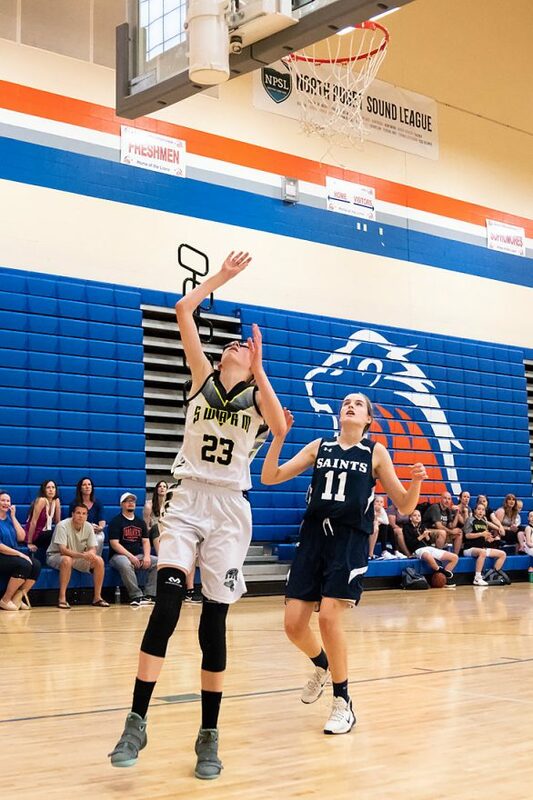 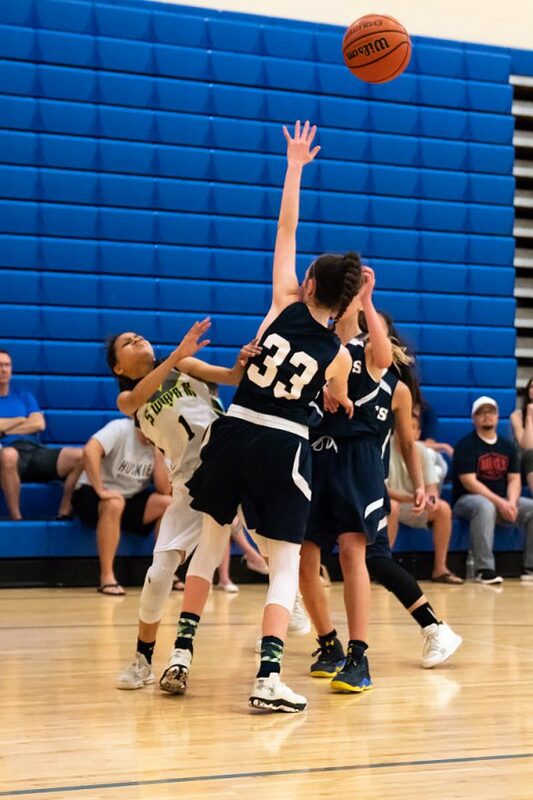 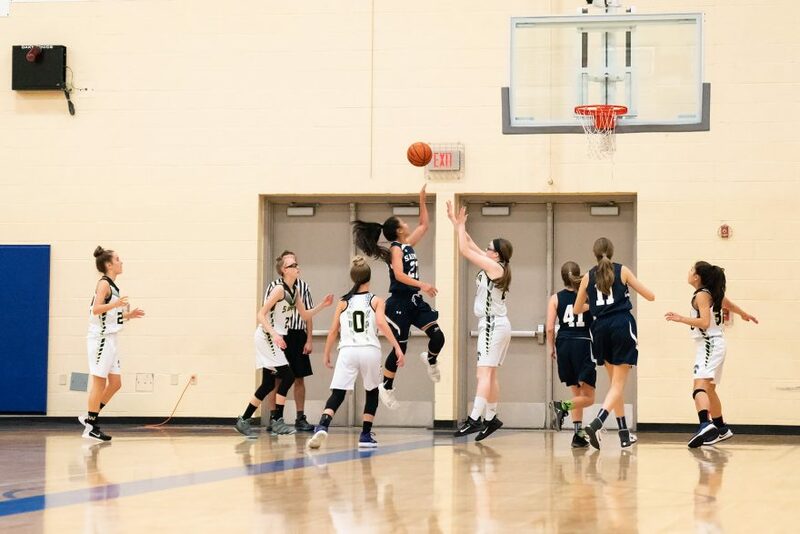 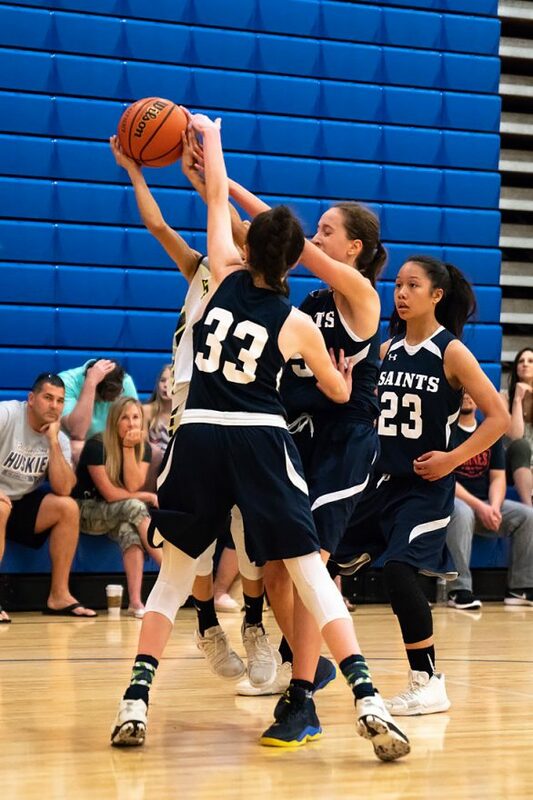 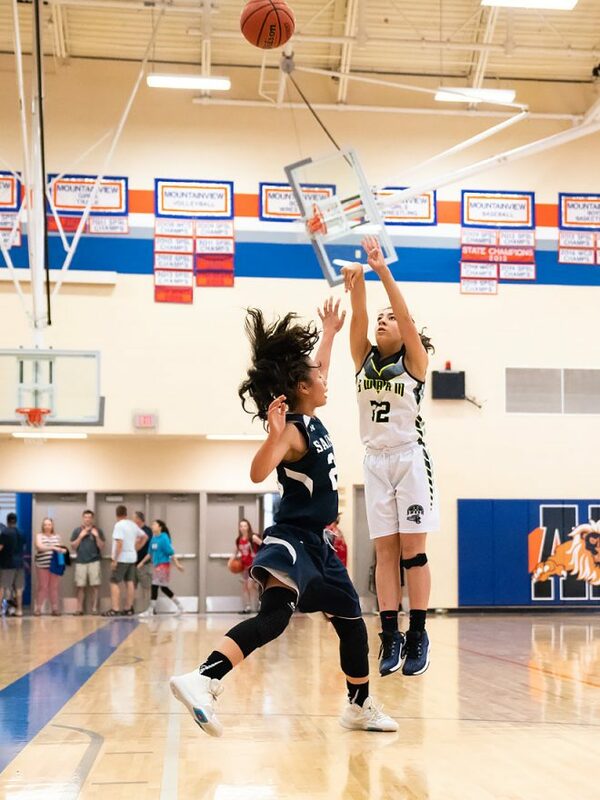 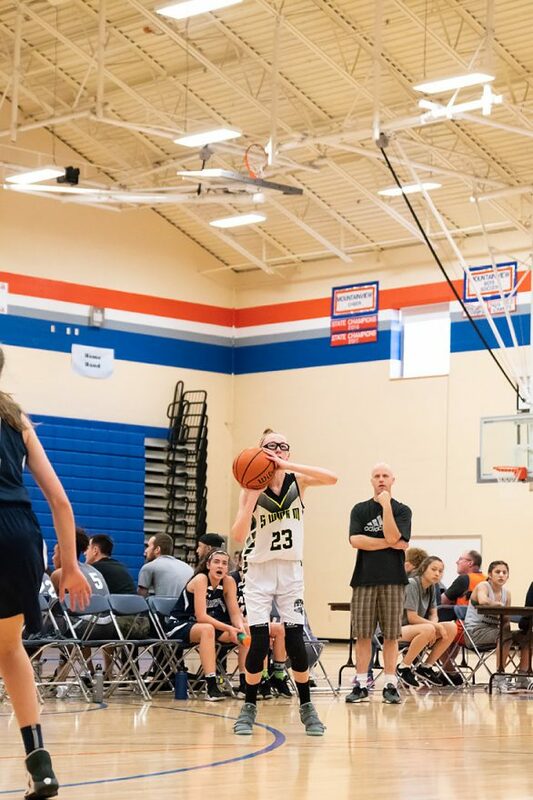 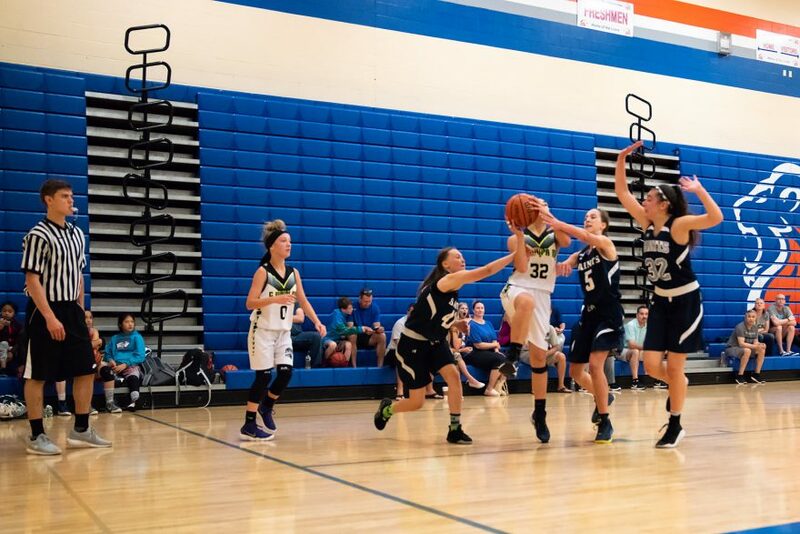 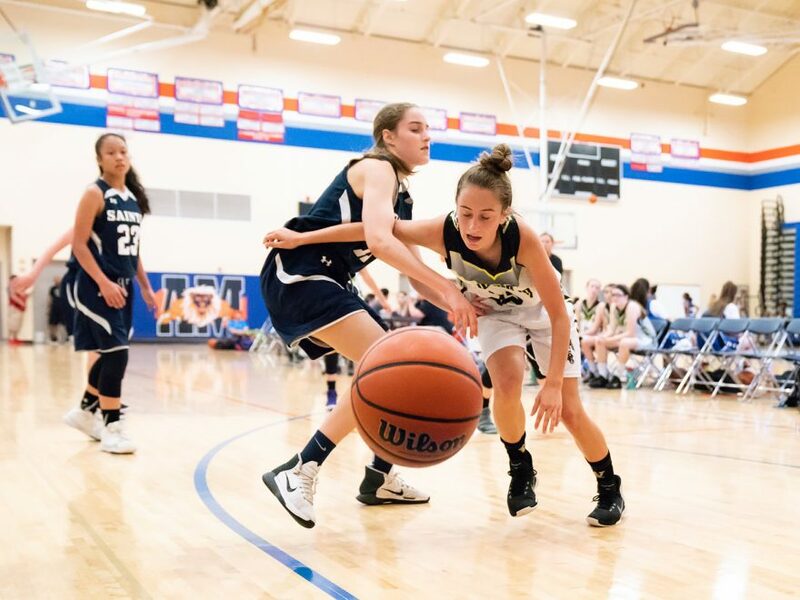 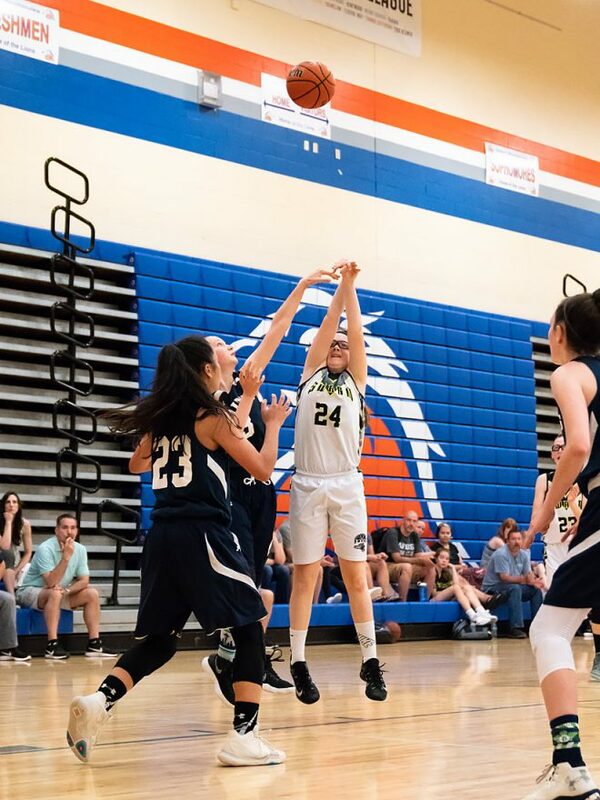 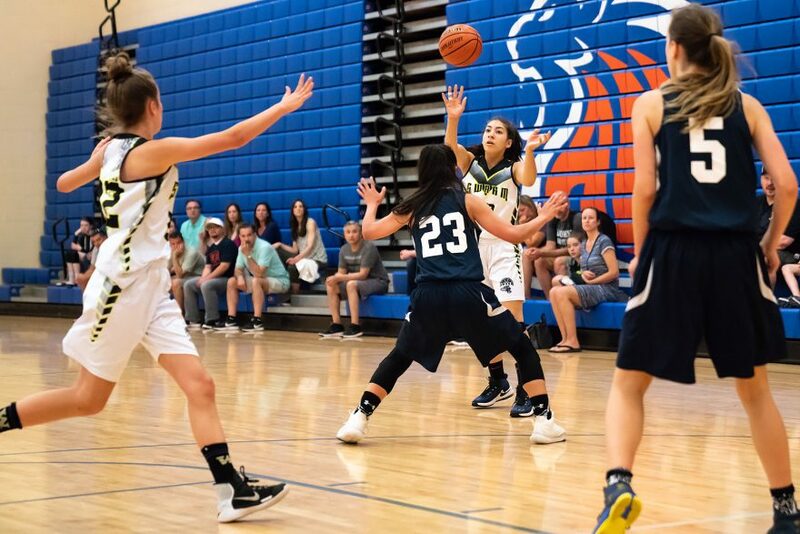 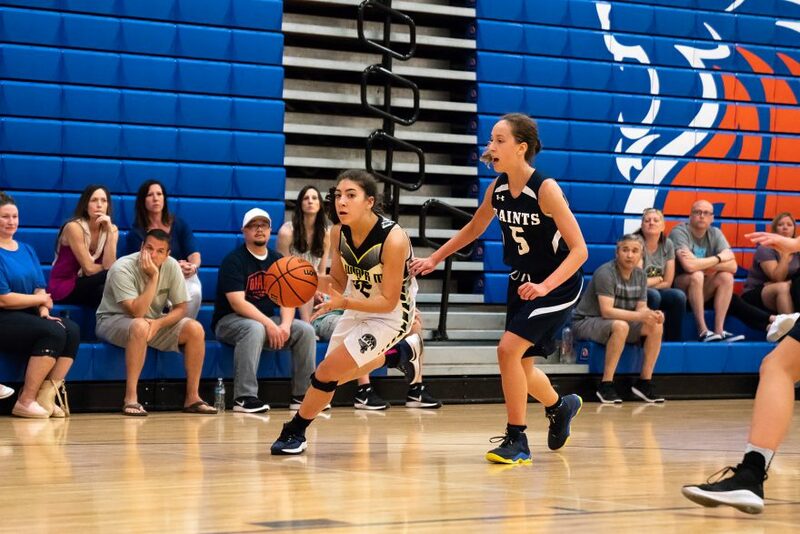 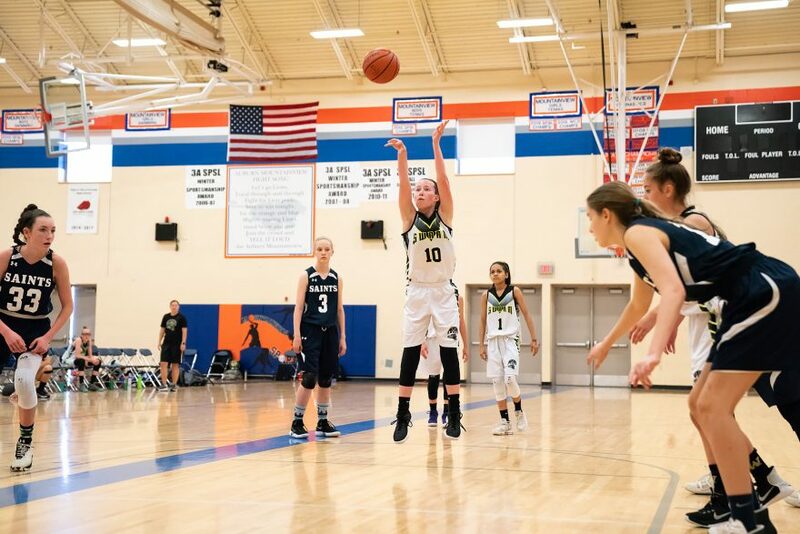 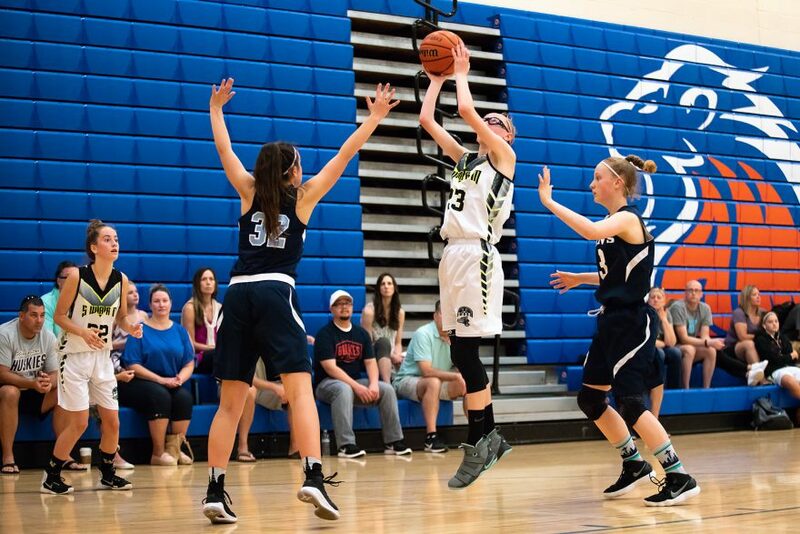 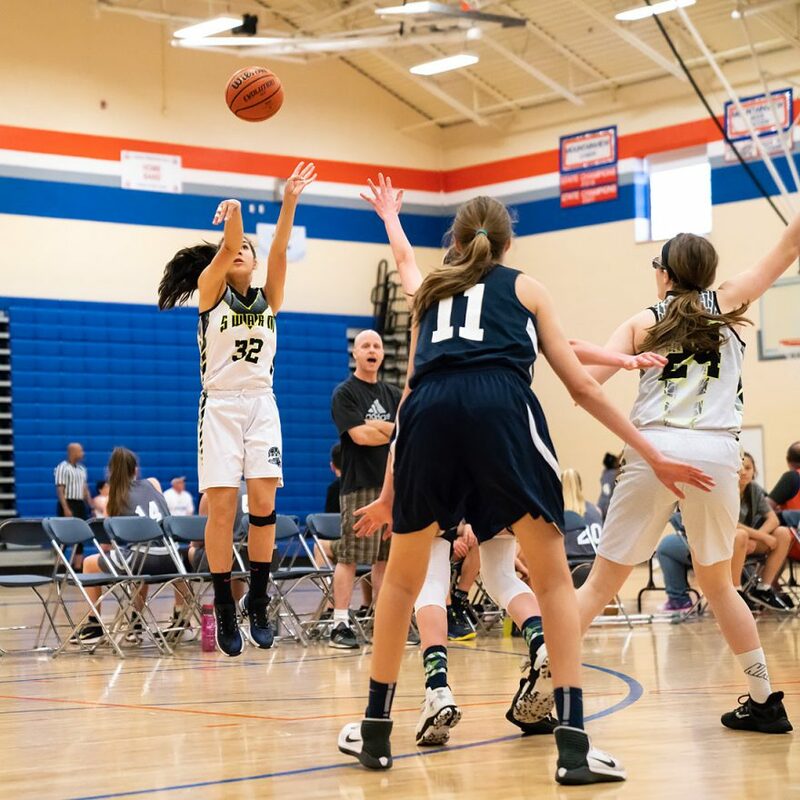 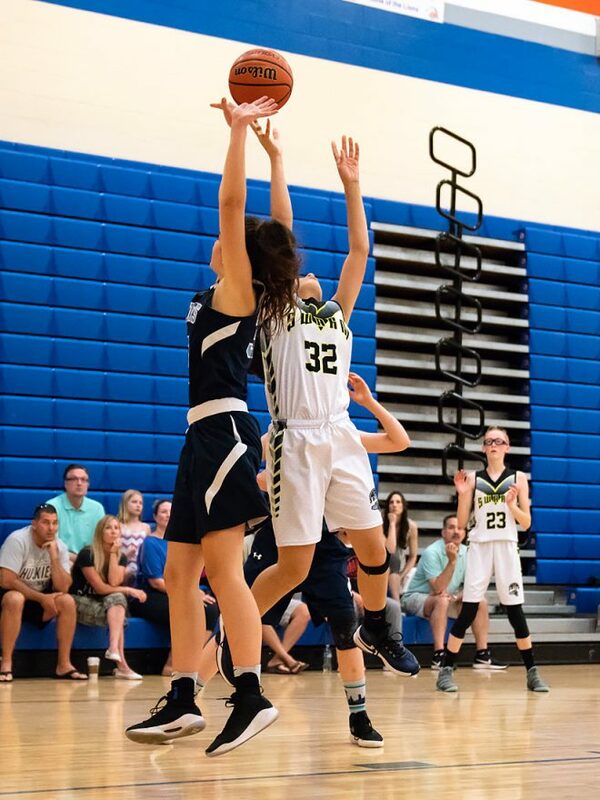 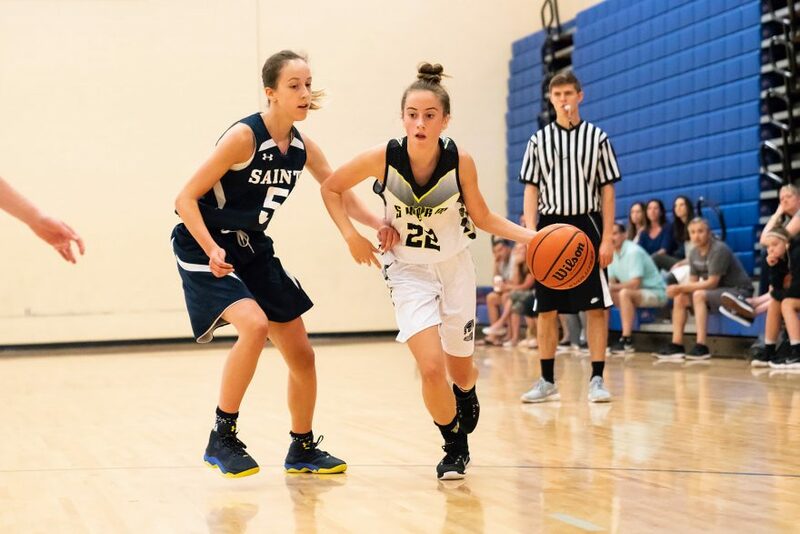 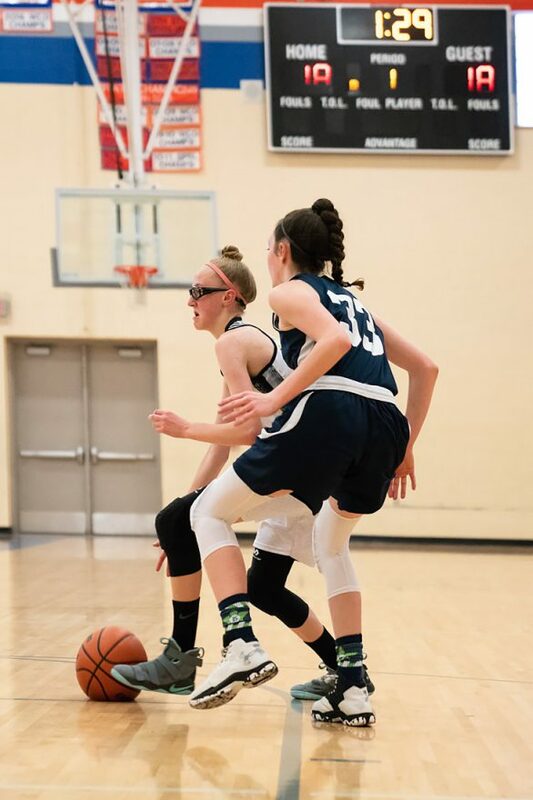 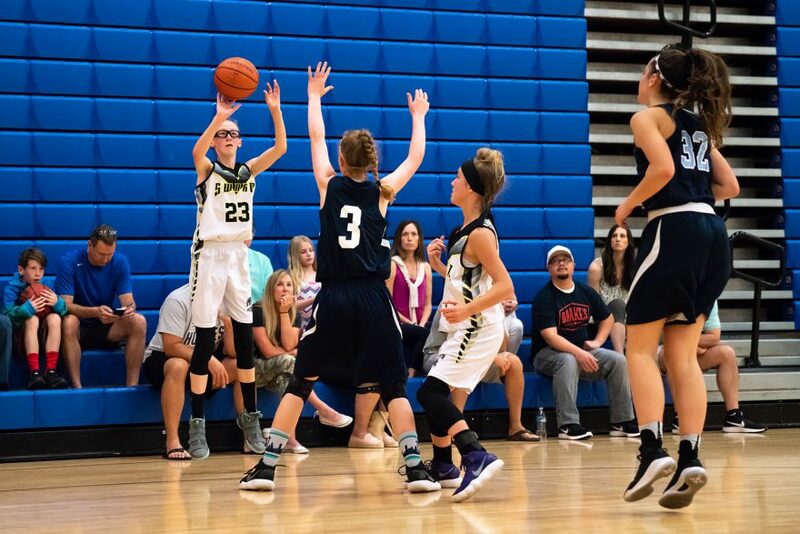 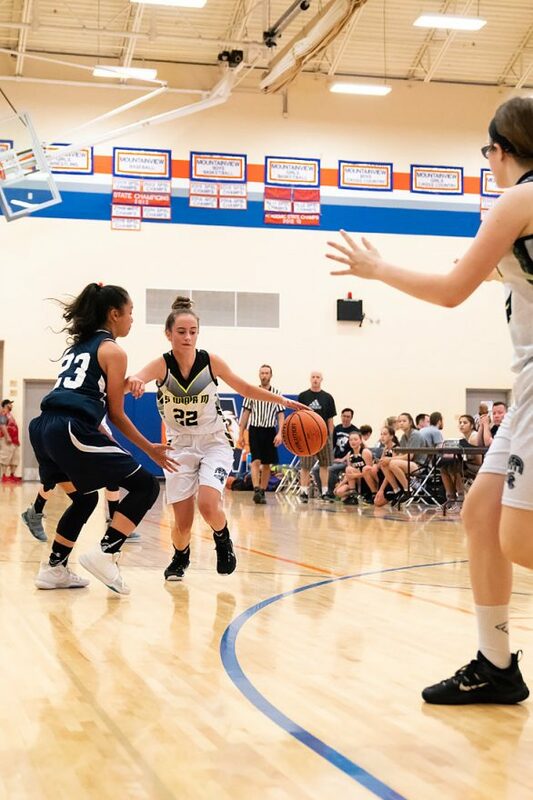 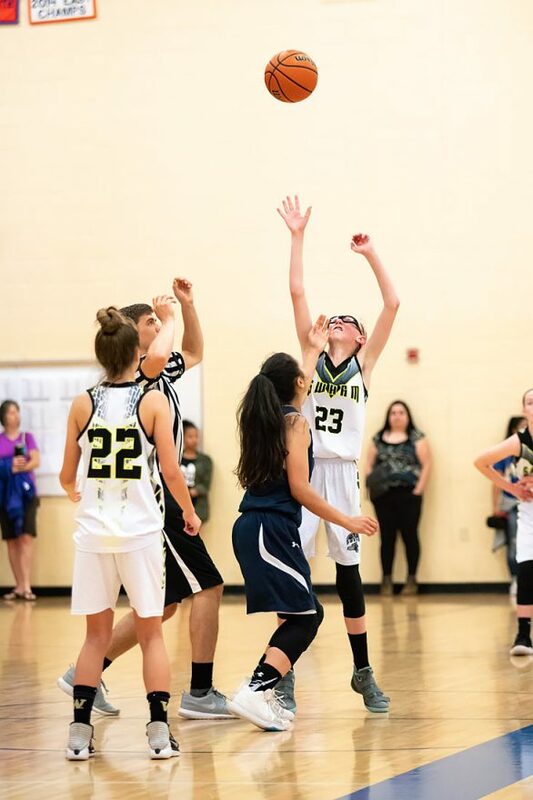 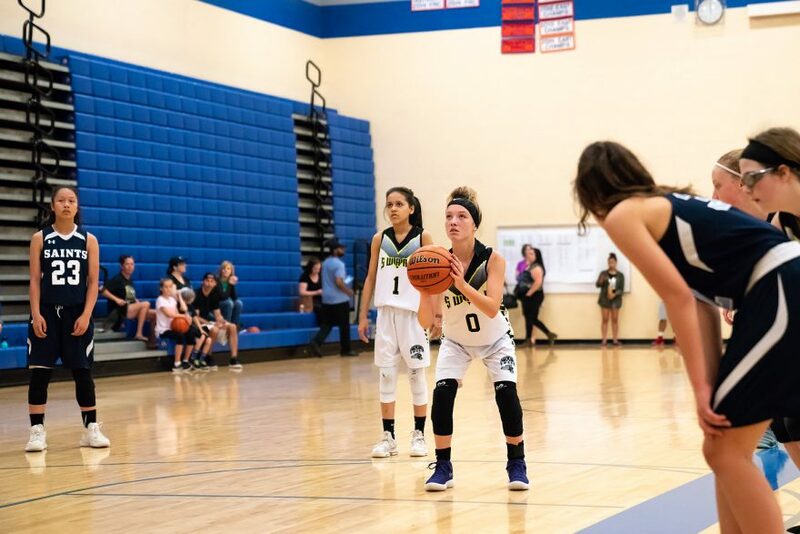 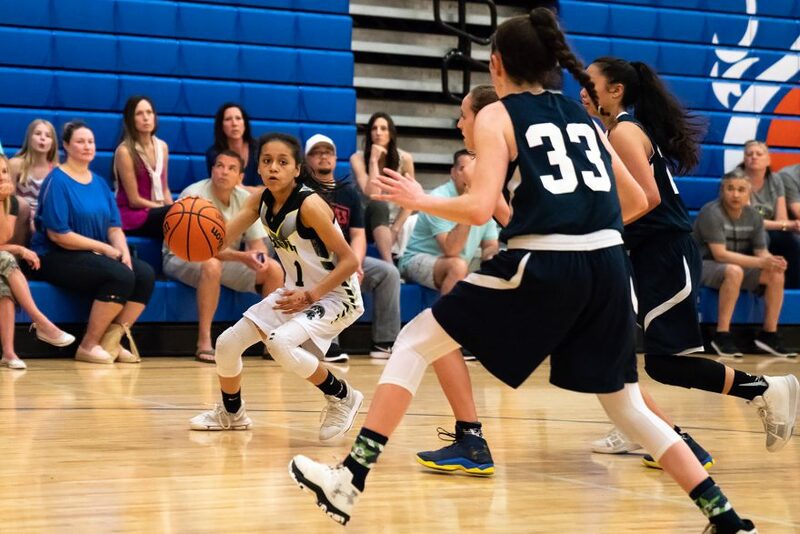 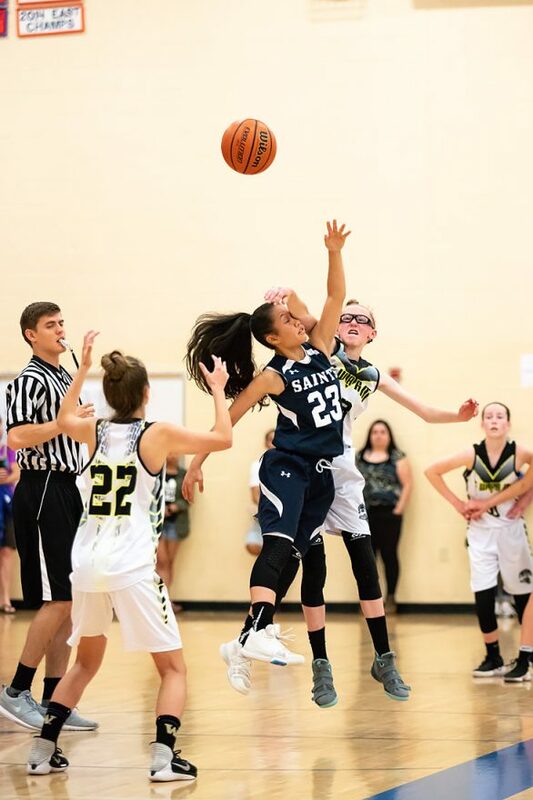 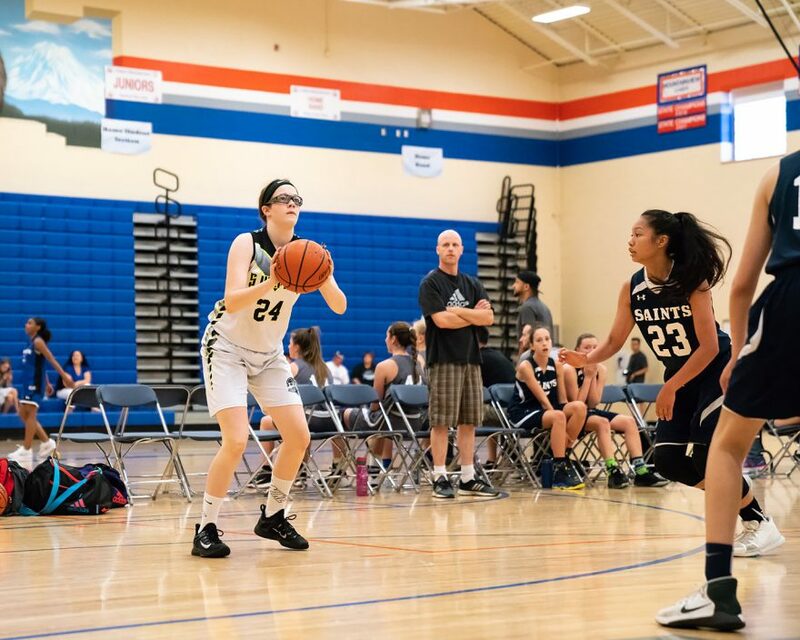 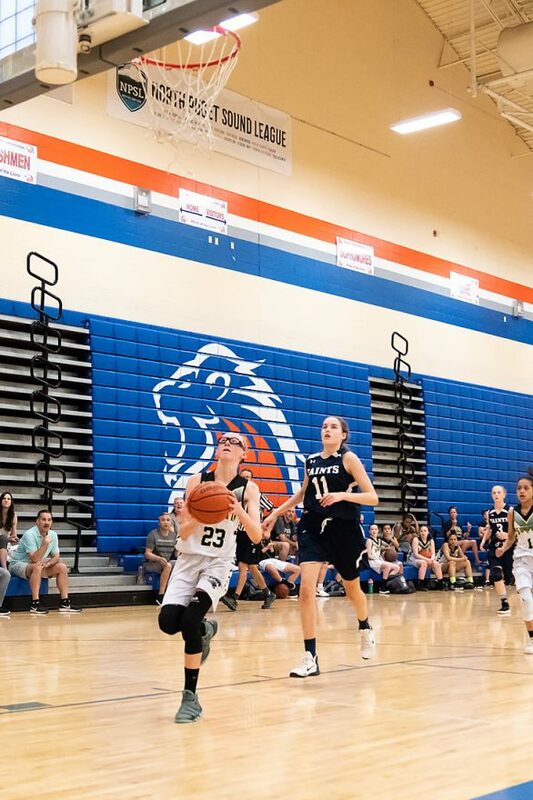 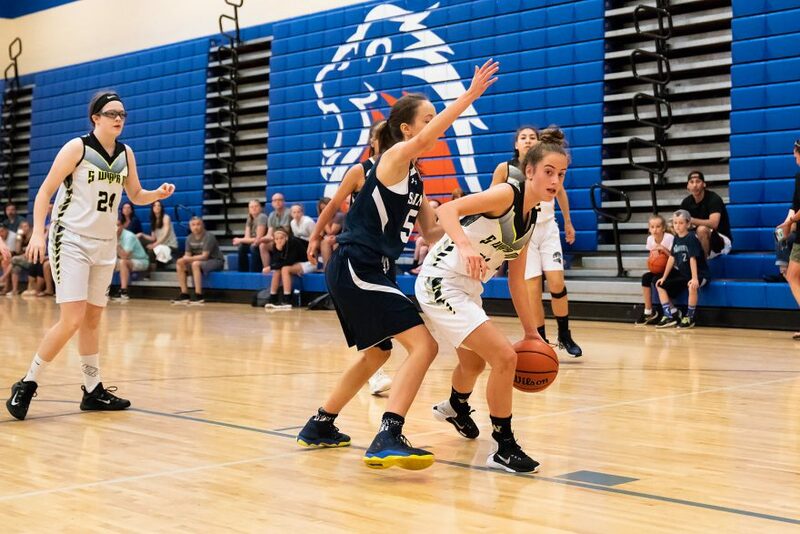 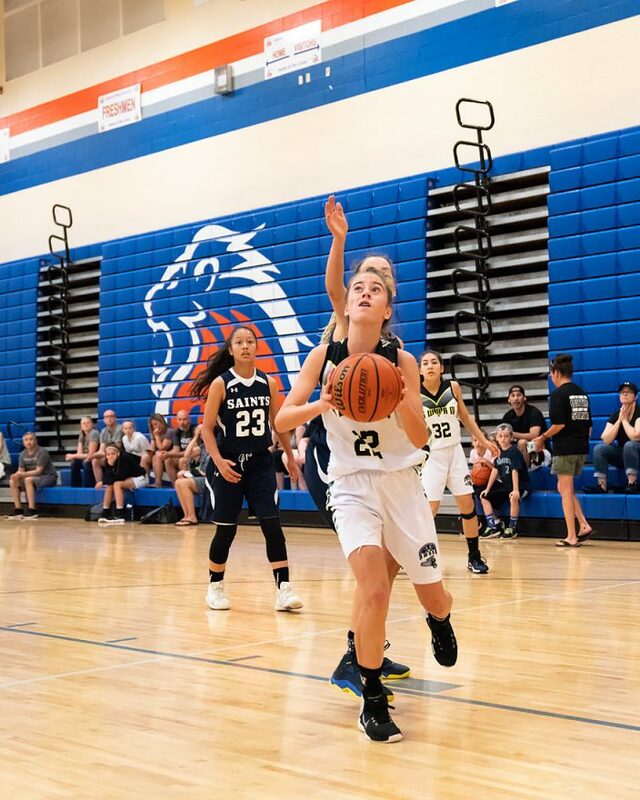 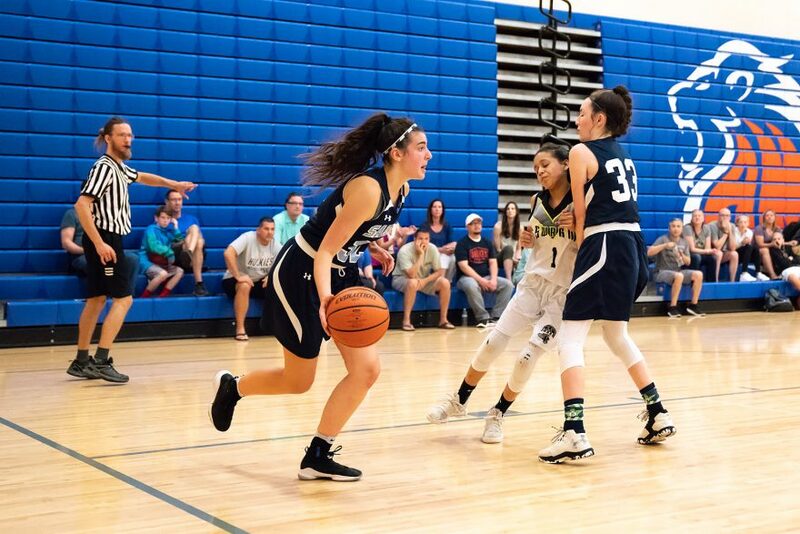 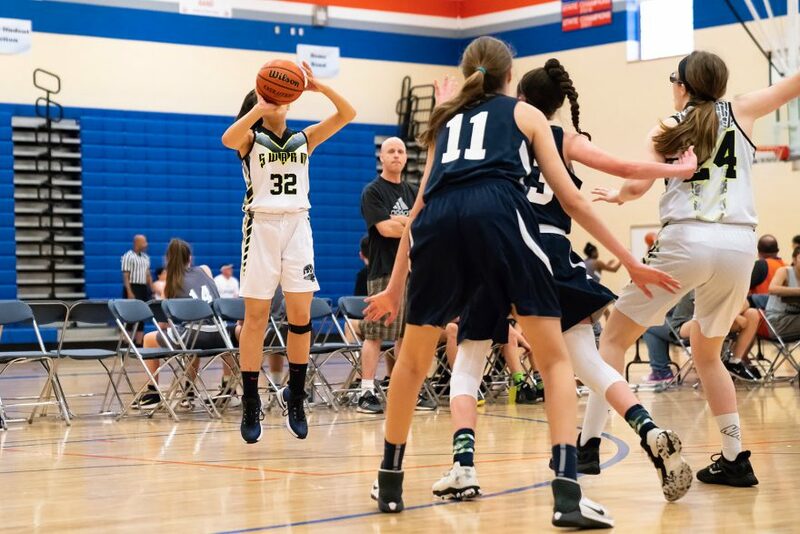 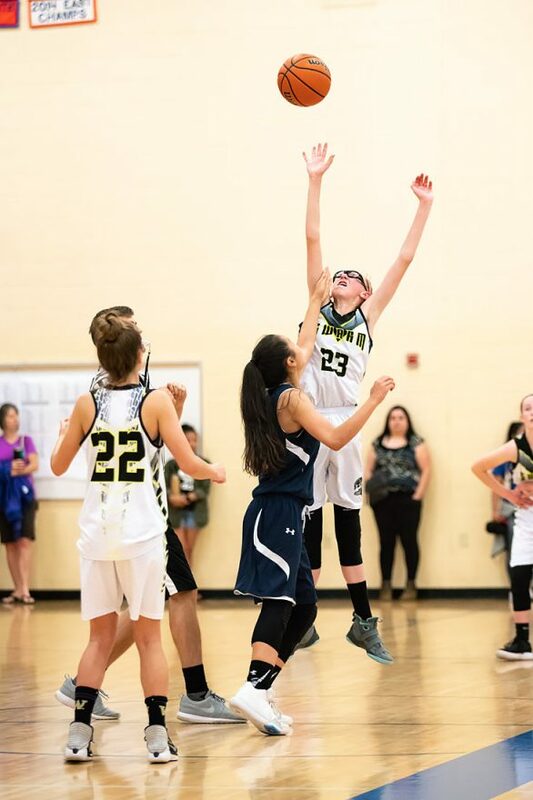 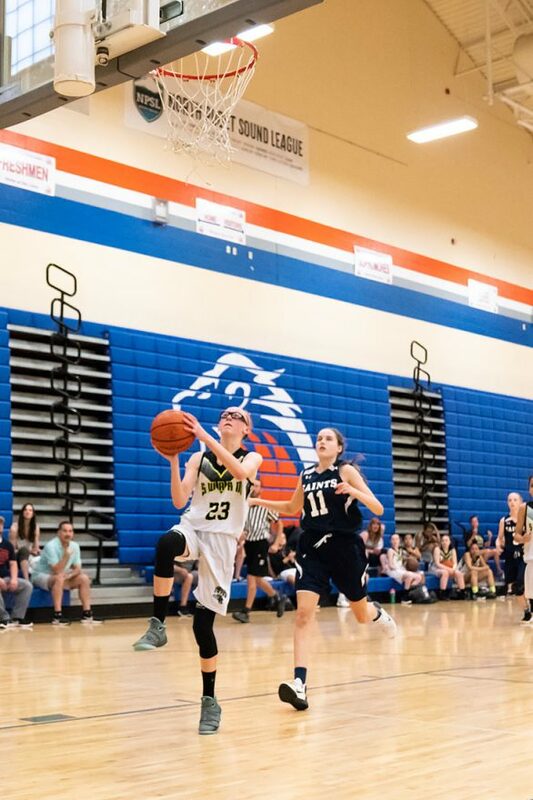 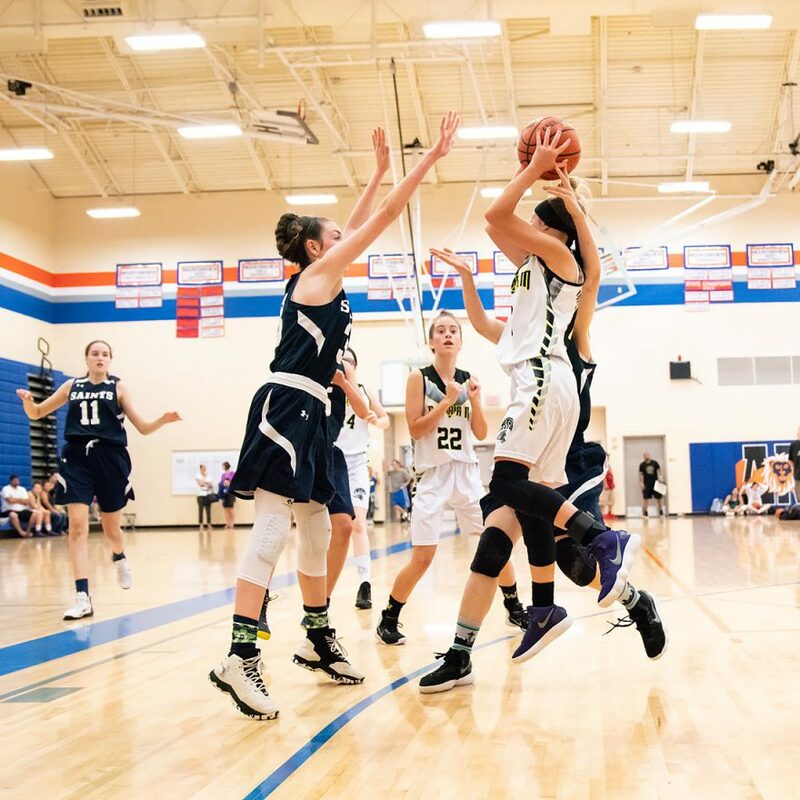 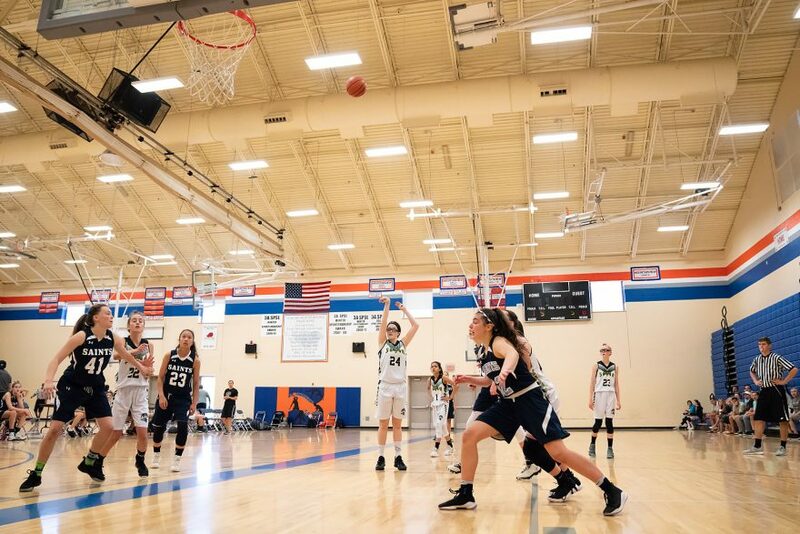 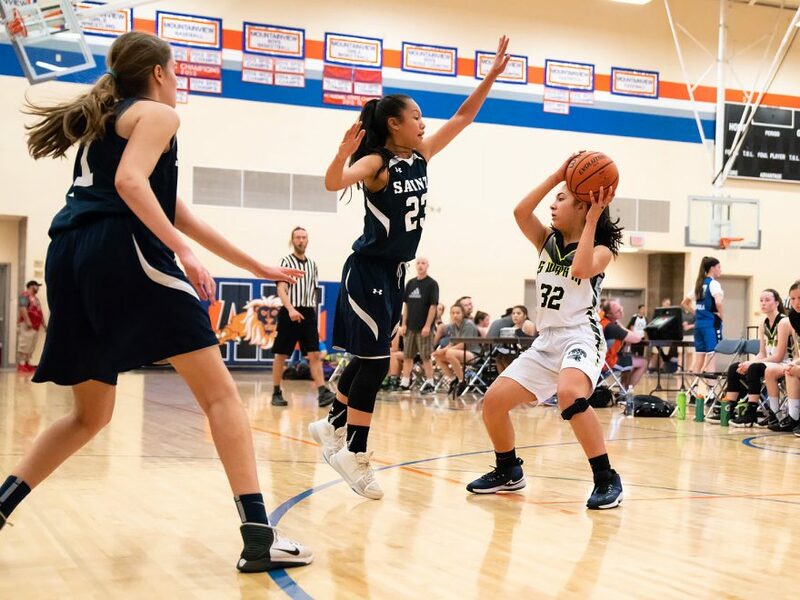 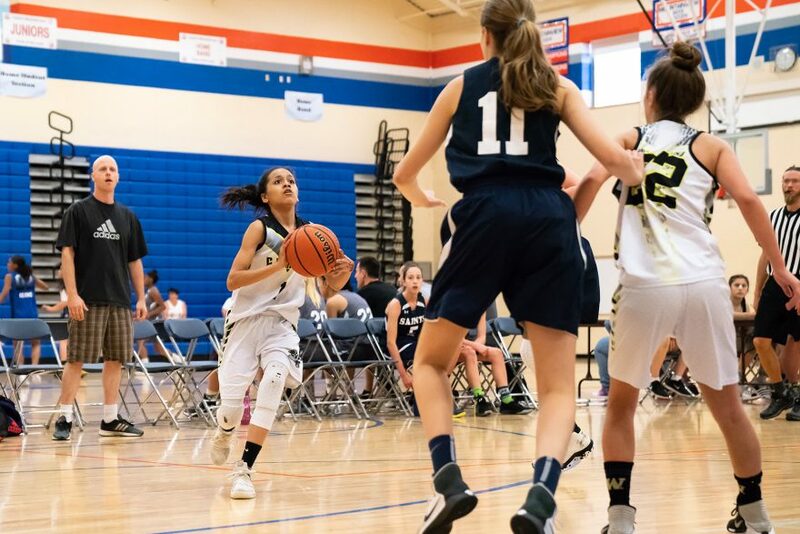 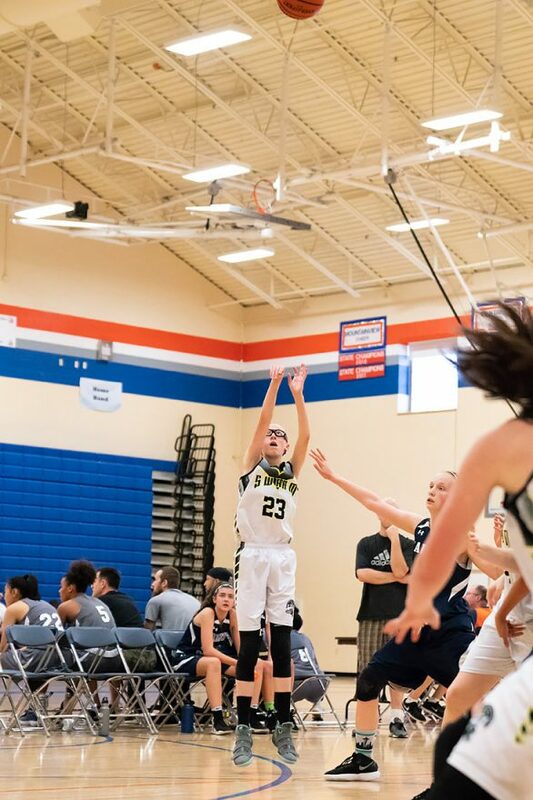 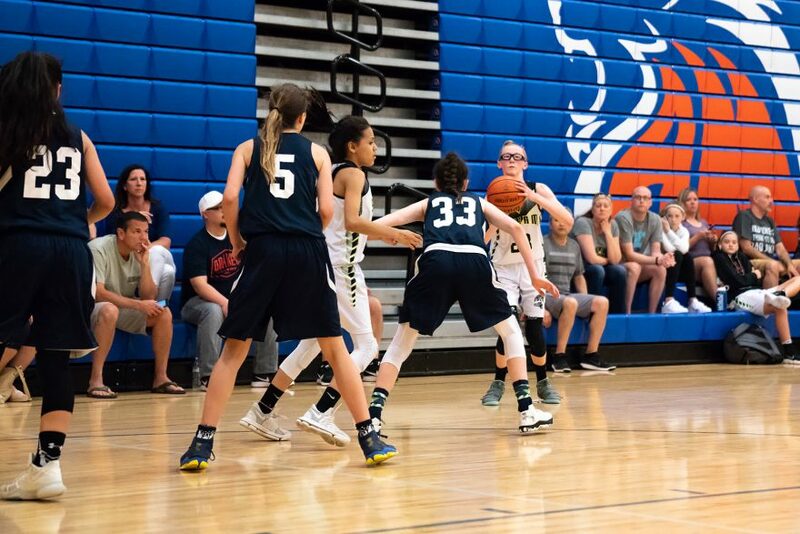 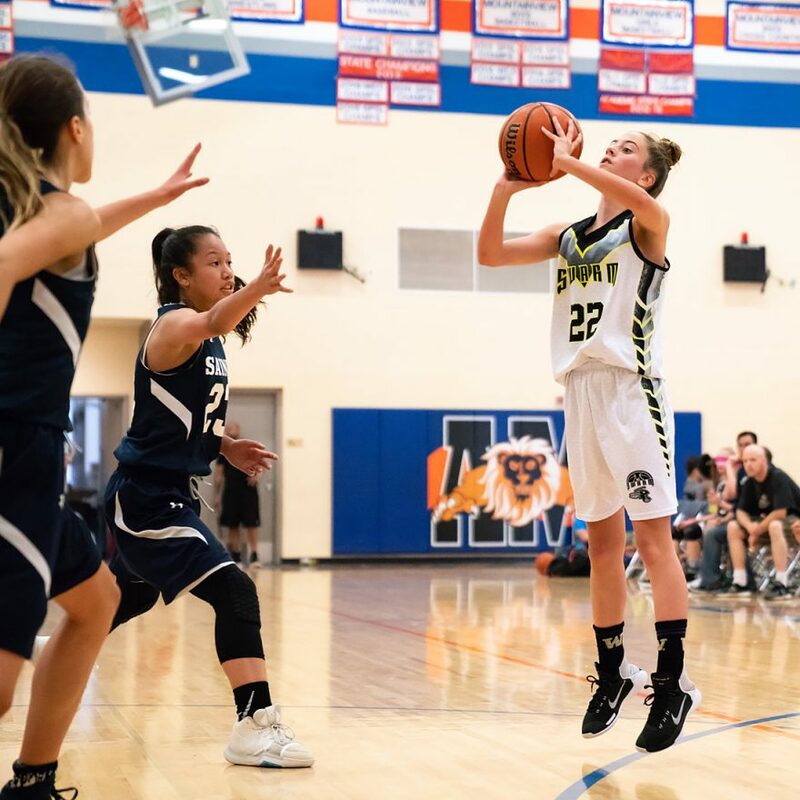 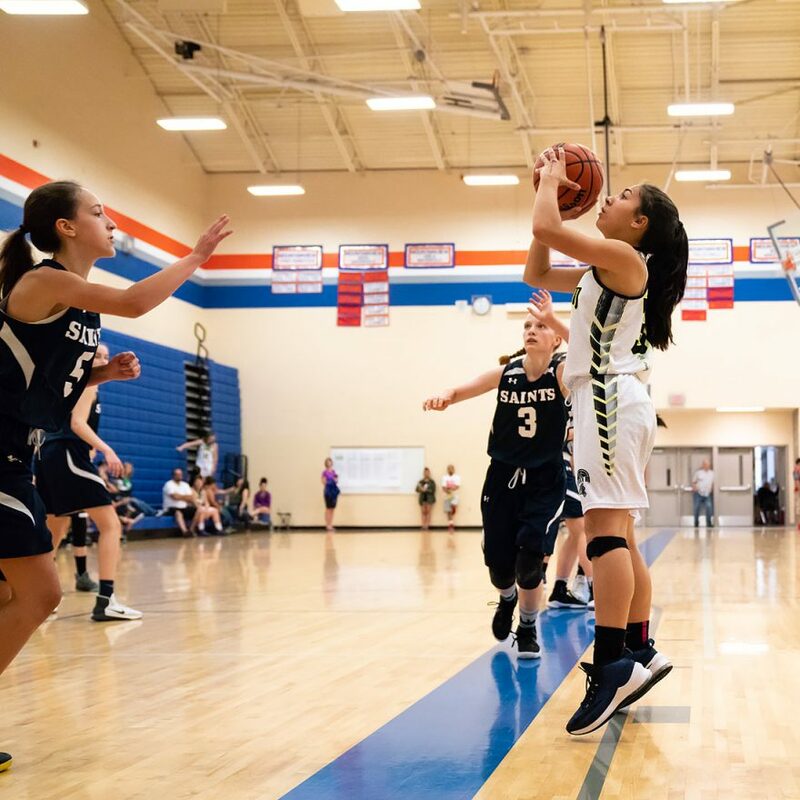 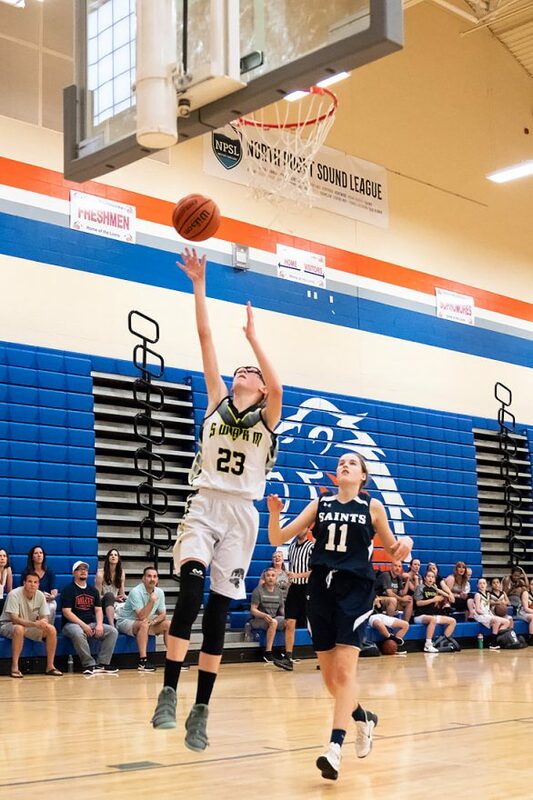 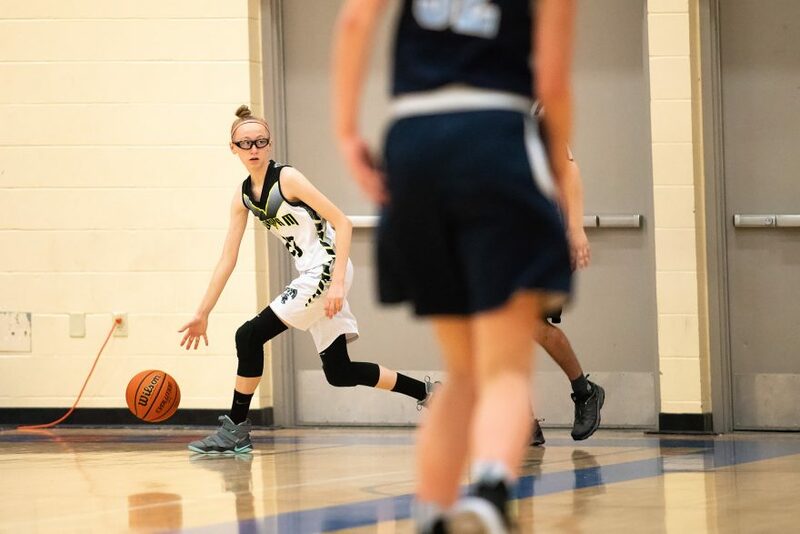 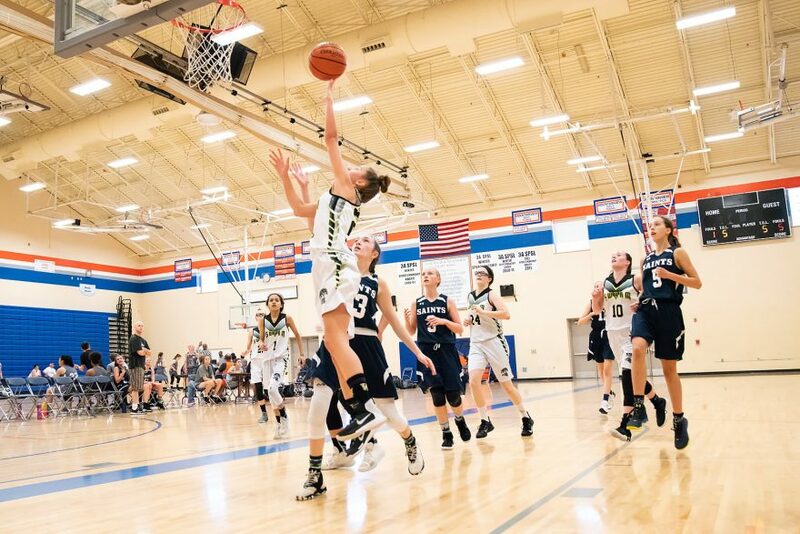 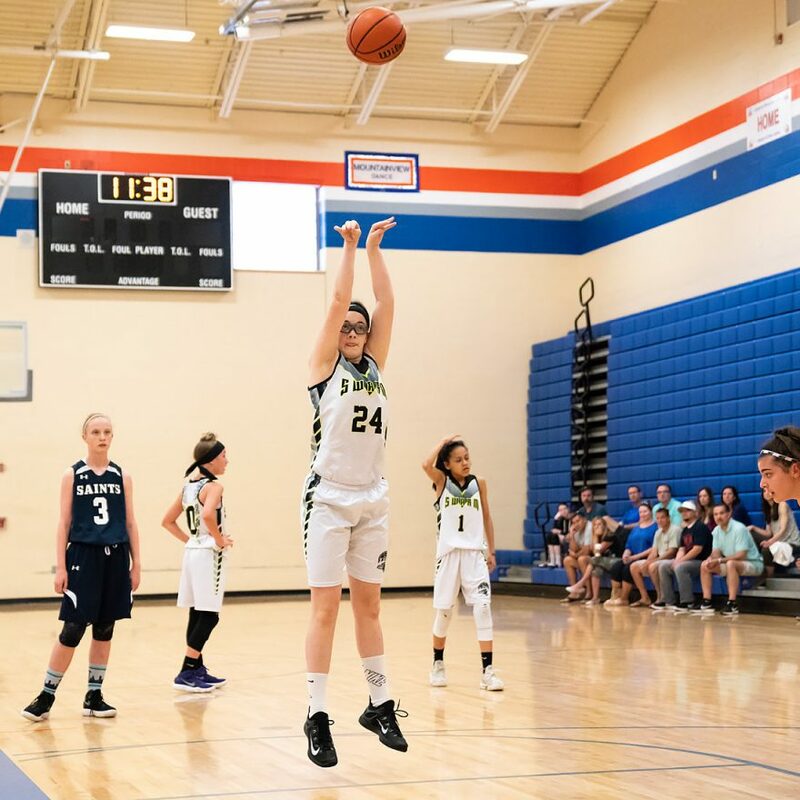 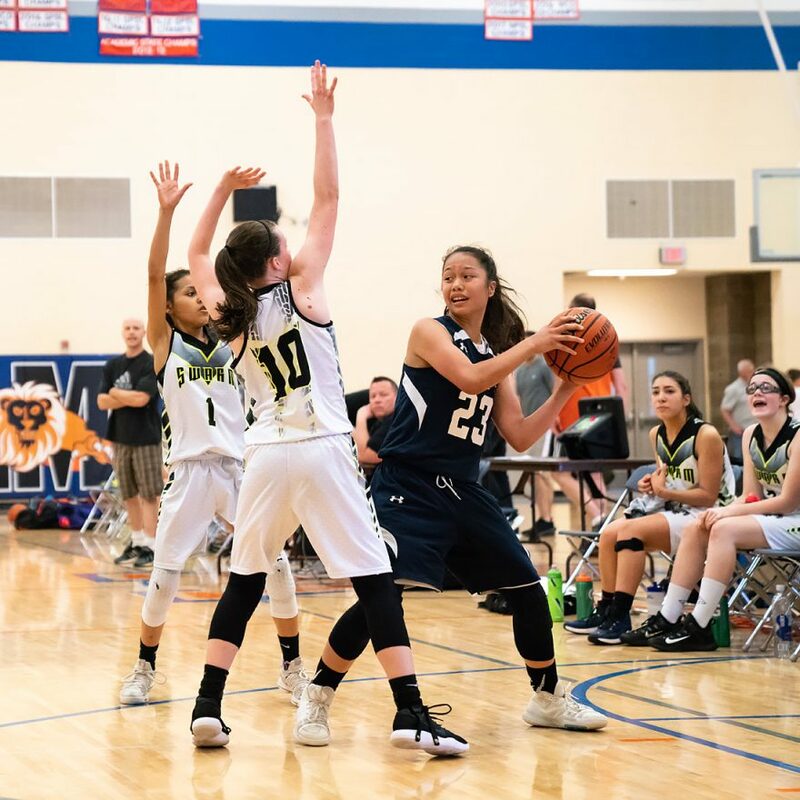 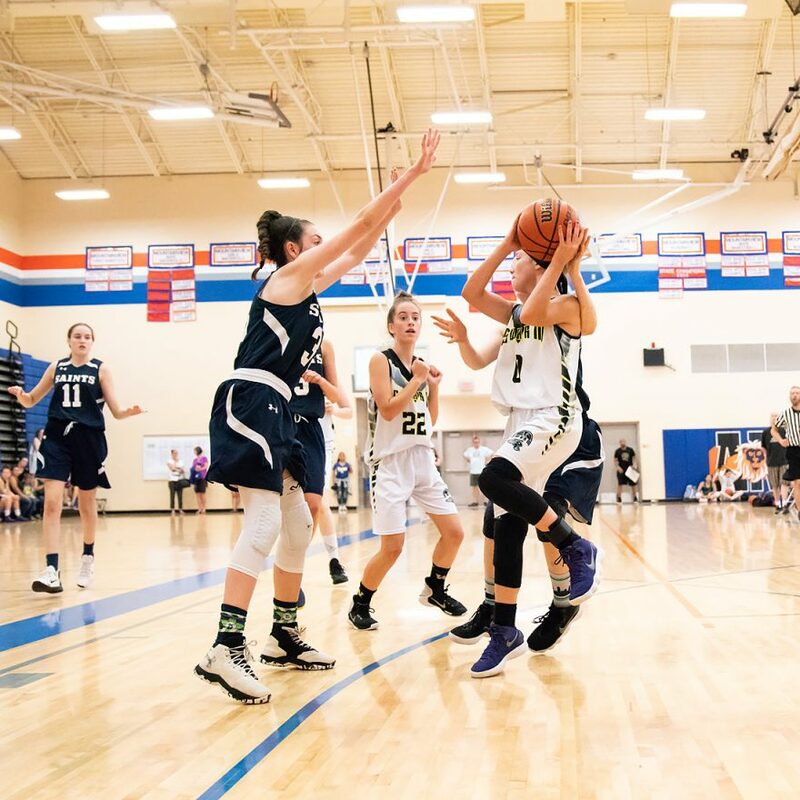 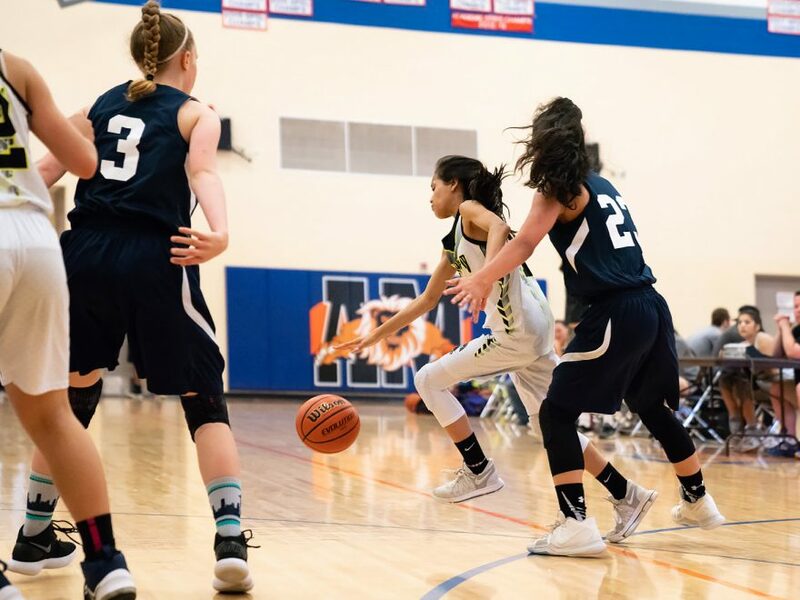 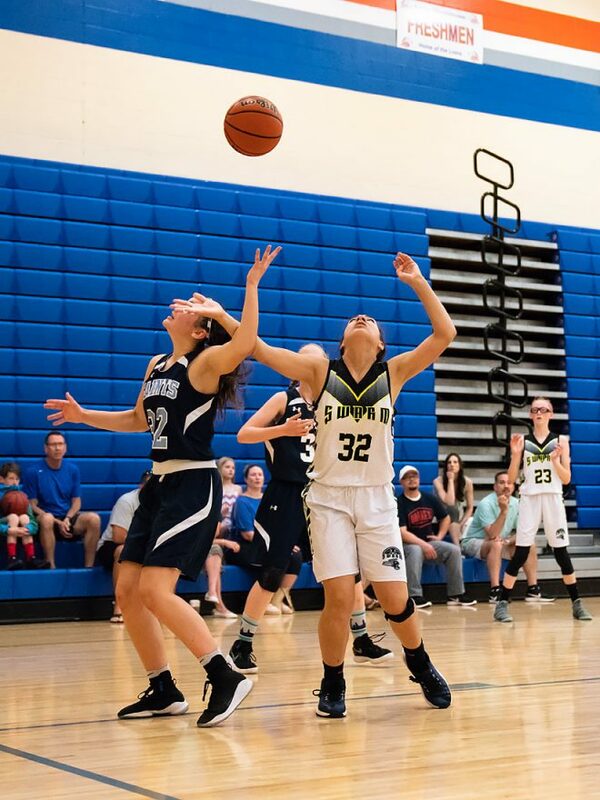 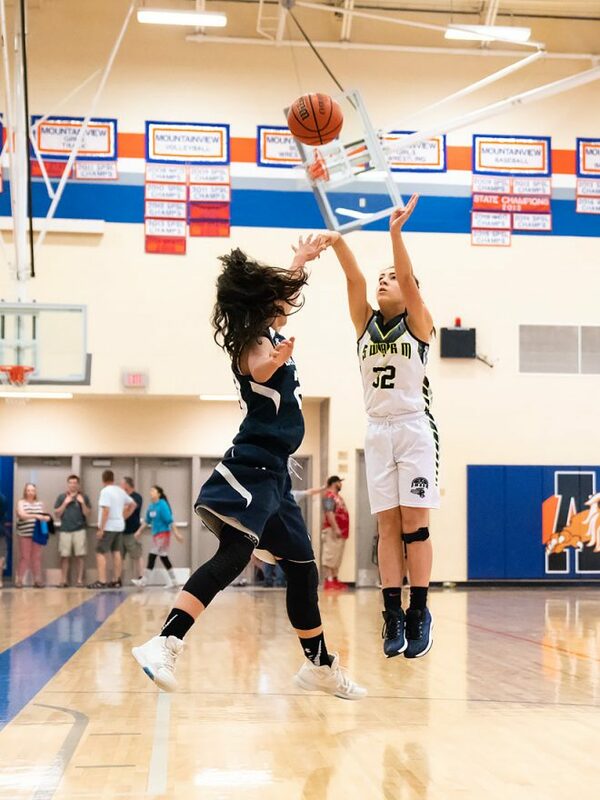 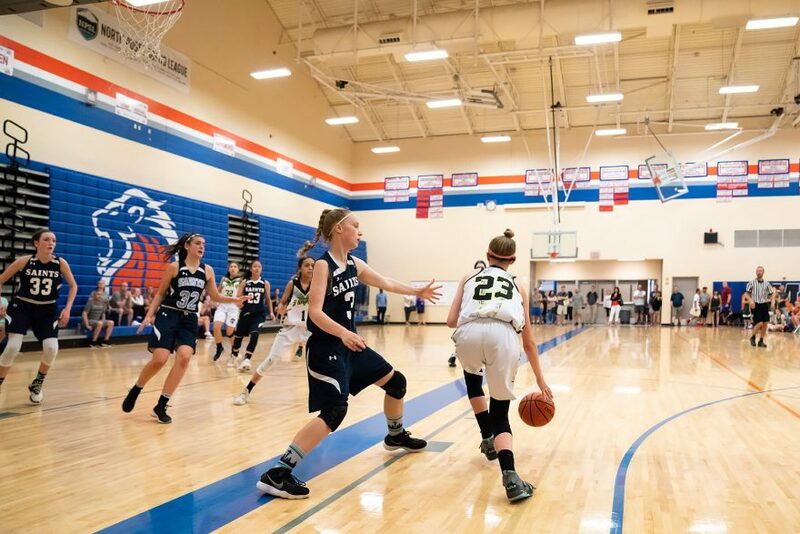 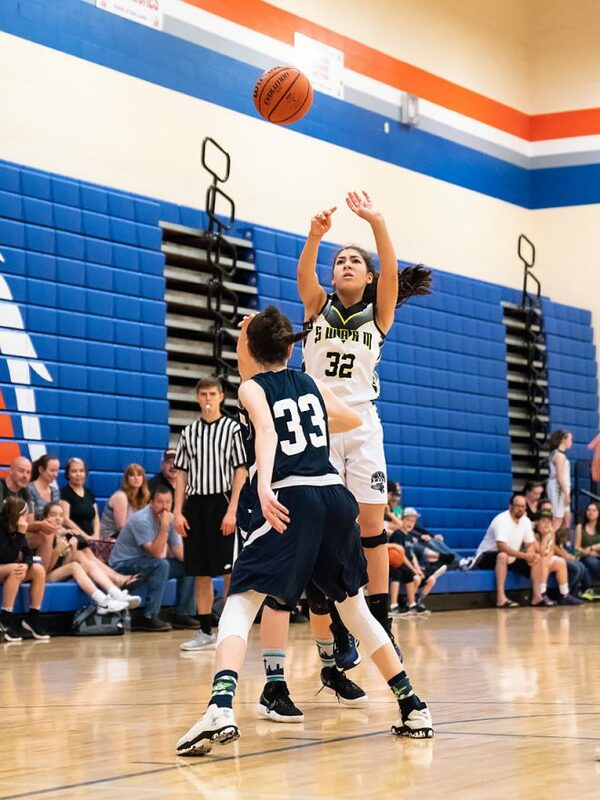 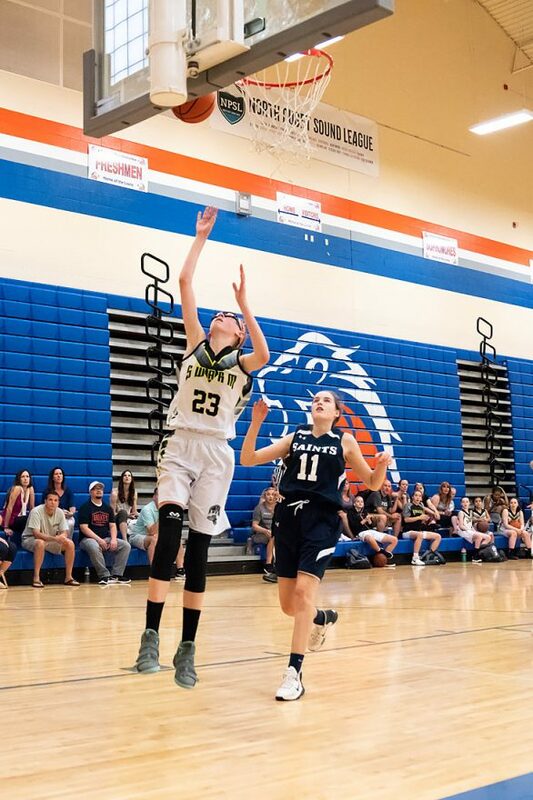 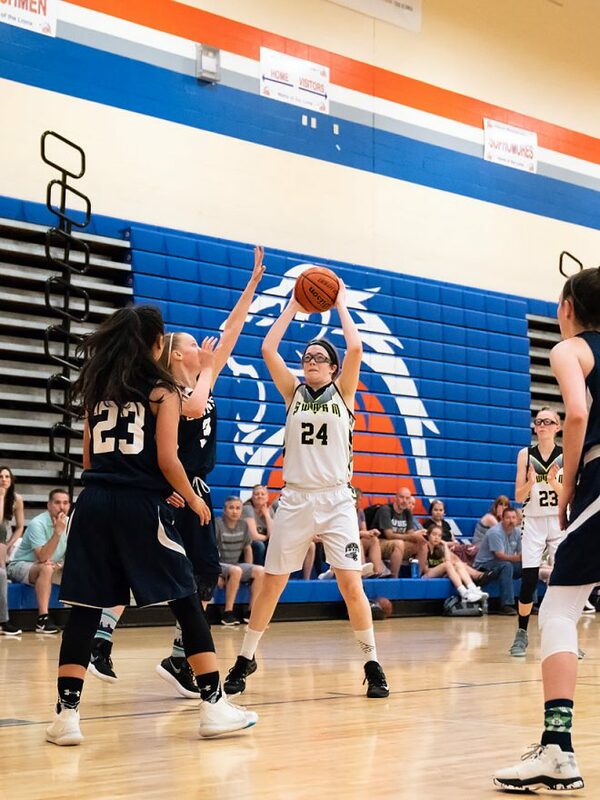 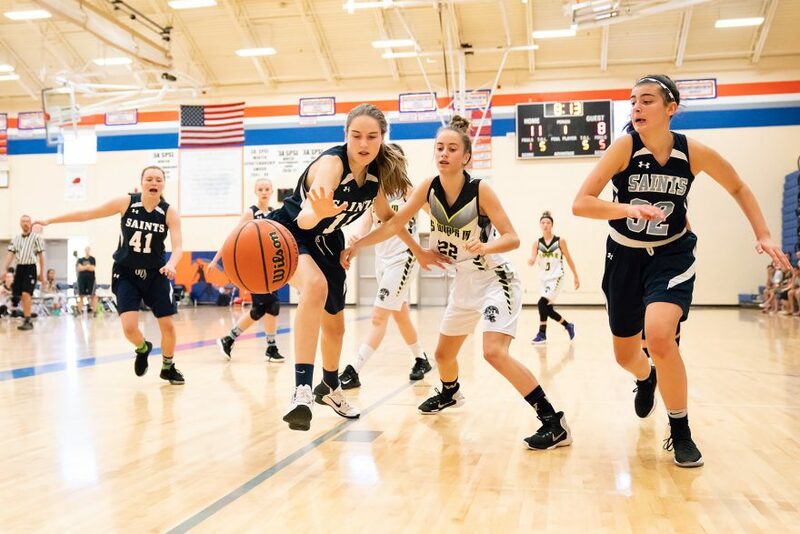 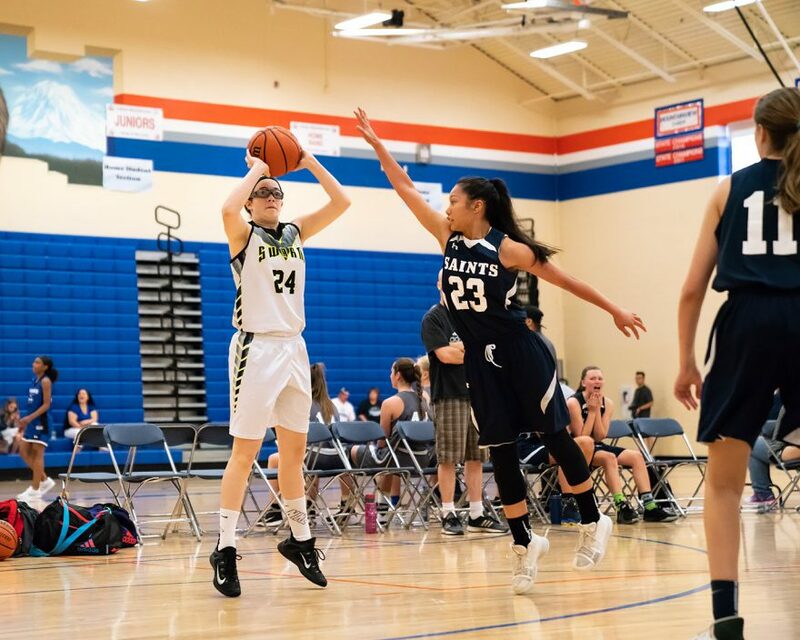 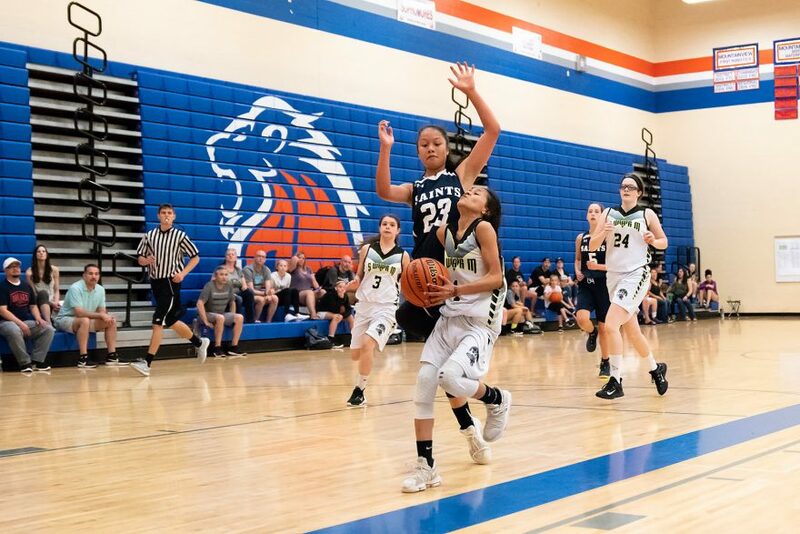 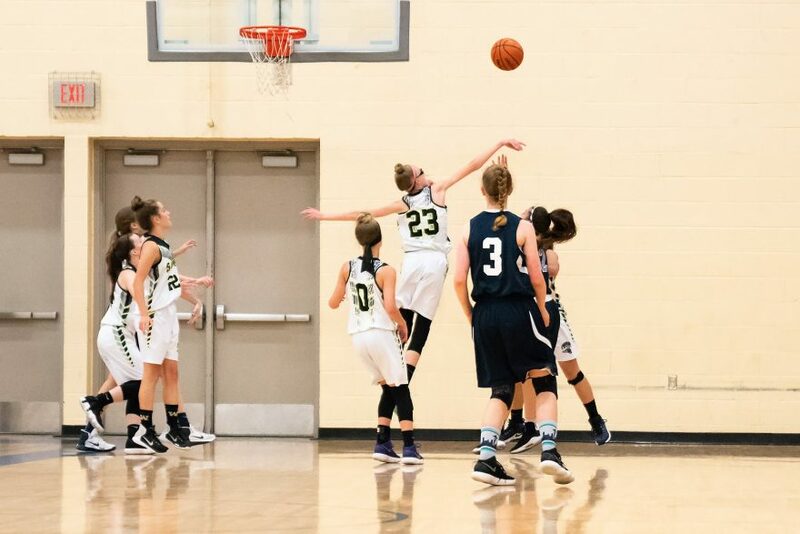 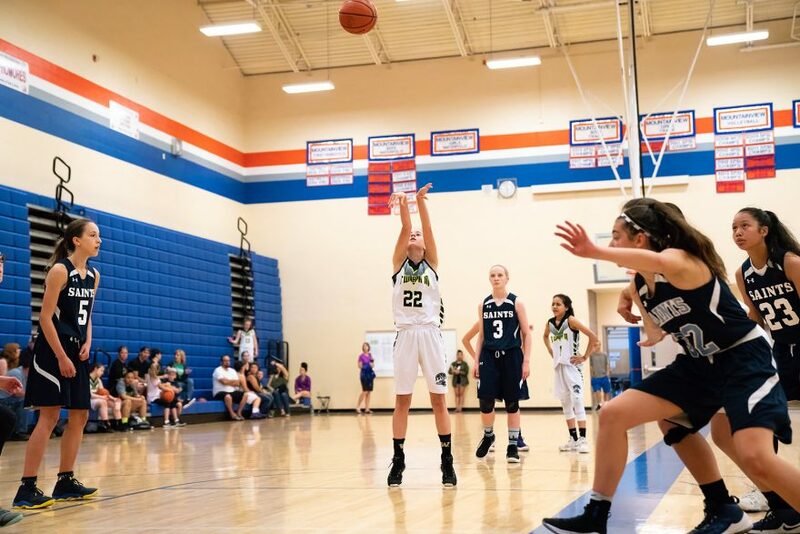 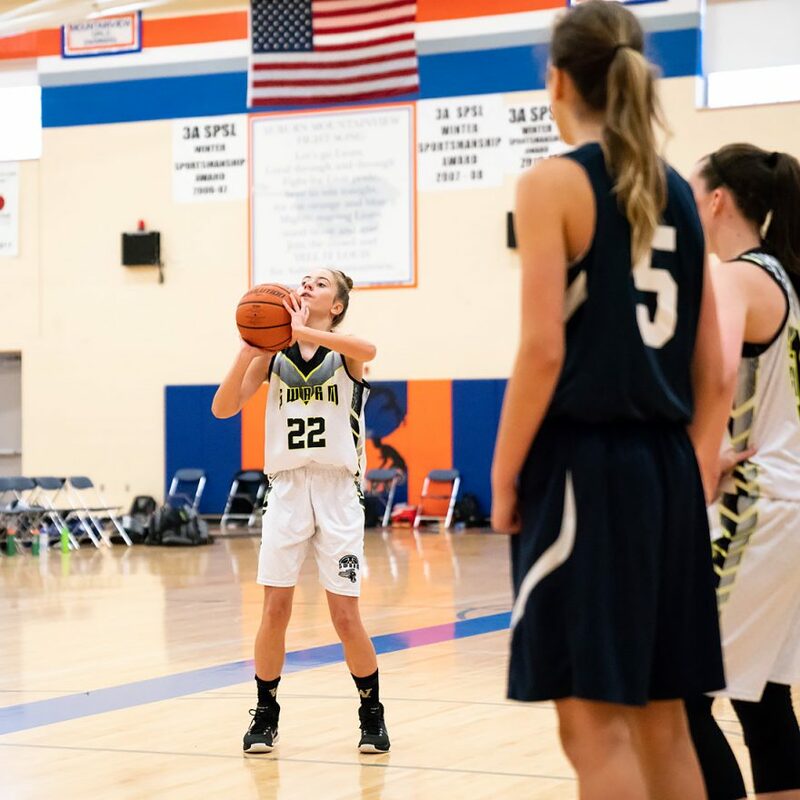 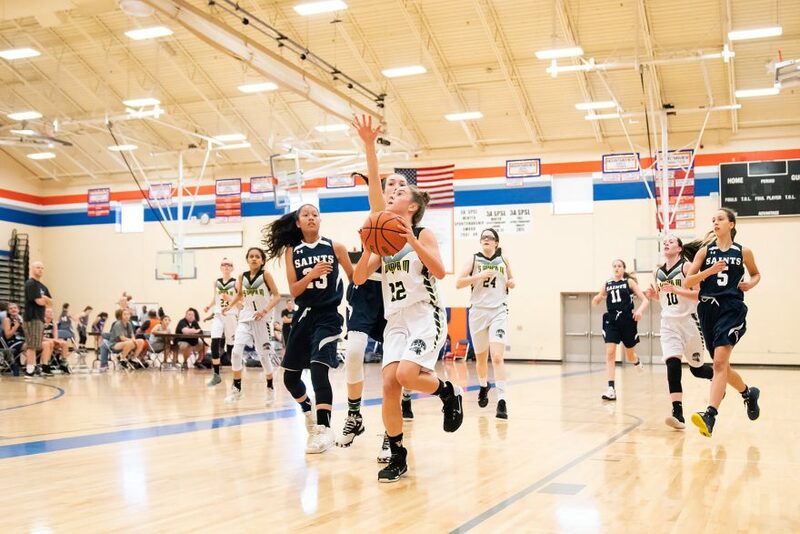 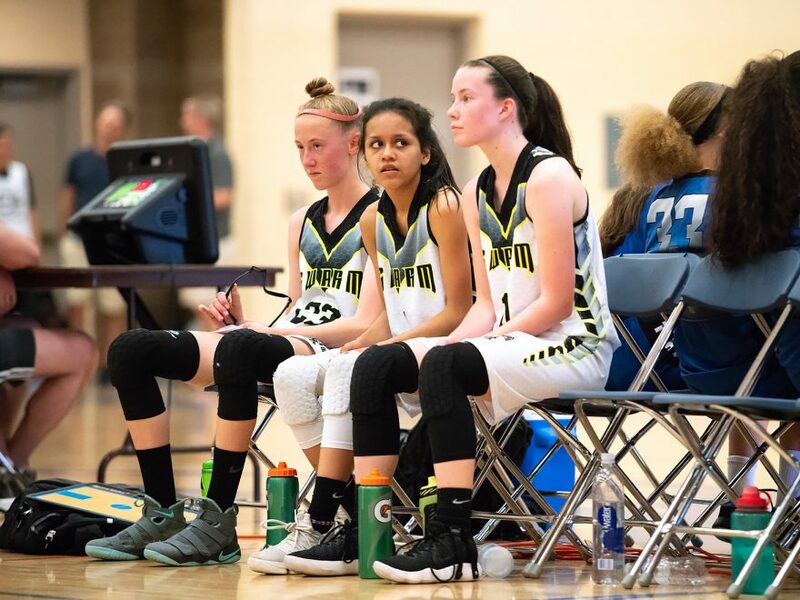 With just minutes to go in the game, the Saints enjoyed a five-point lead and appeared to be on their way to a victory, but then the Swarm’s #23 drained a three pointer and followed it up immediately with a steal and layup to tie the game. 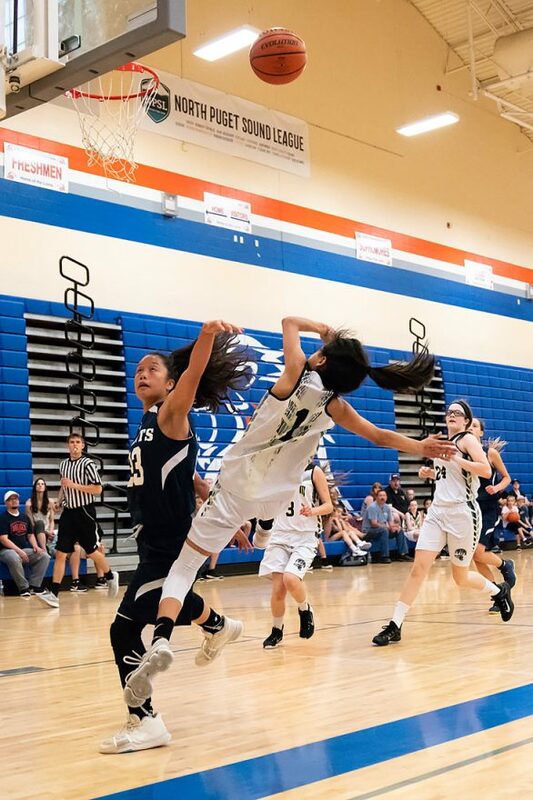 Neither team was able to put another point on the scoreboard before the seconds ticked off, and the game went into overtime, tied 32-32. 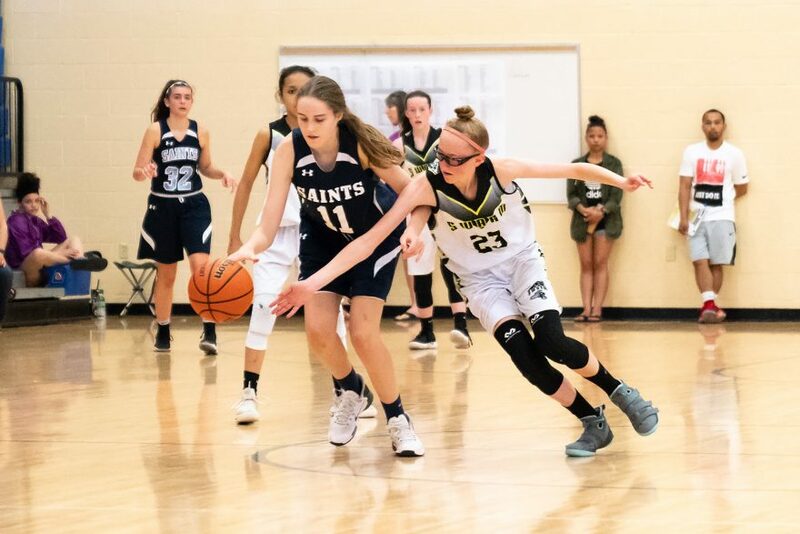 The Swarm quickly pulled ahead by four points, and although the Saints hit a buzzer-beater to end the game, their three-pointer was not enough to put them on top. 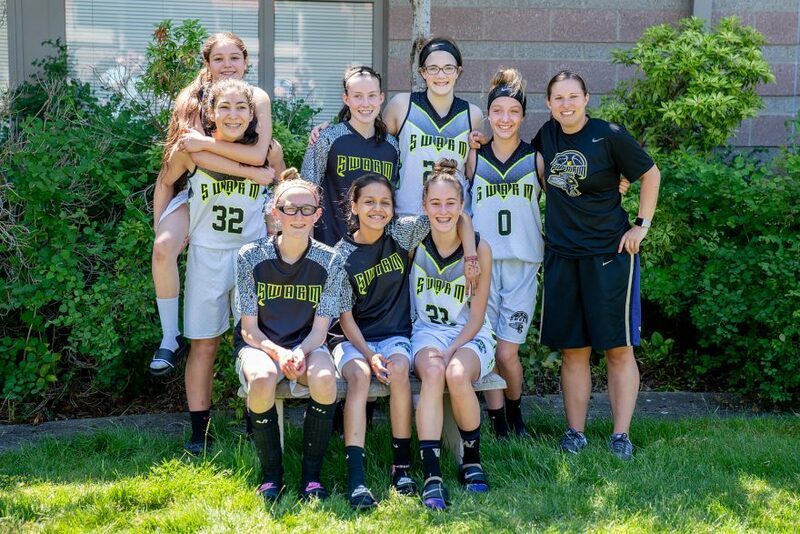 Final Score: 36-35, Swarm.